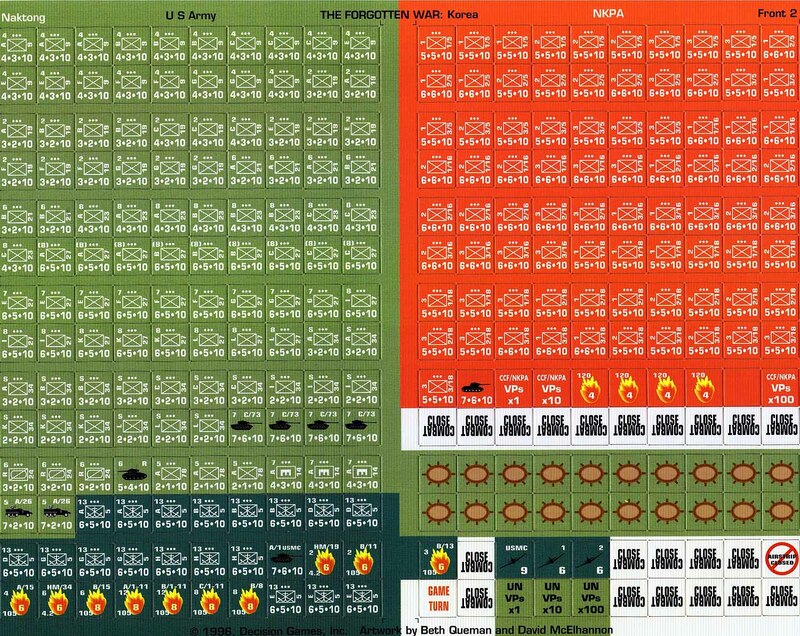 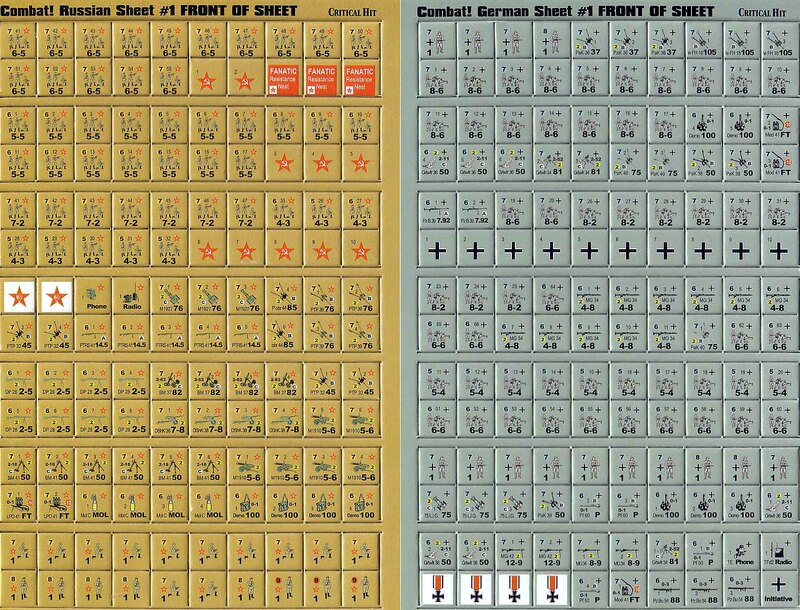 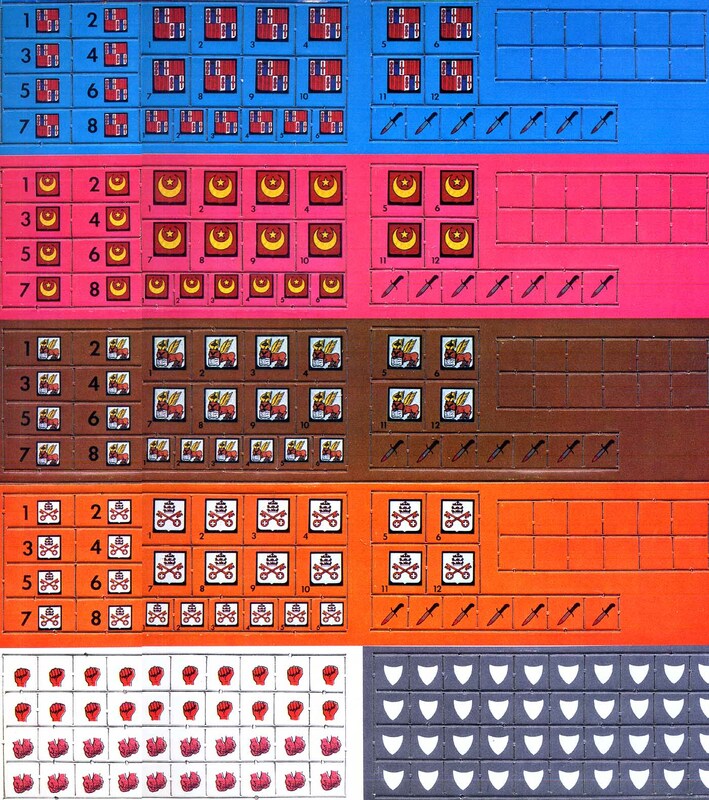 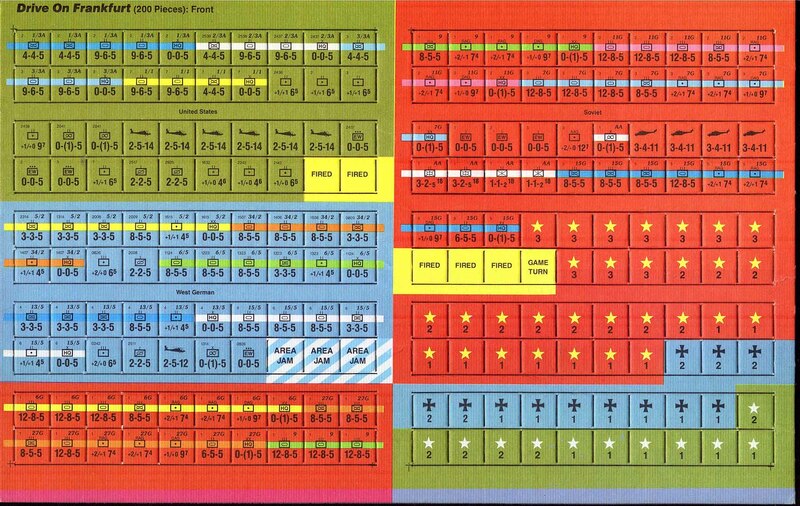 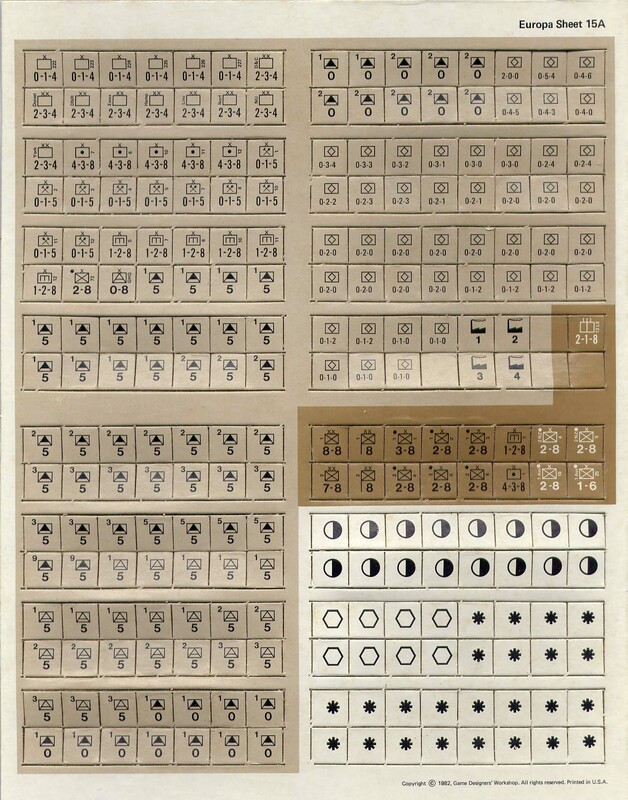 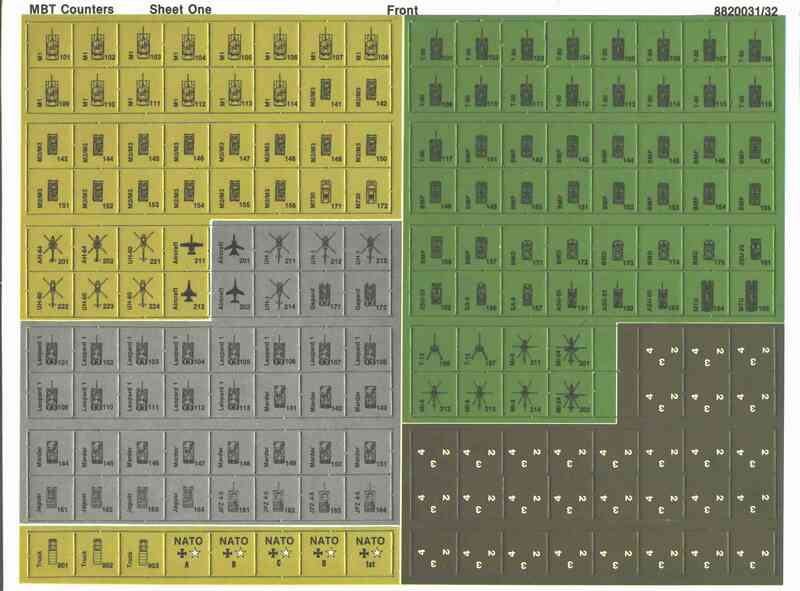 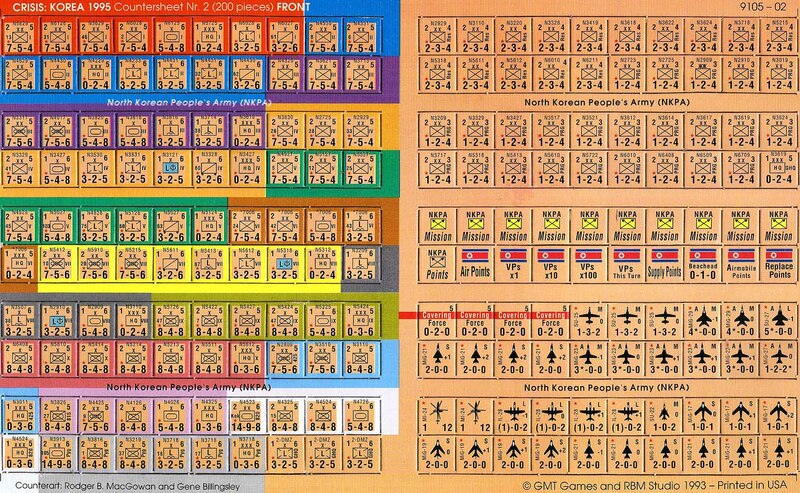 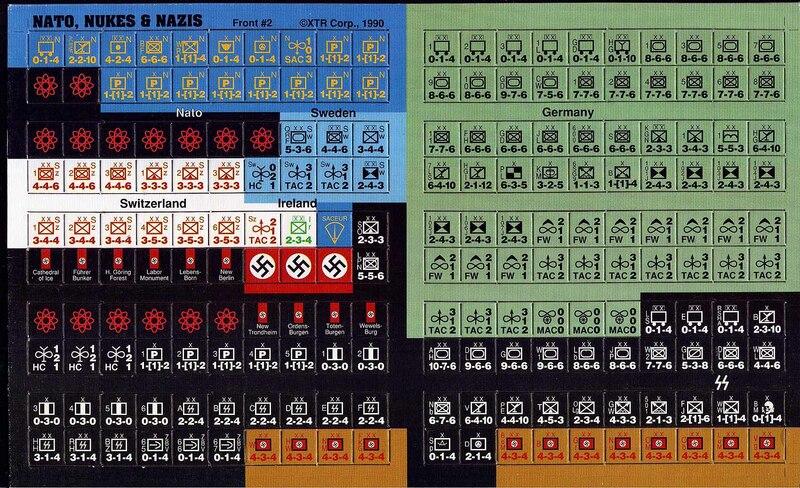 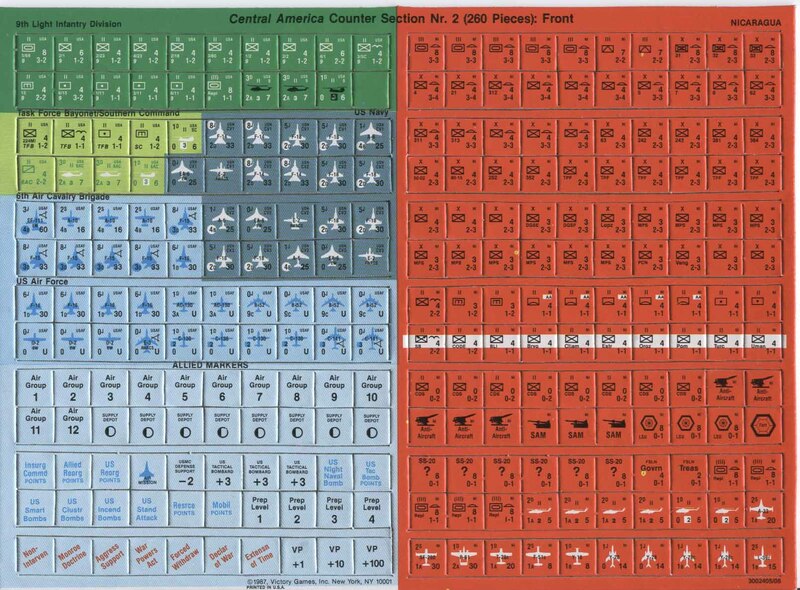 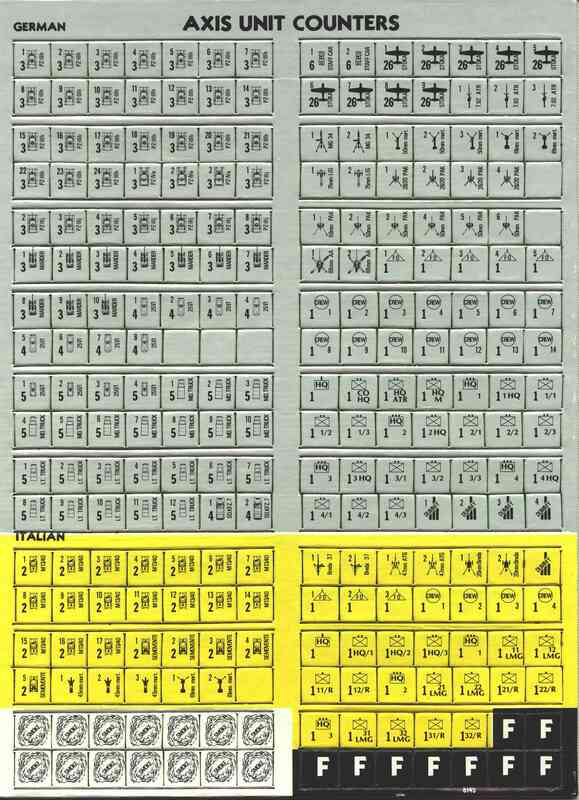 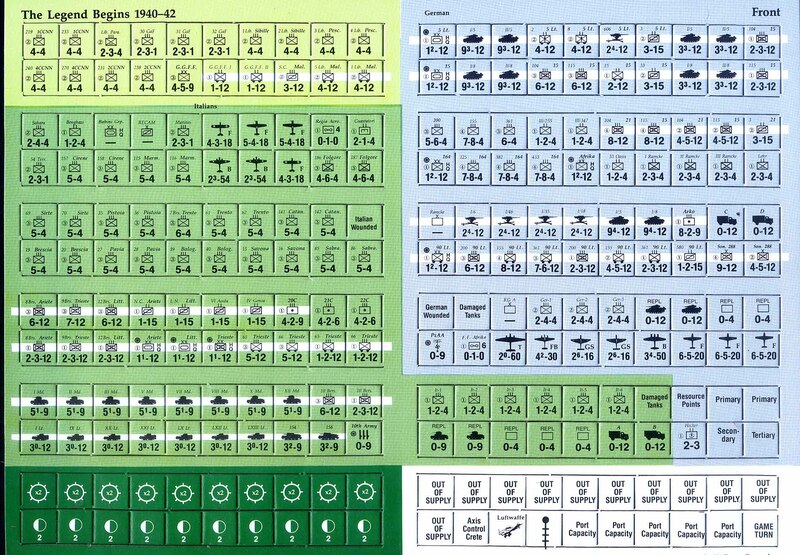 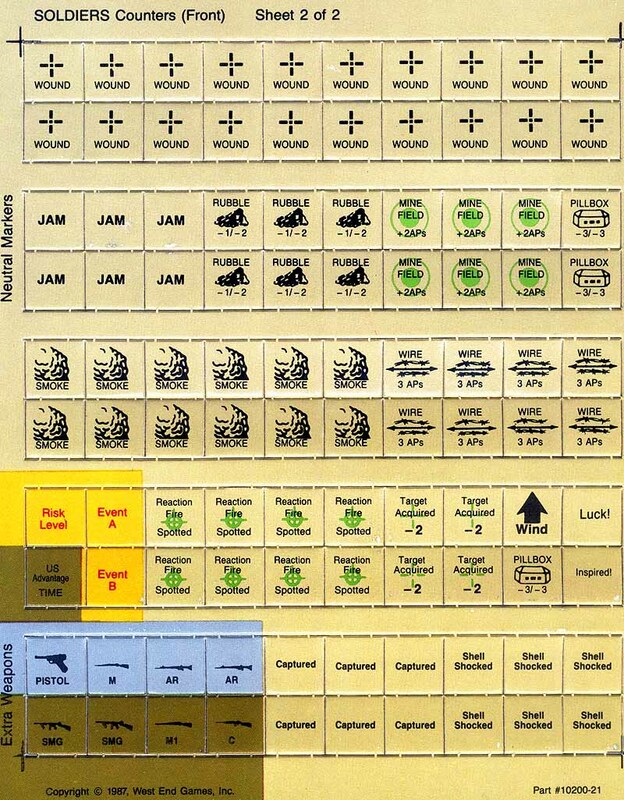 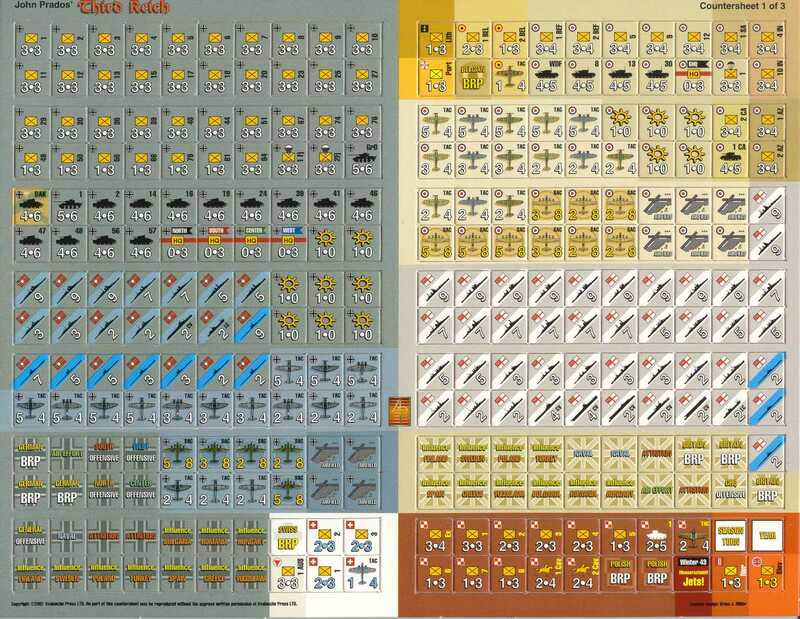 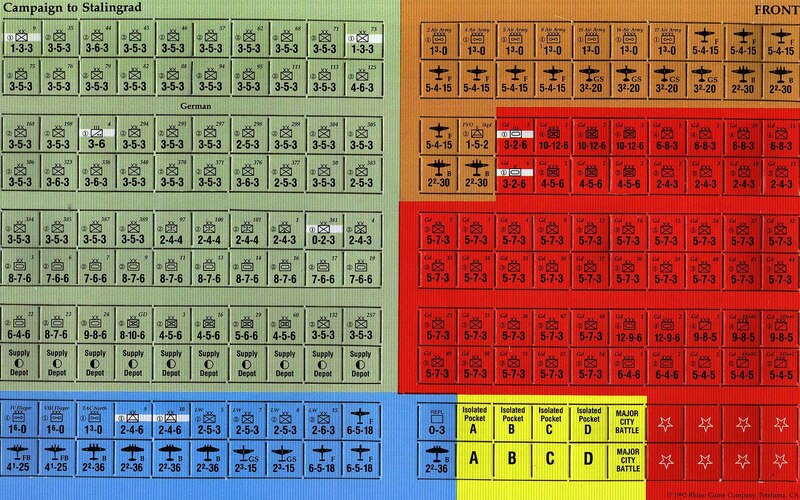 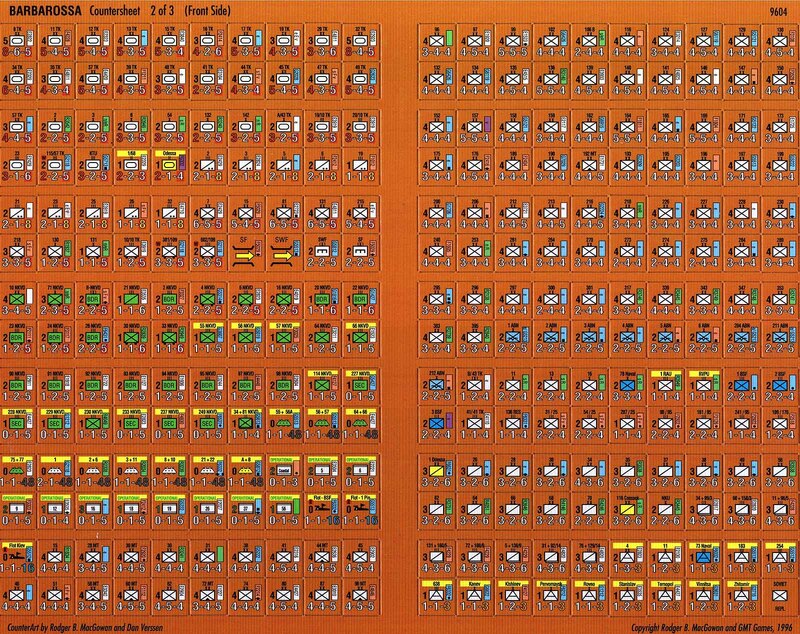 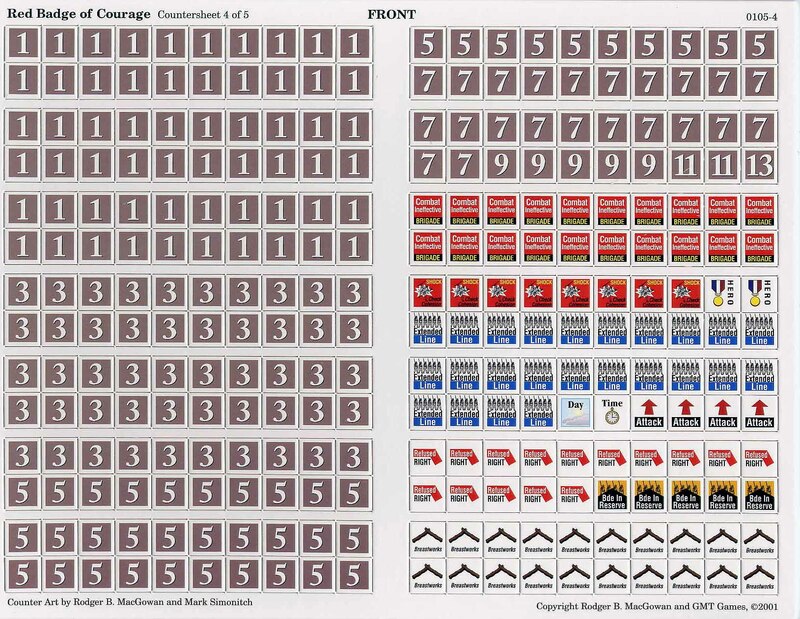 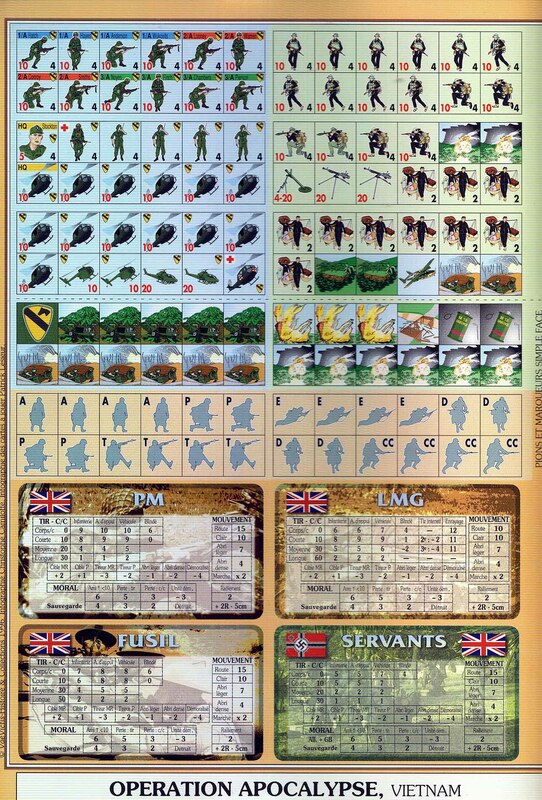 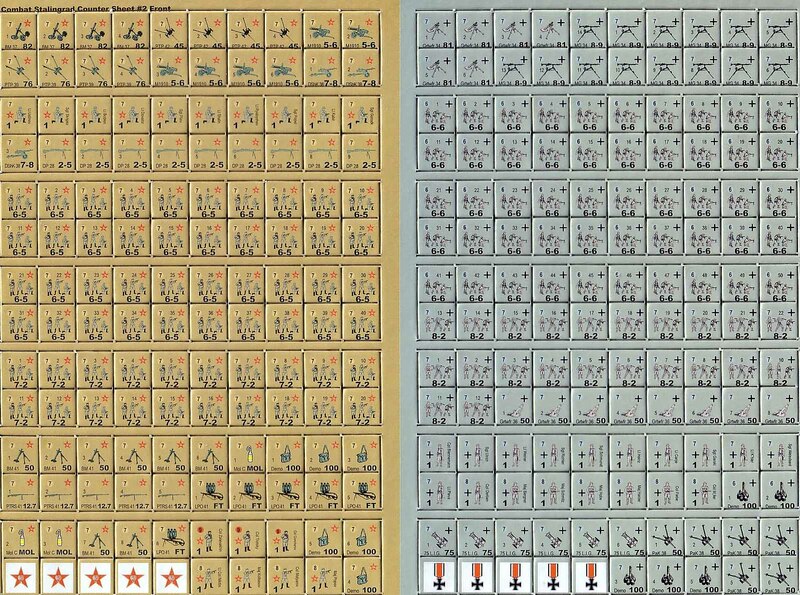 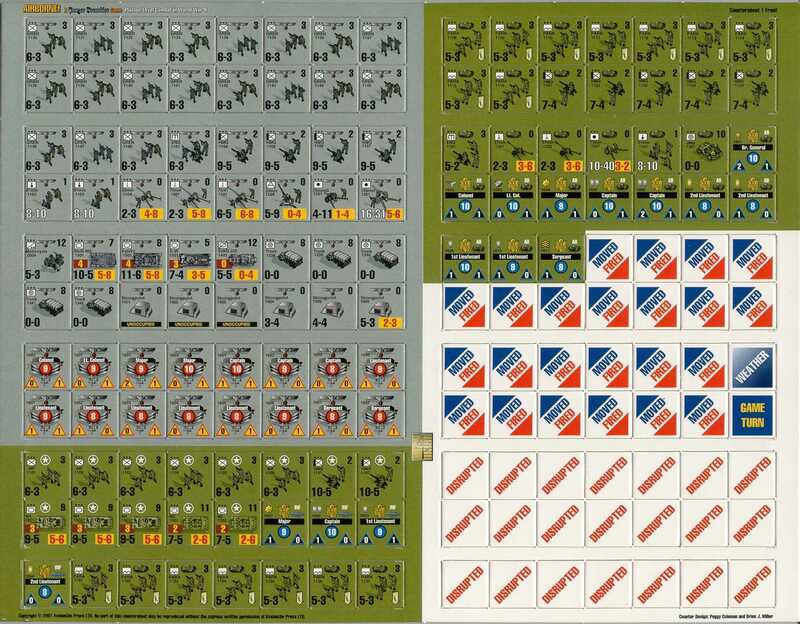 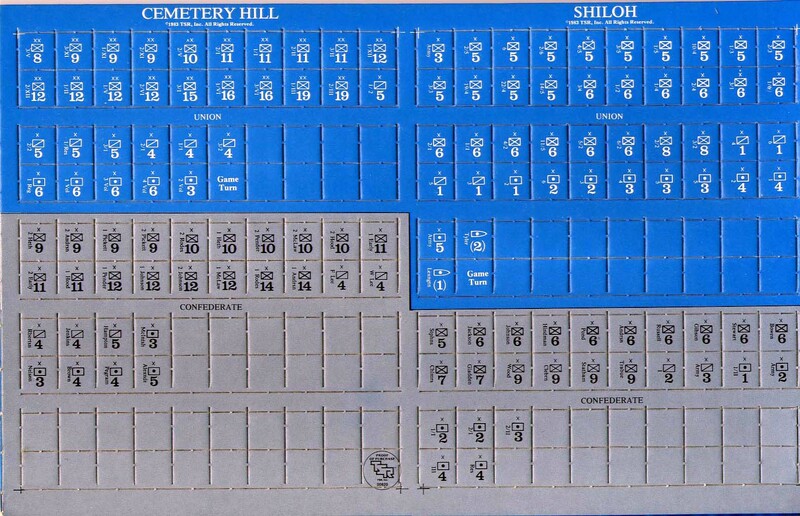 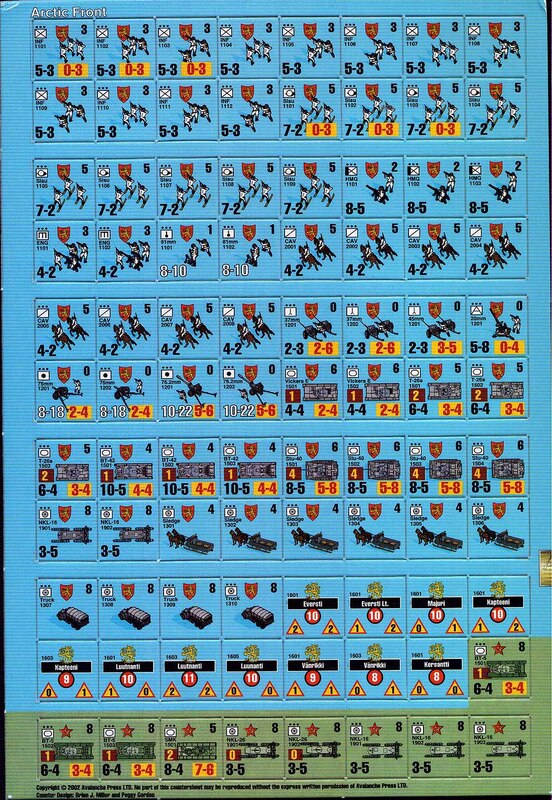 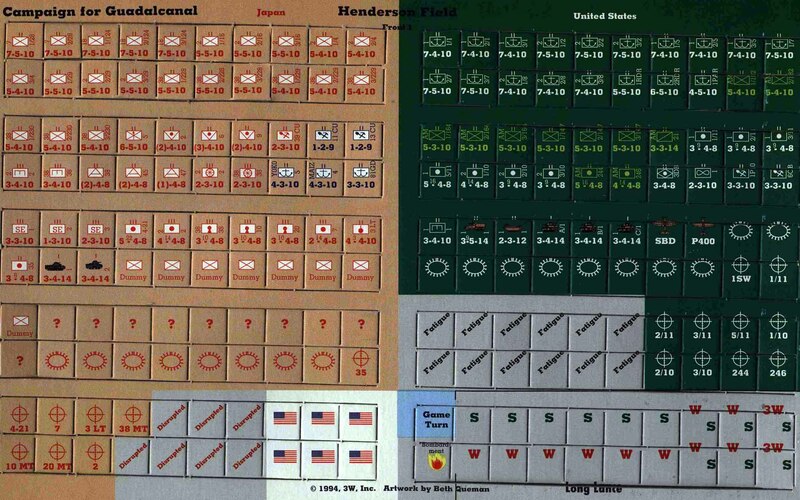 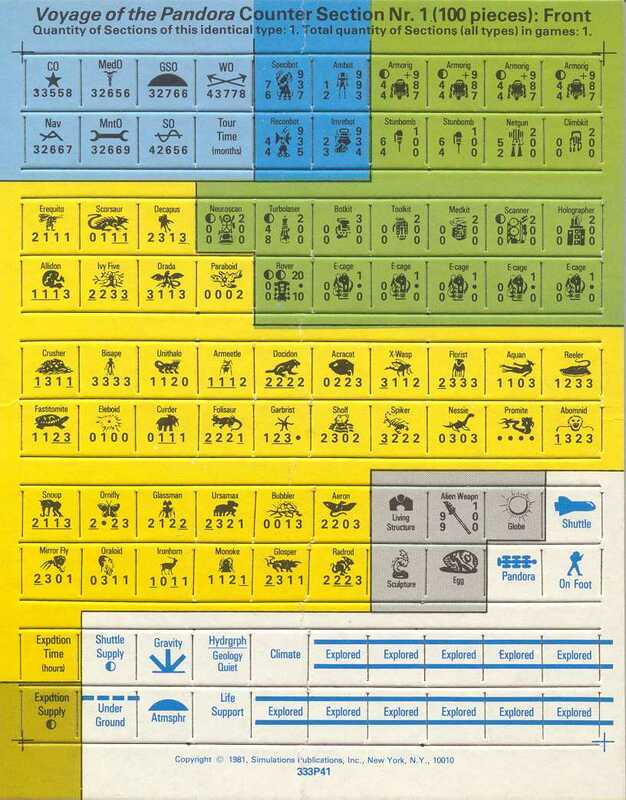 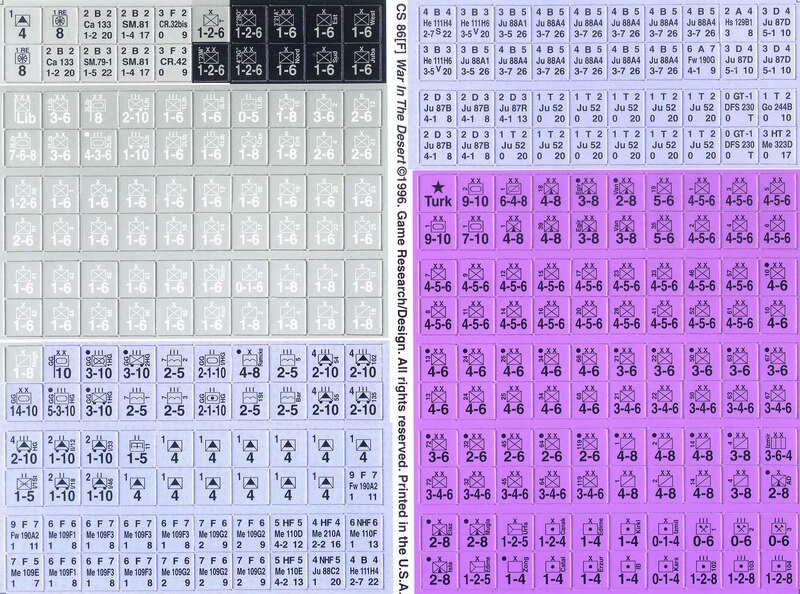 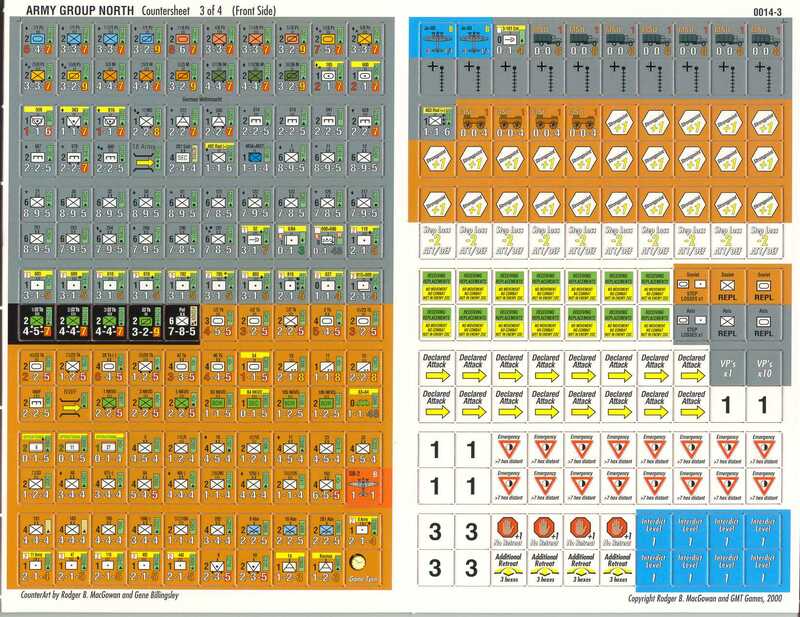 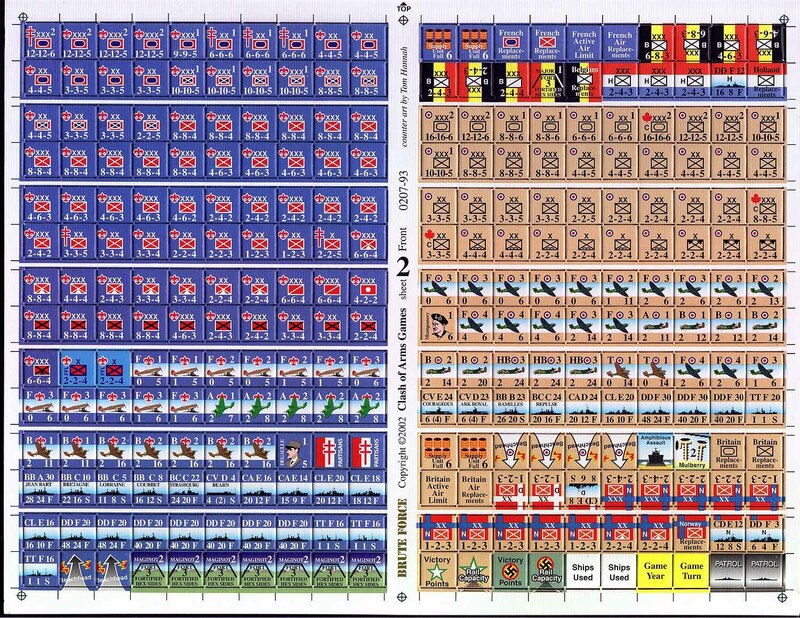 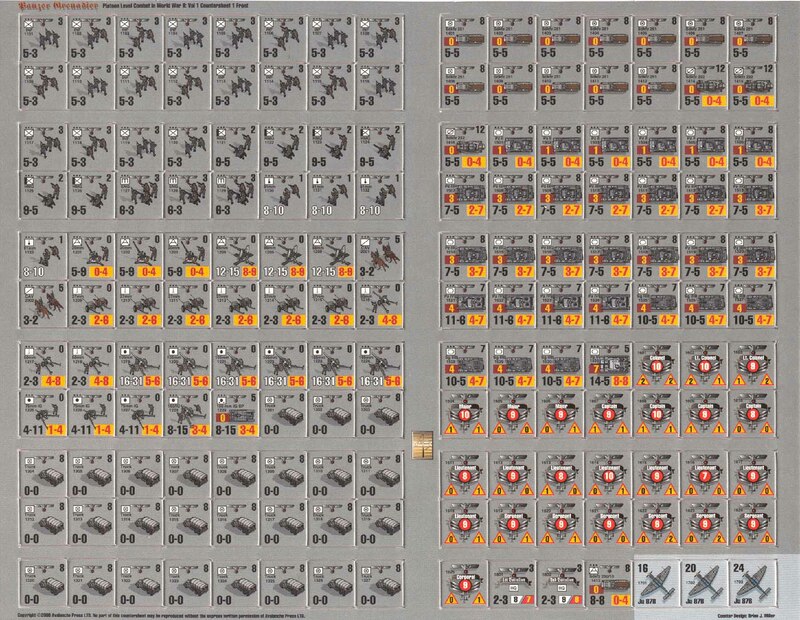 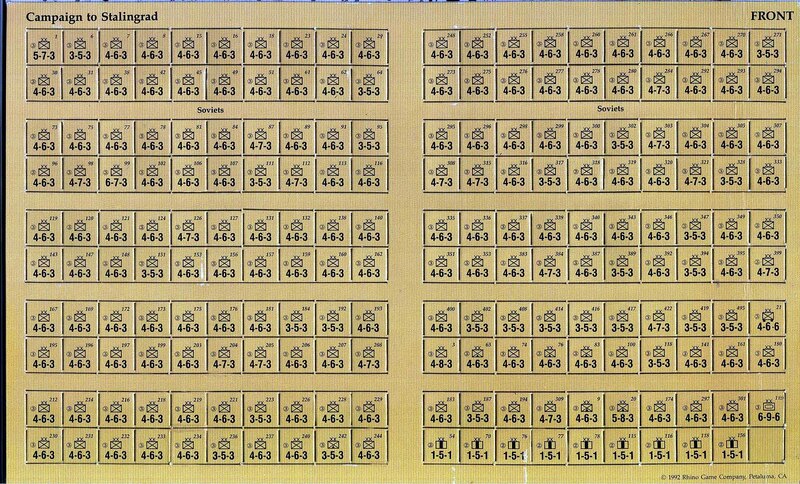 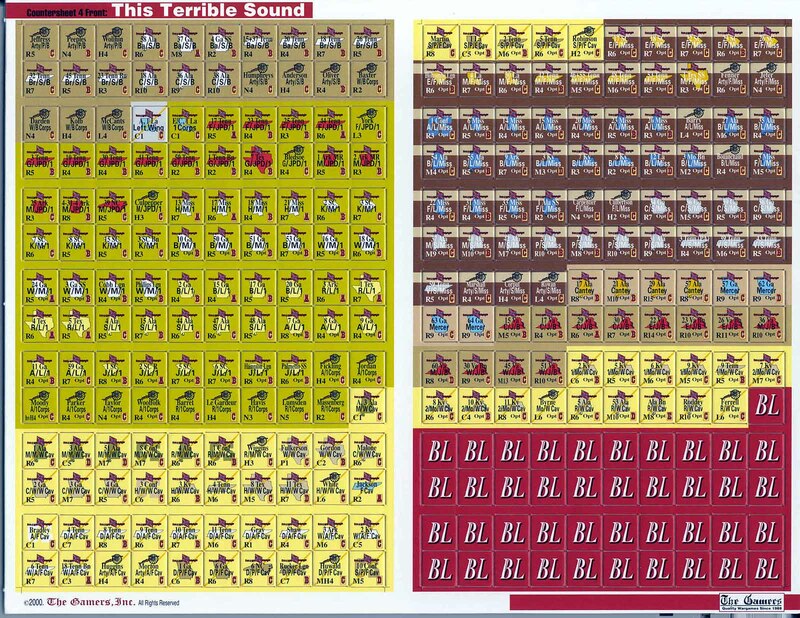 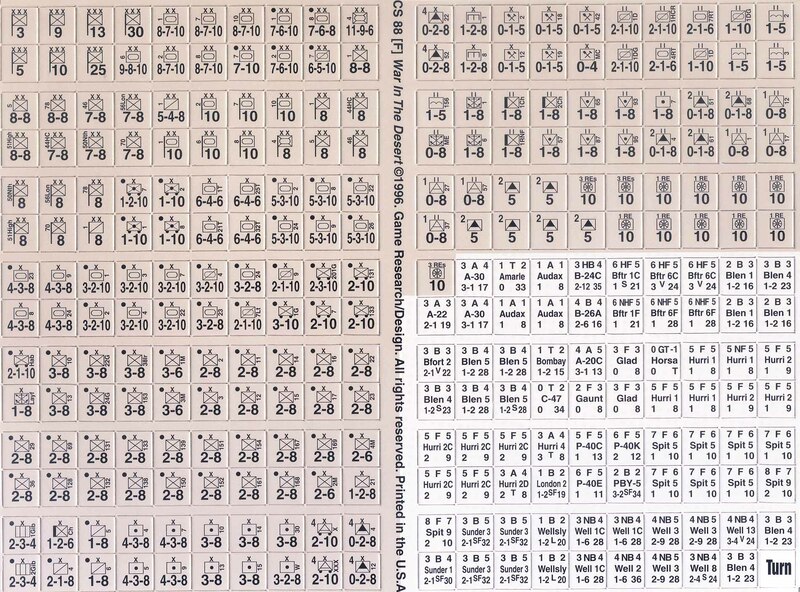 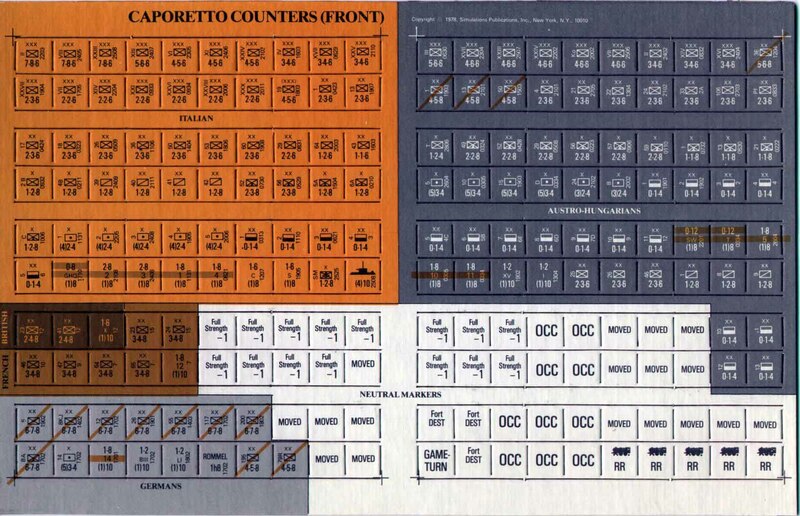 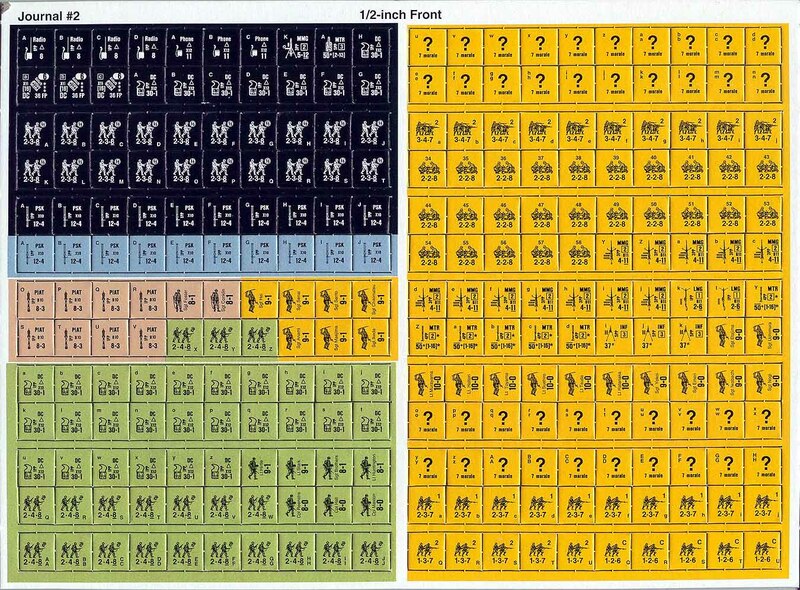 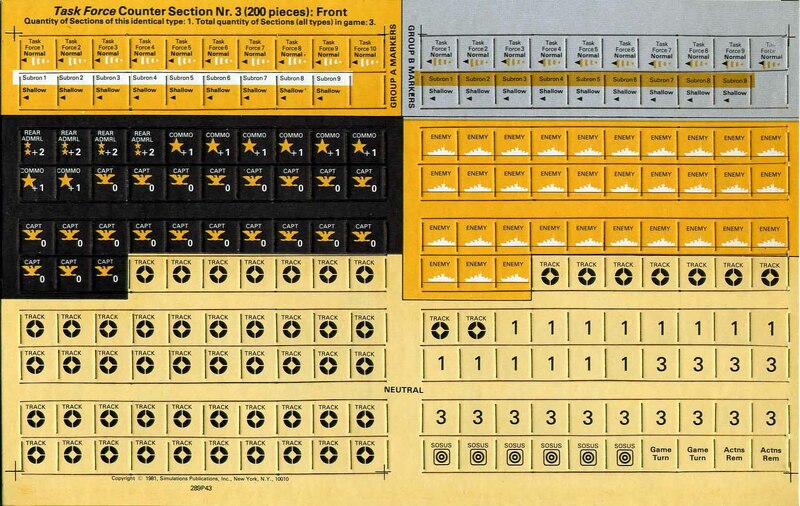 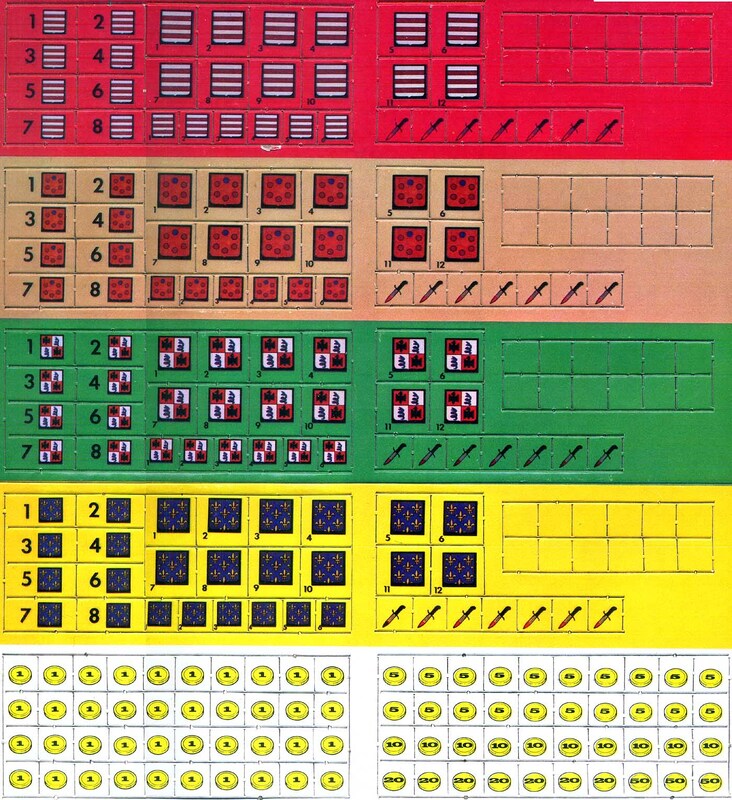 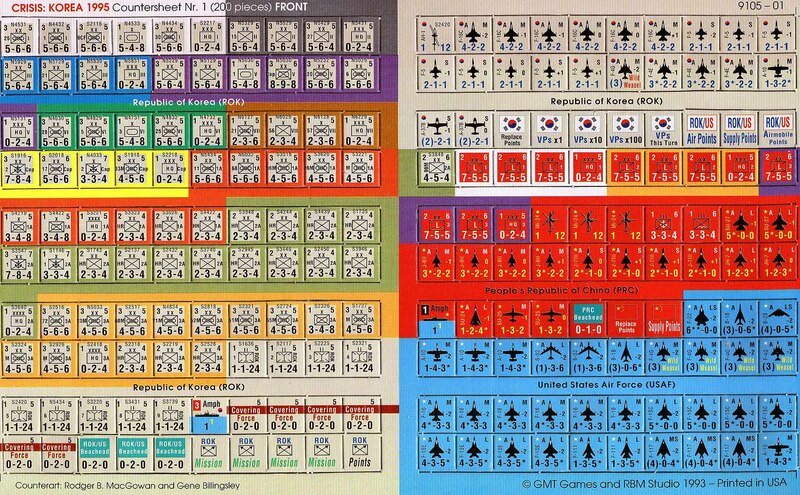 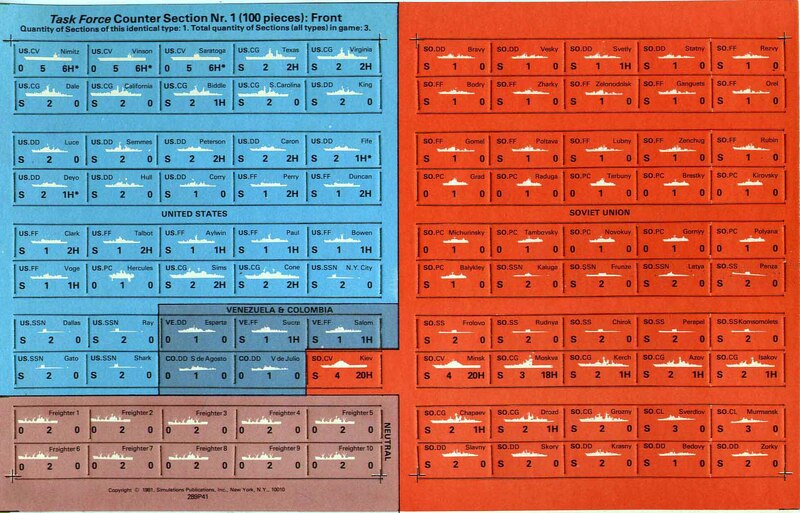 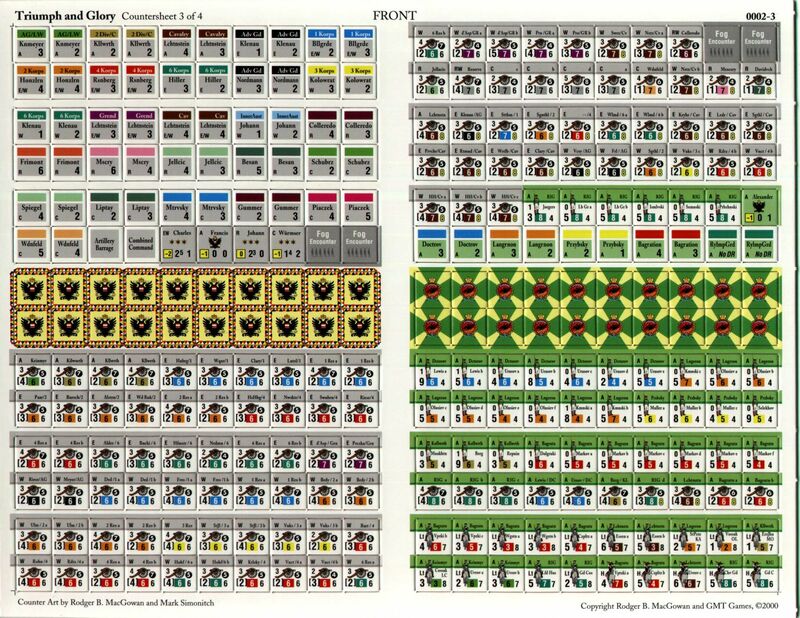 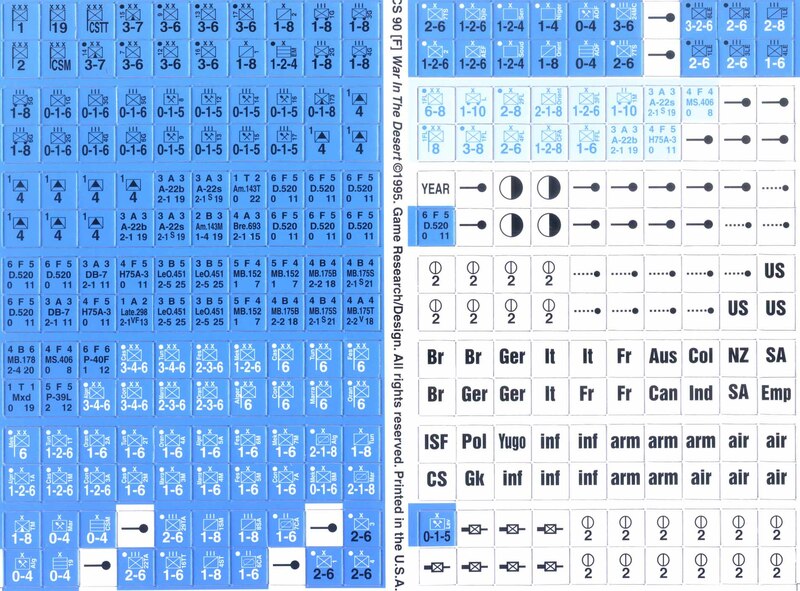 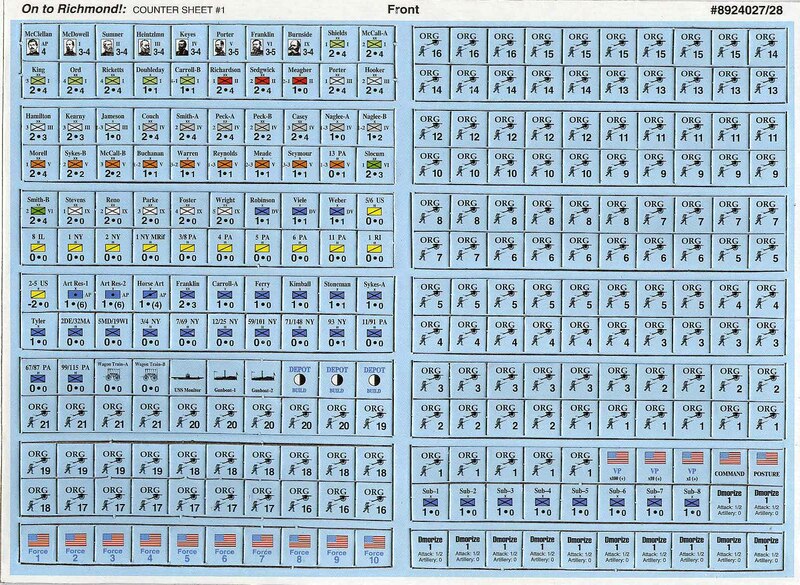 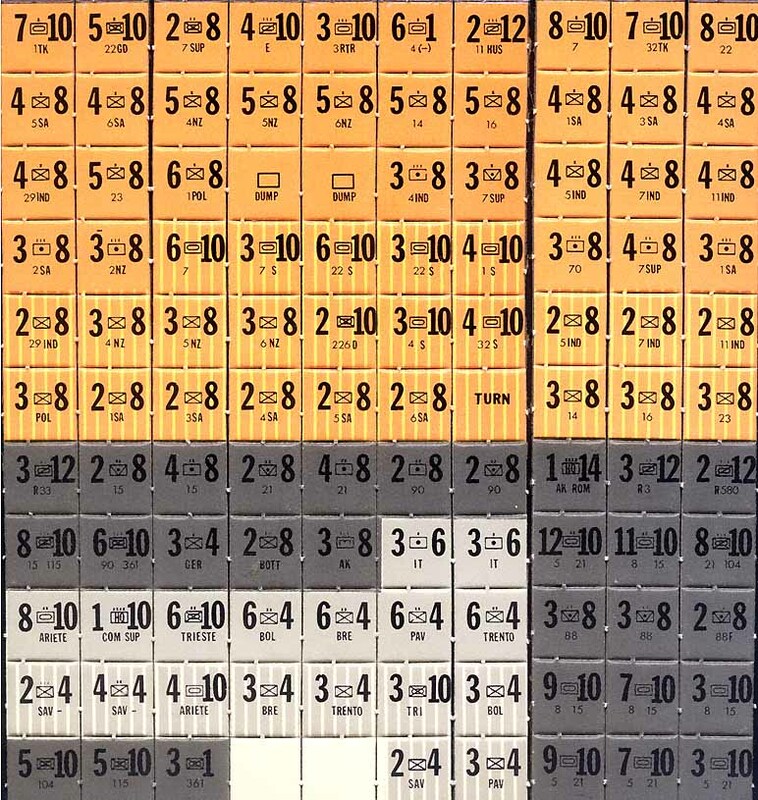 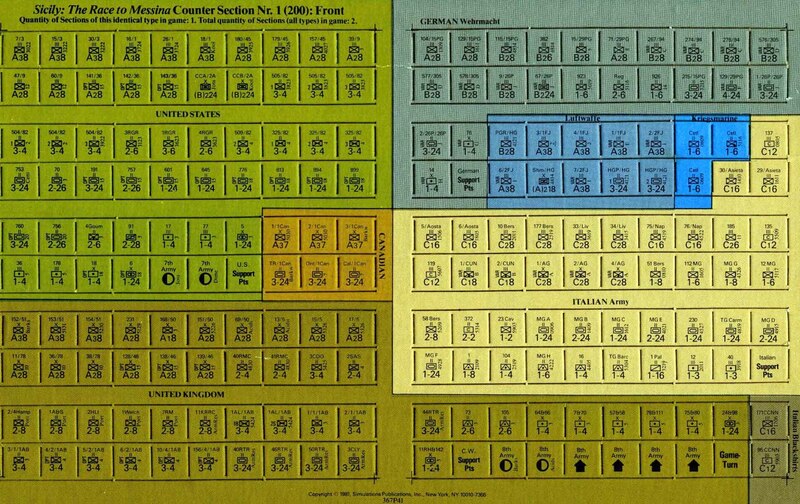 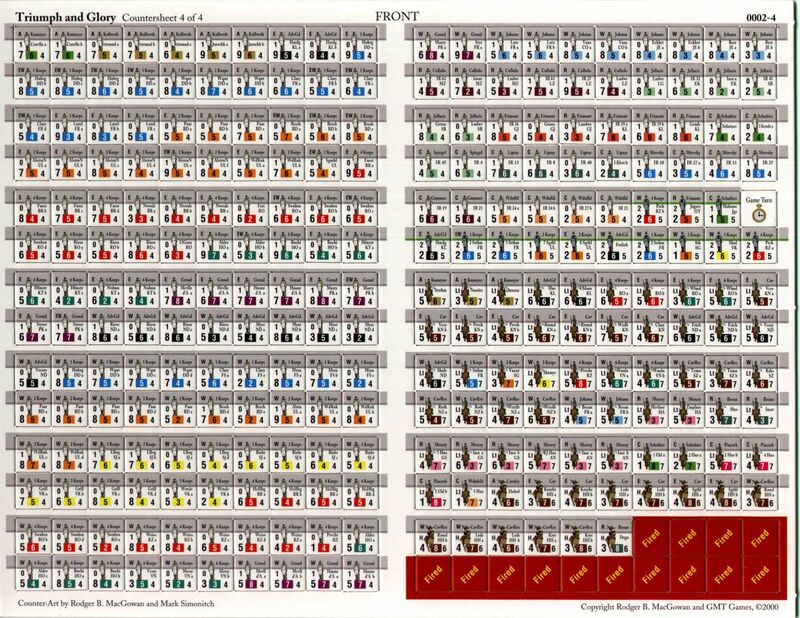 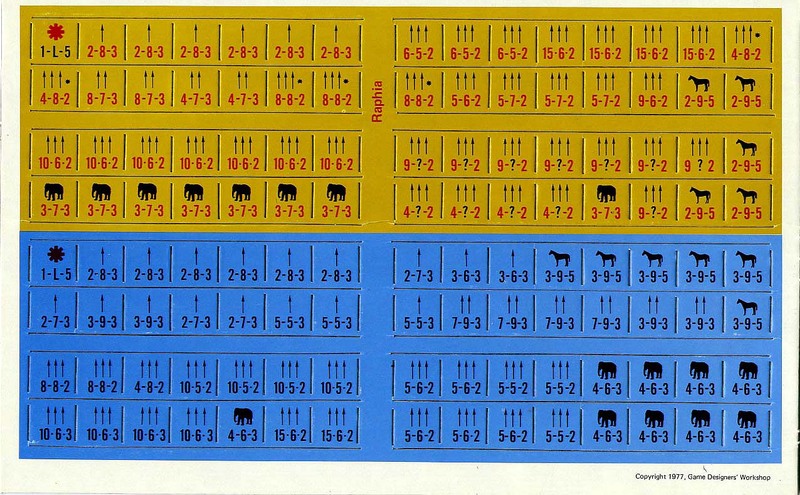 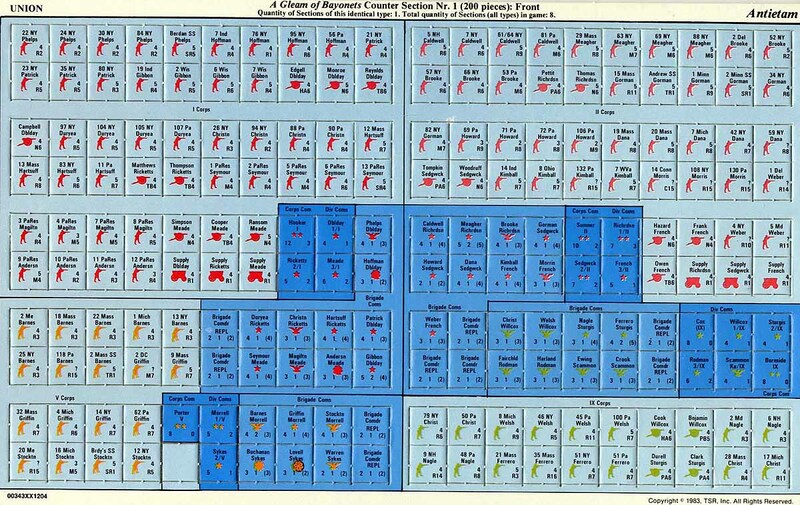 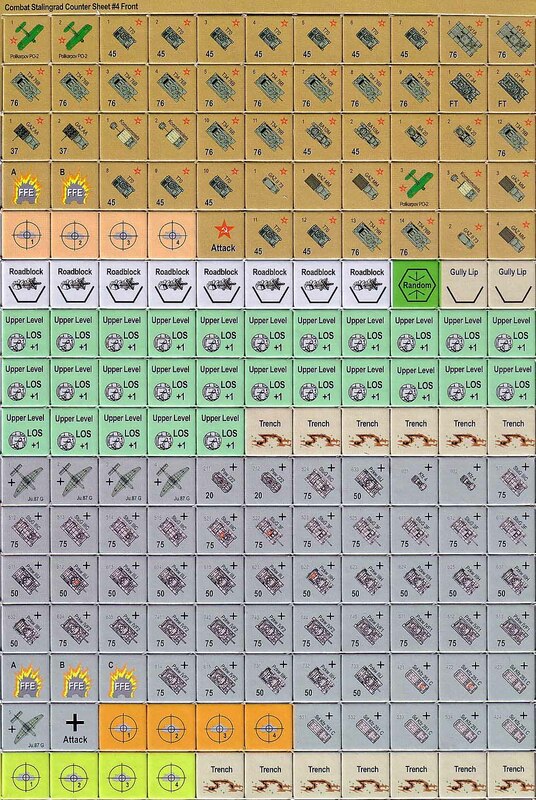 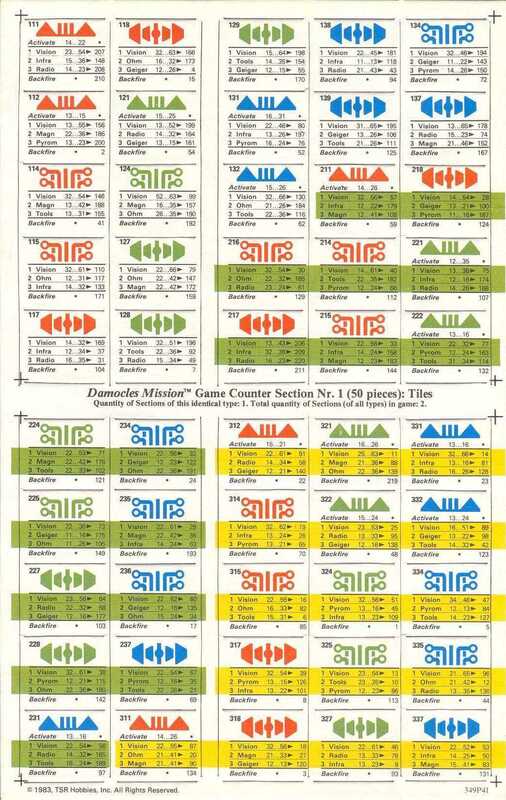 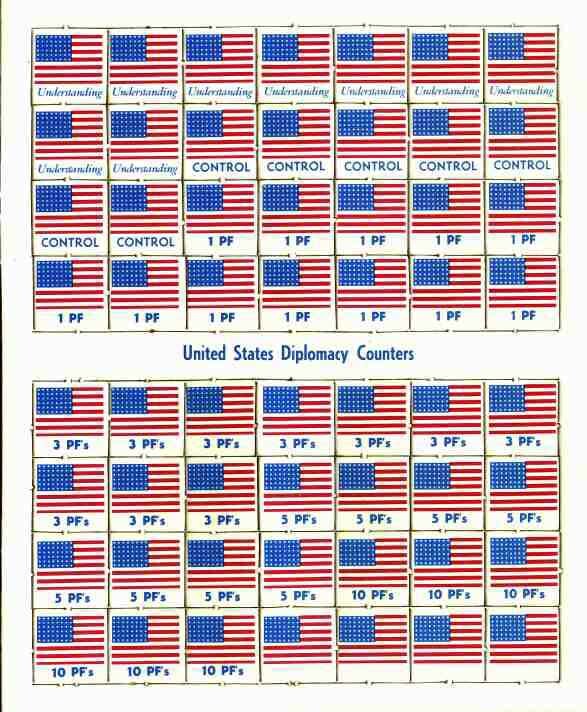 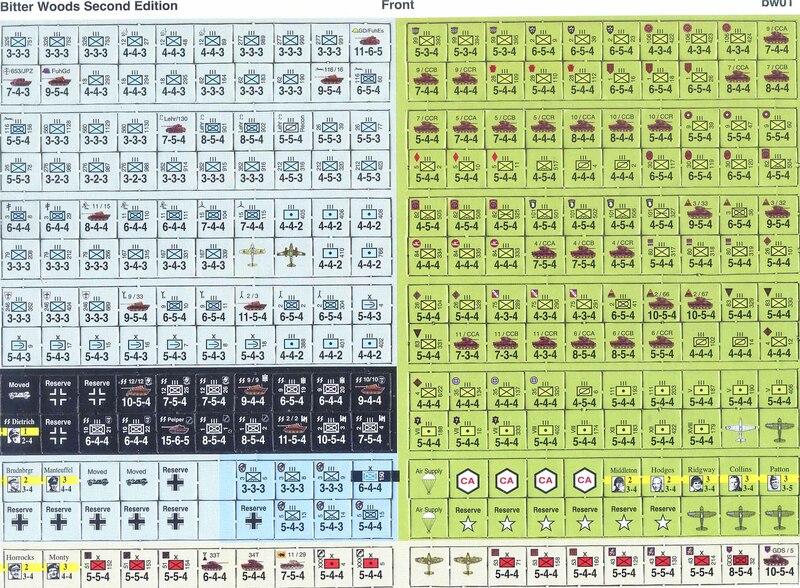 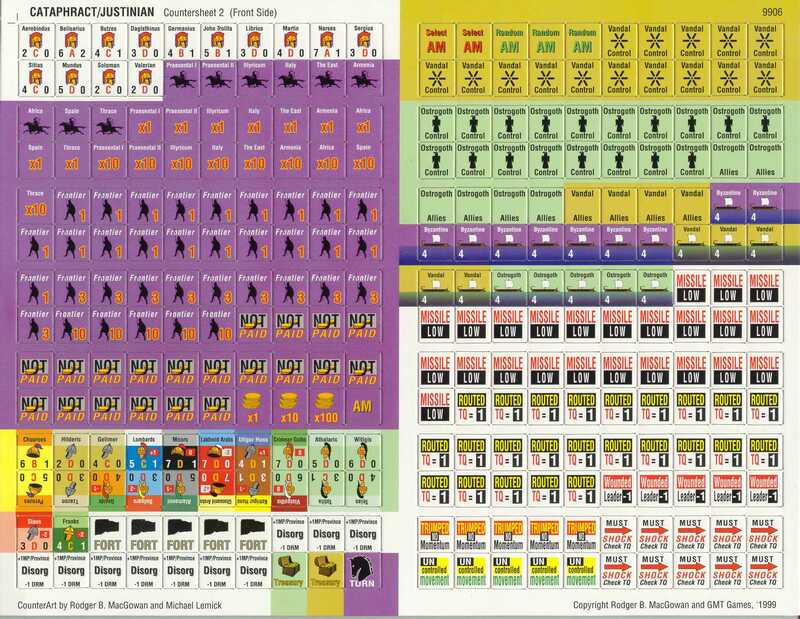 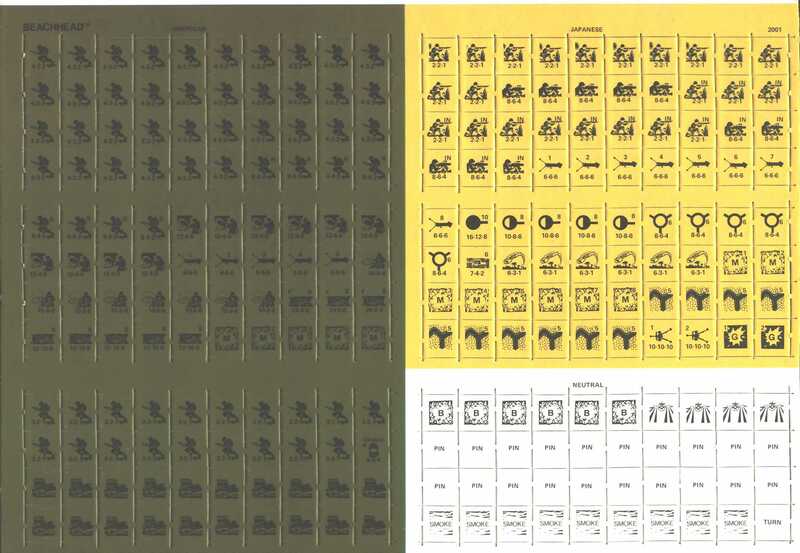 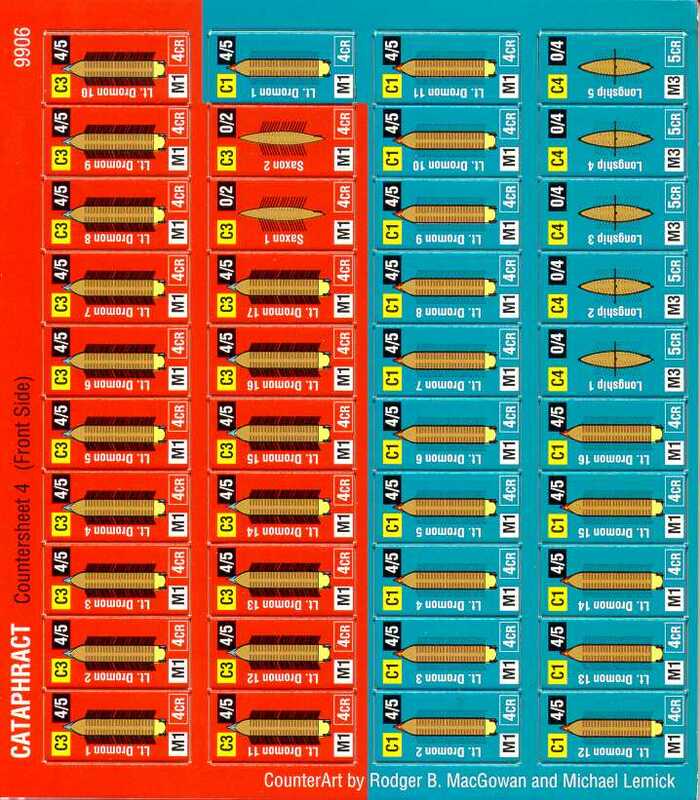 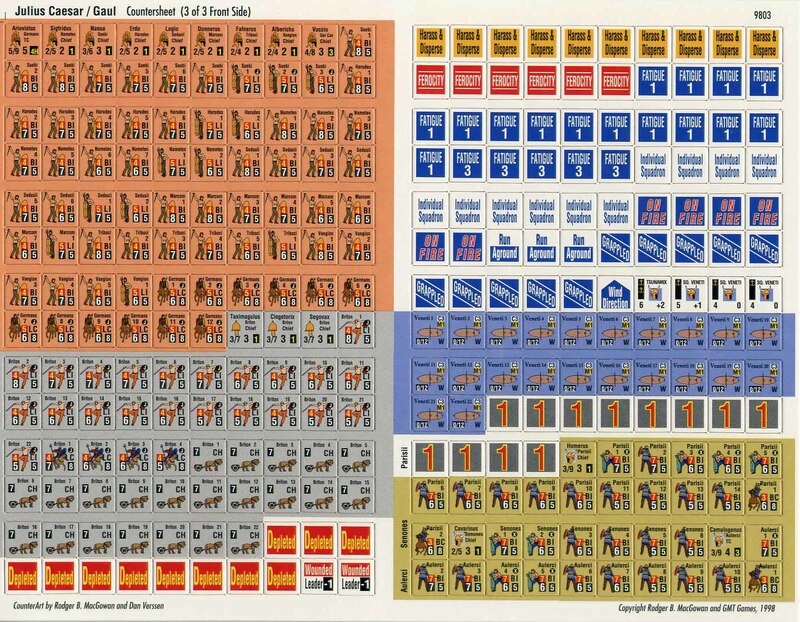 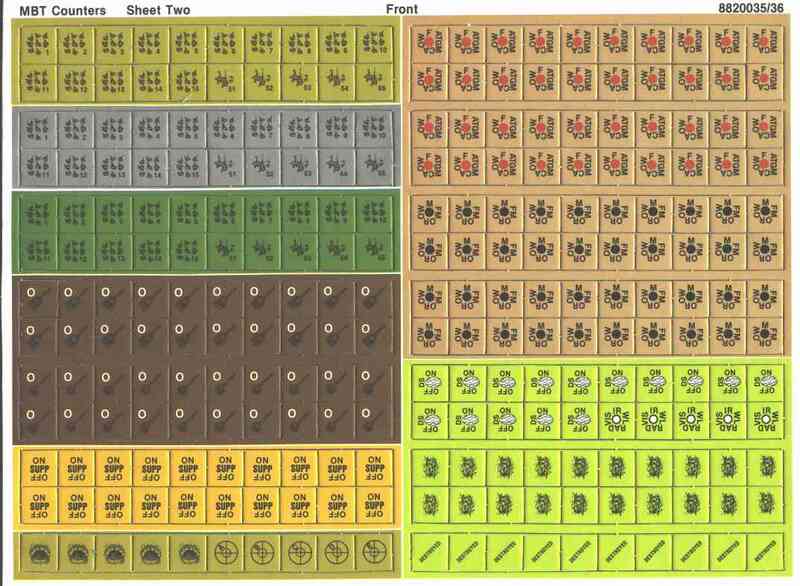 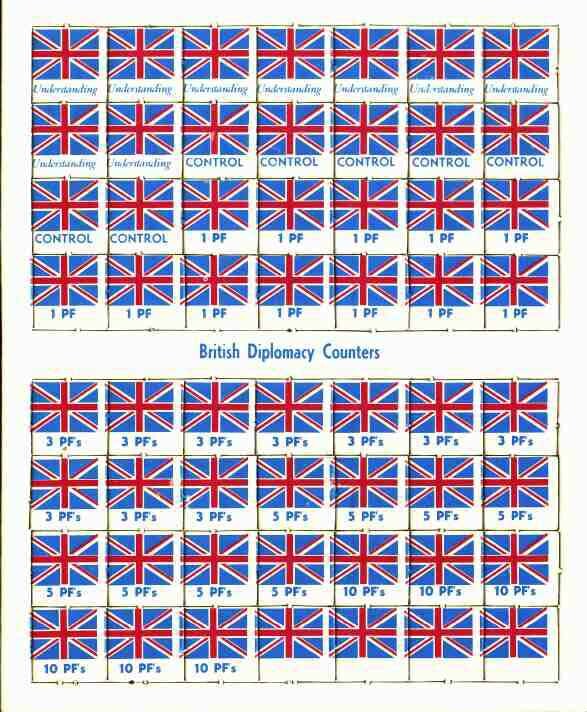 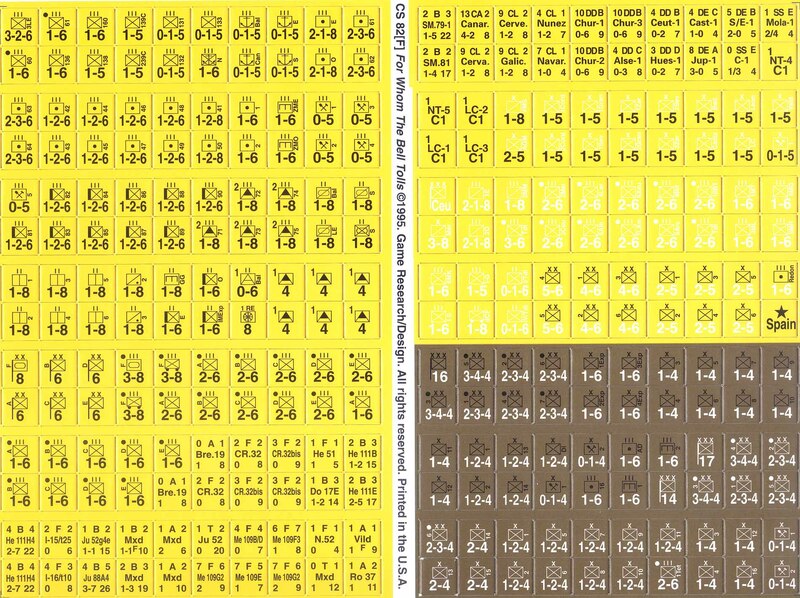 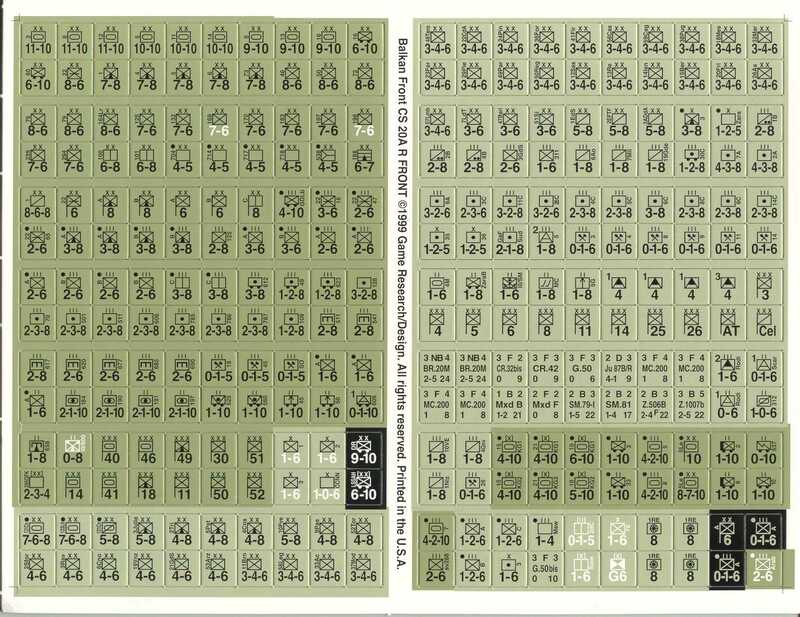 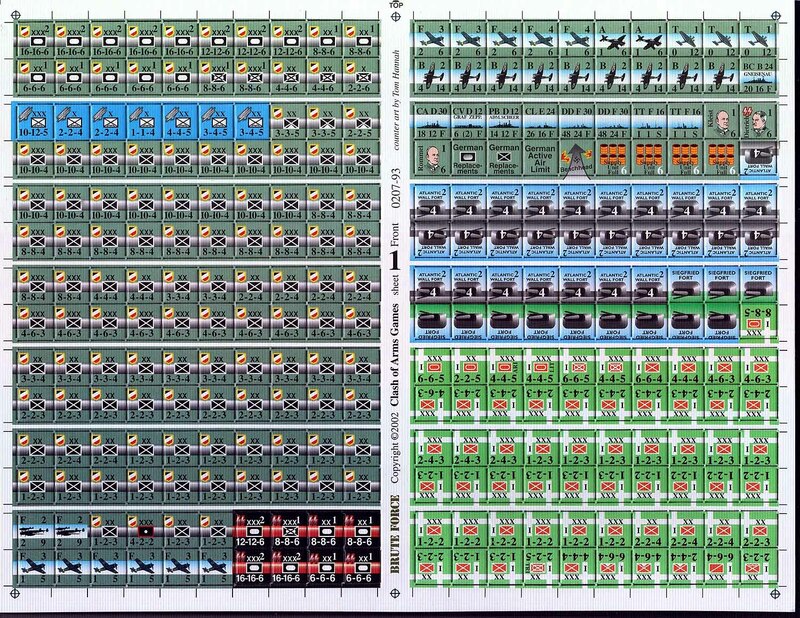 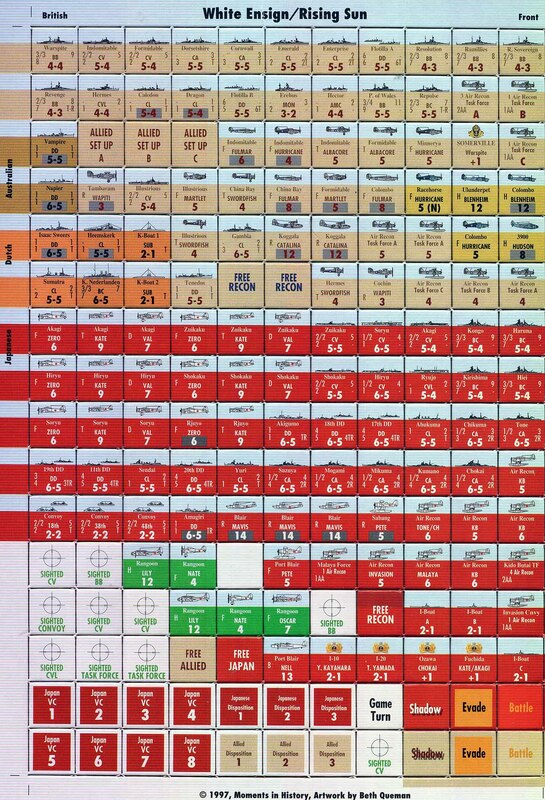 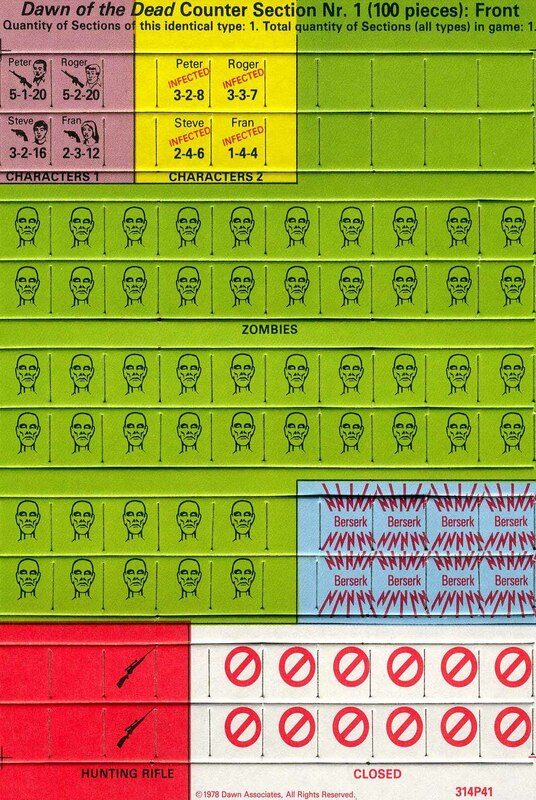 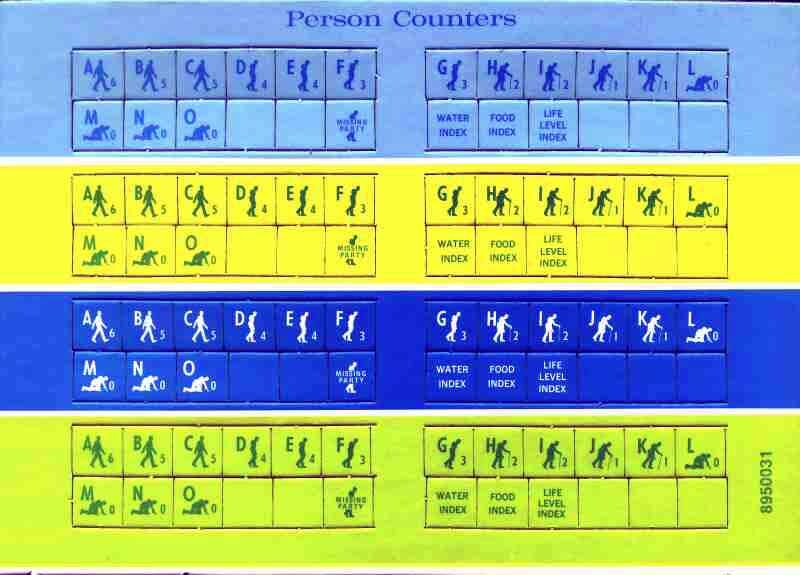 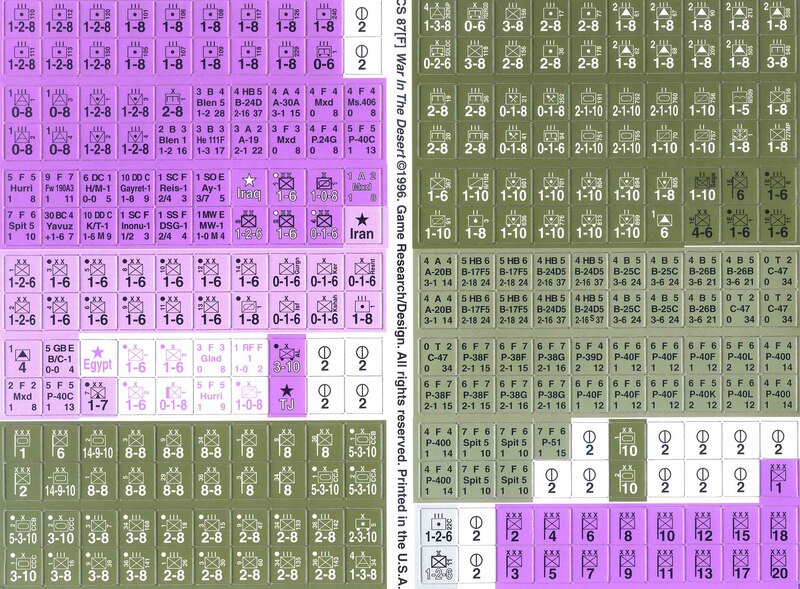 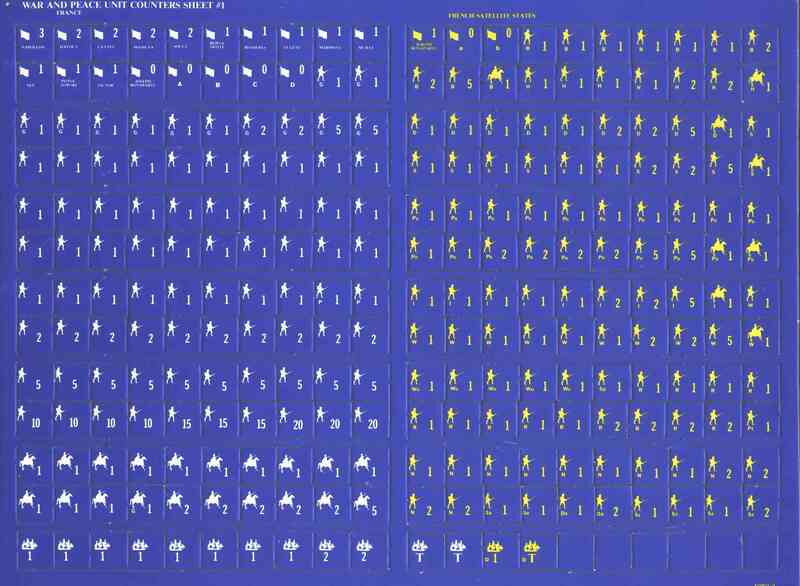 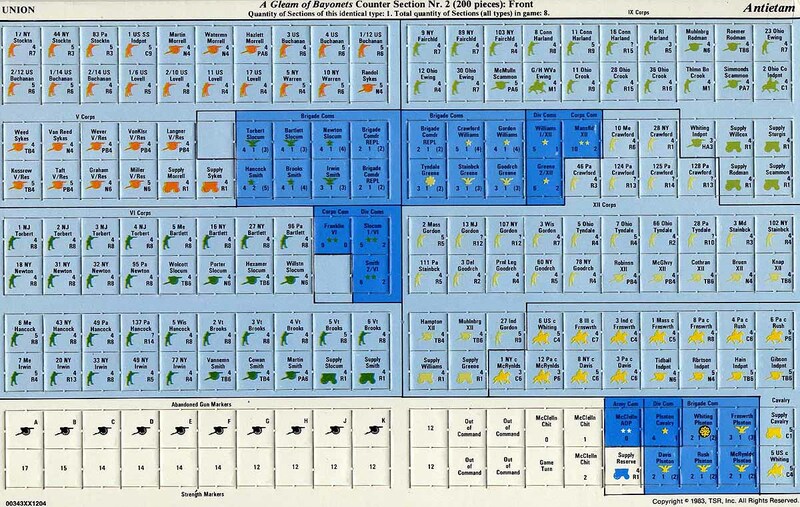 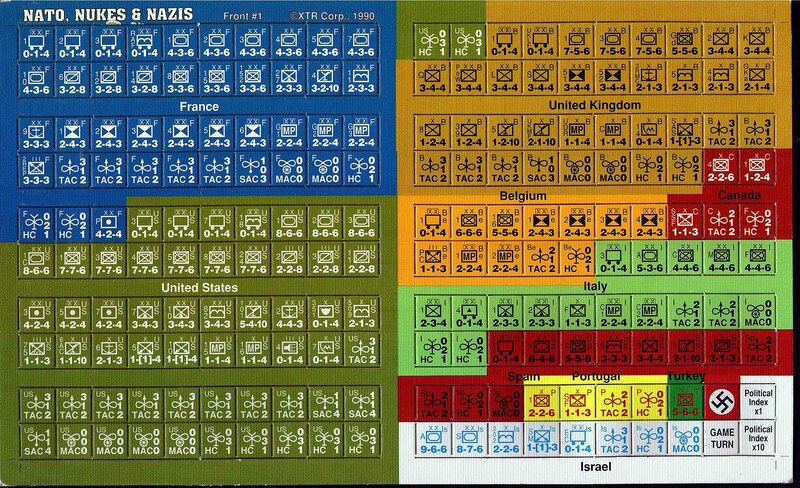 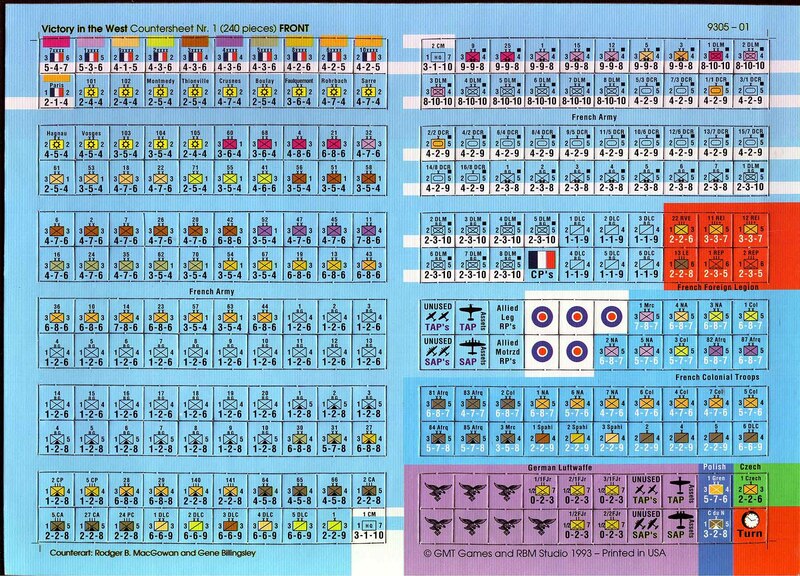 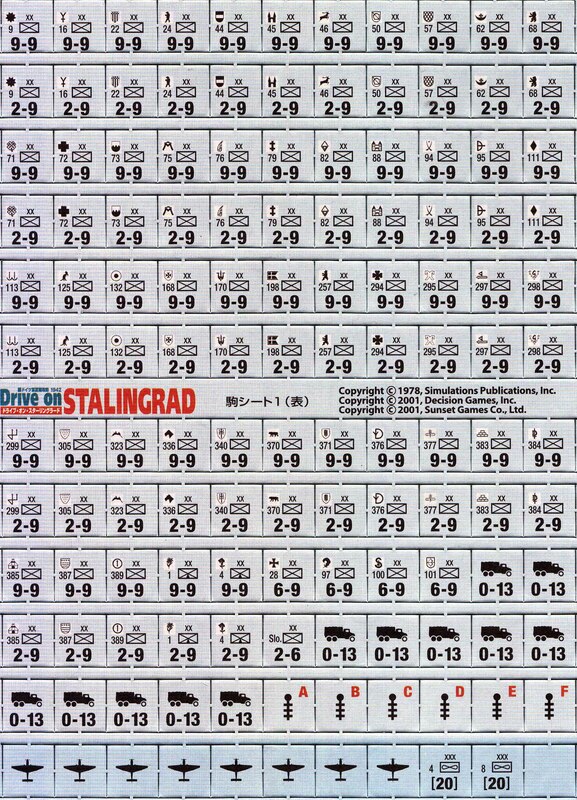 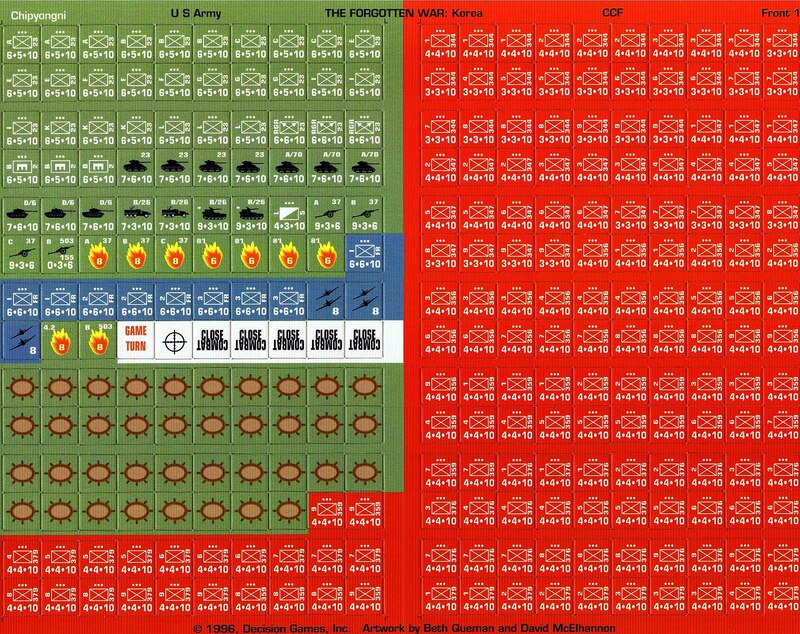 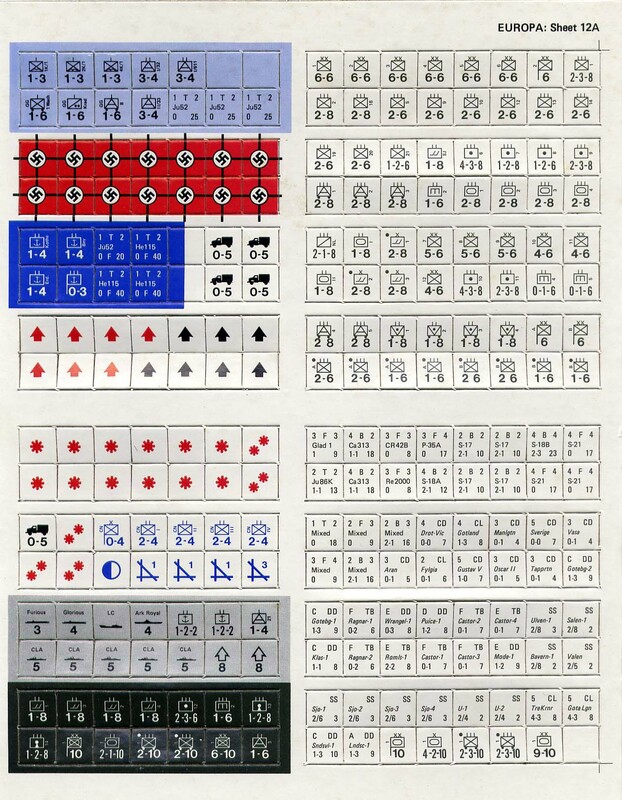 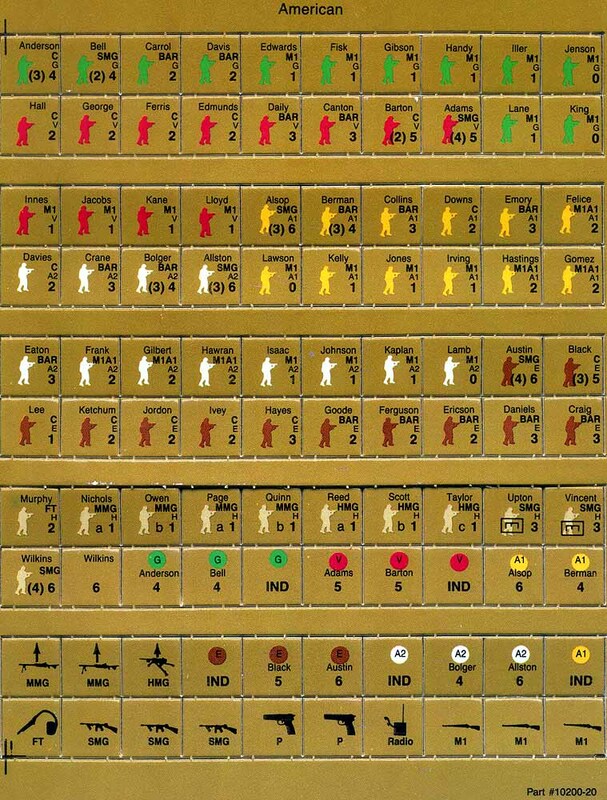 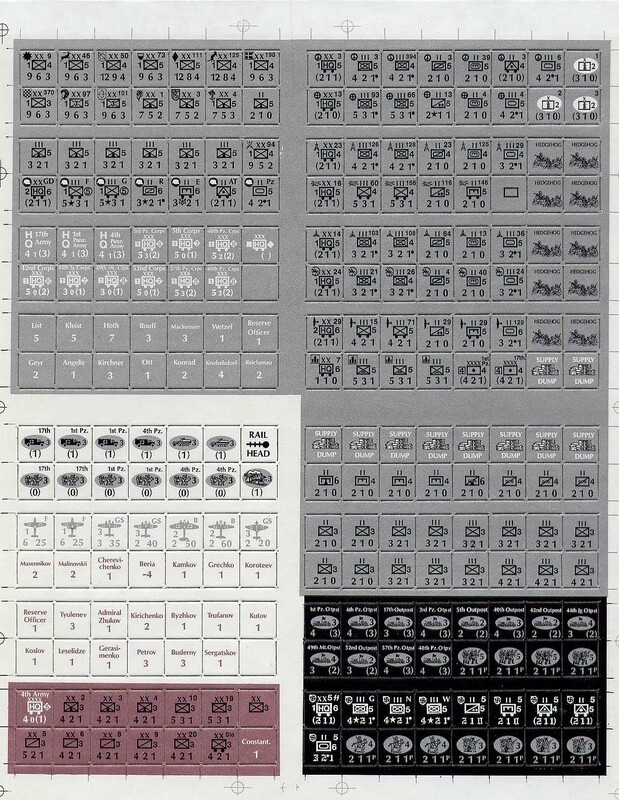 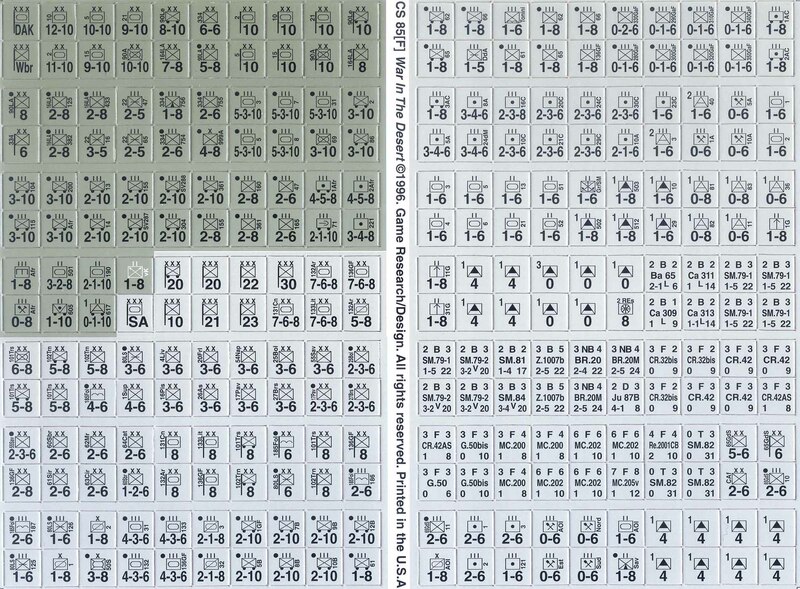 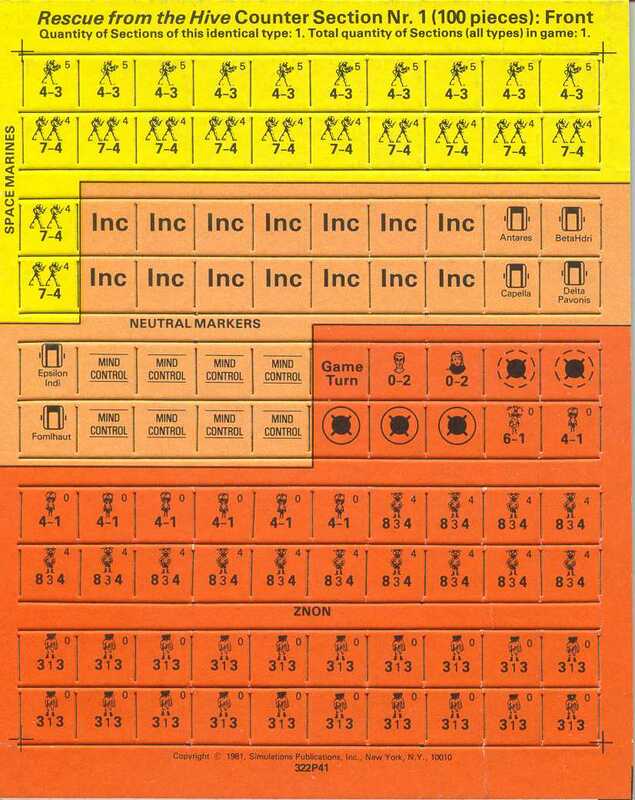 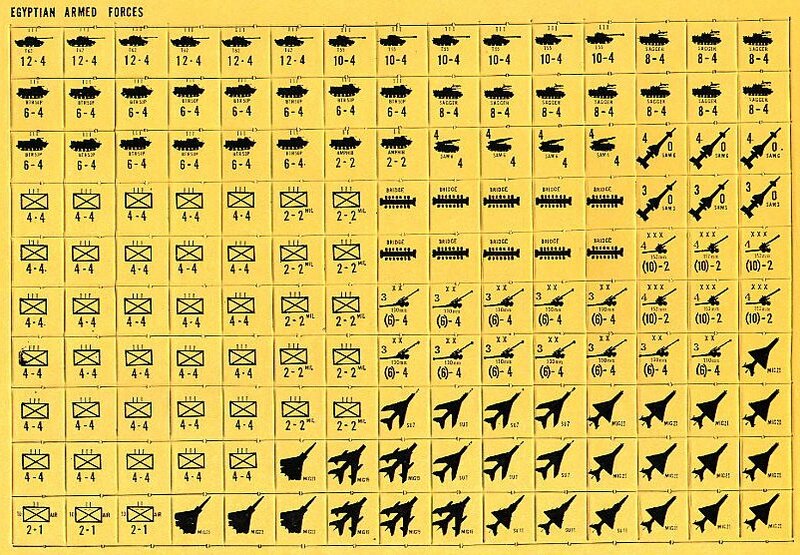 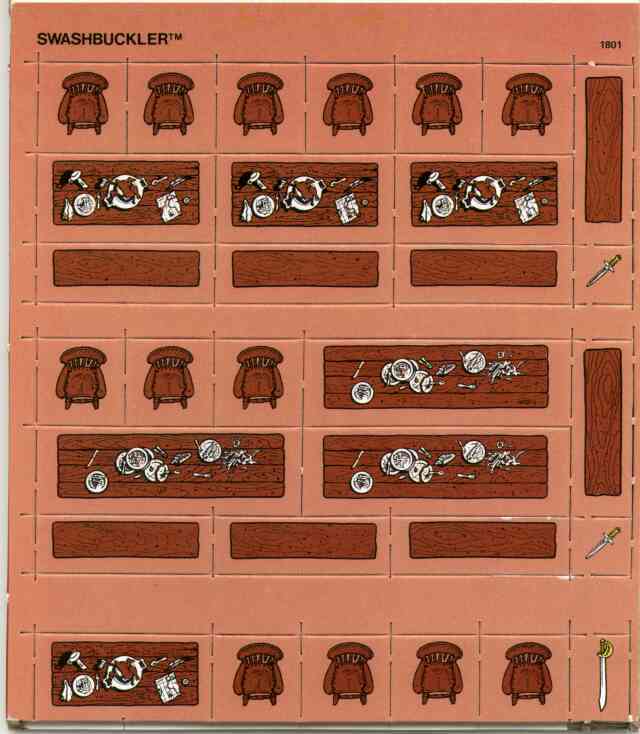 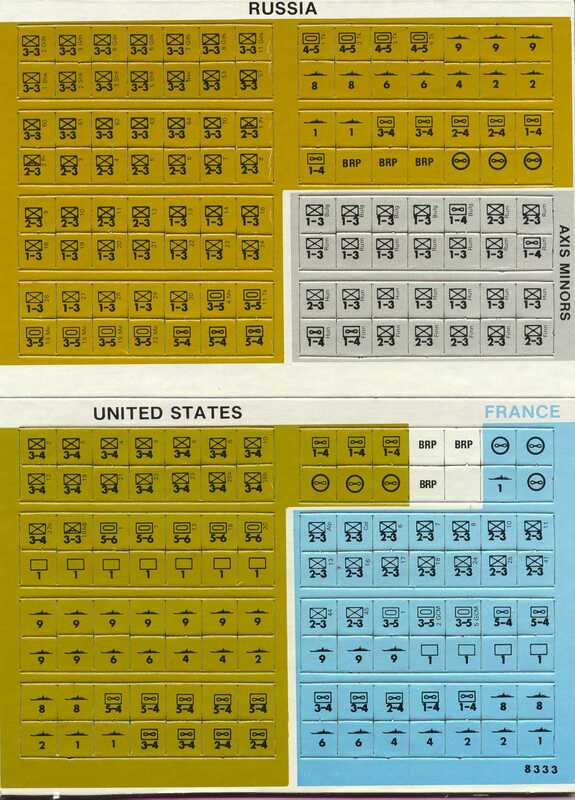 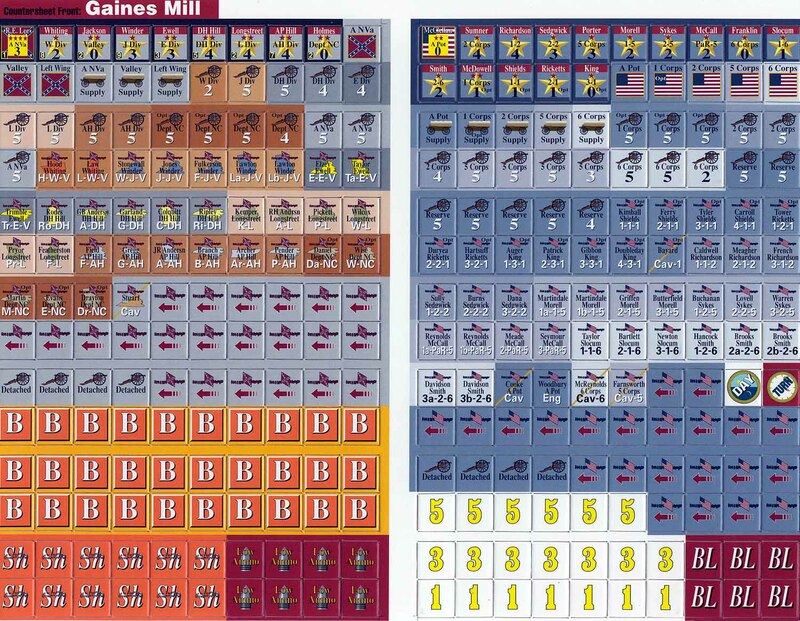 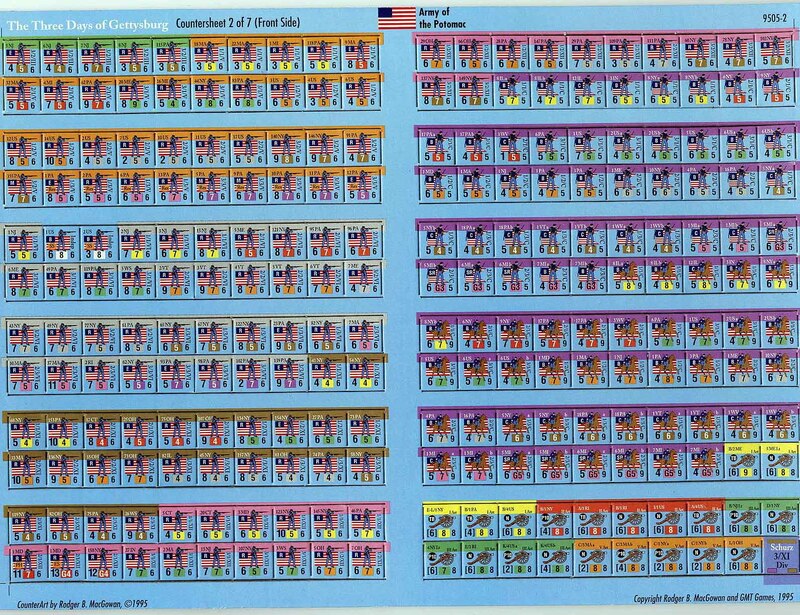 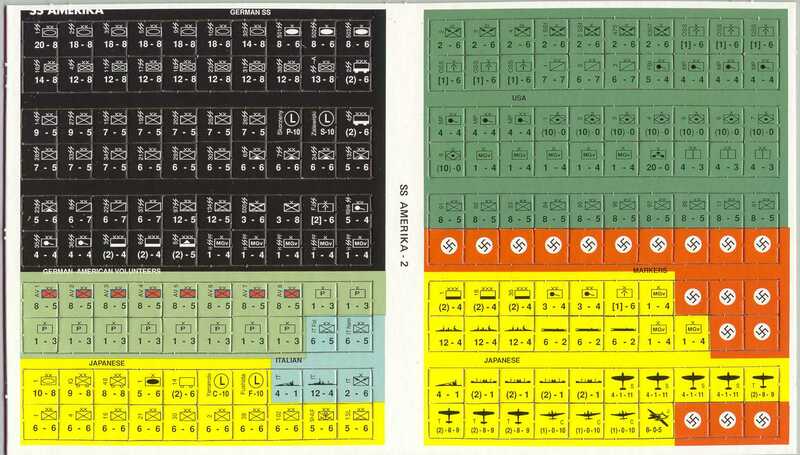 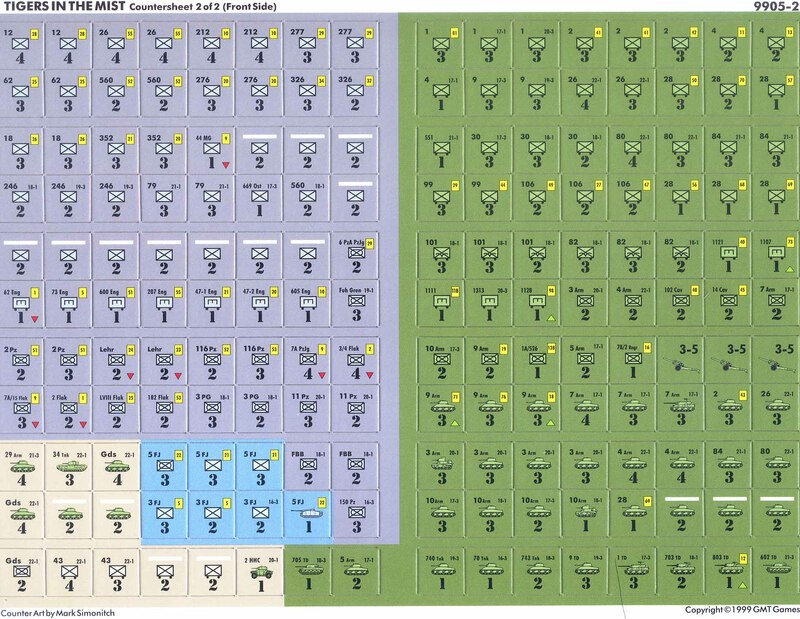 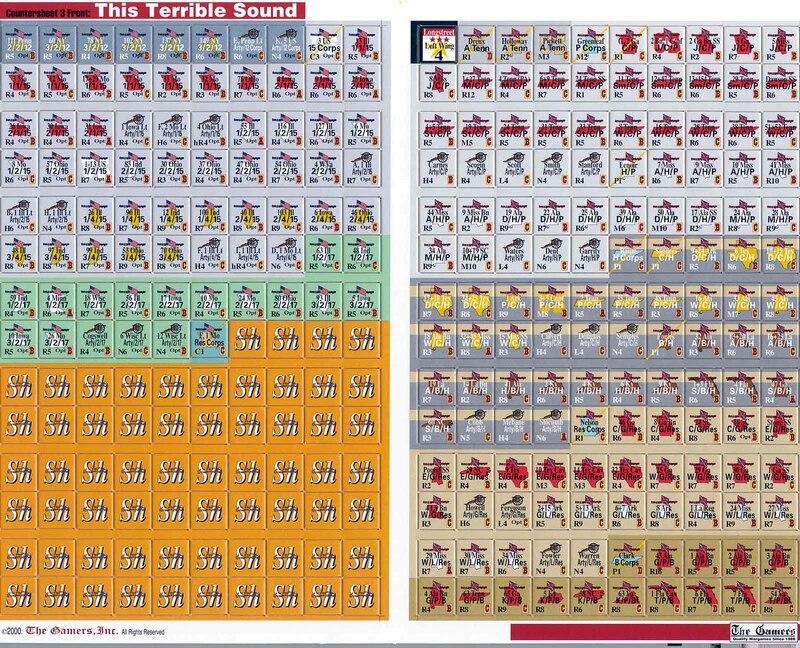 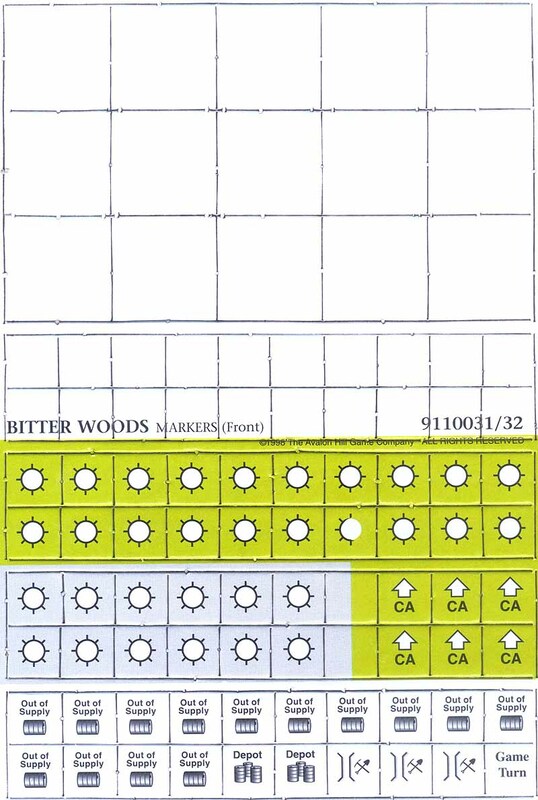 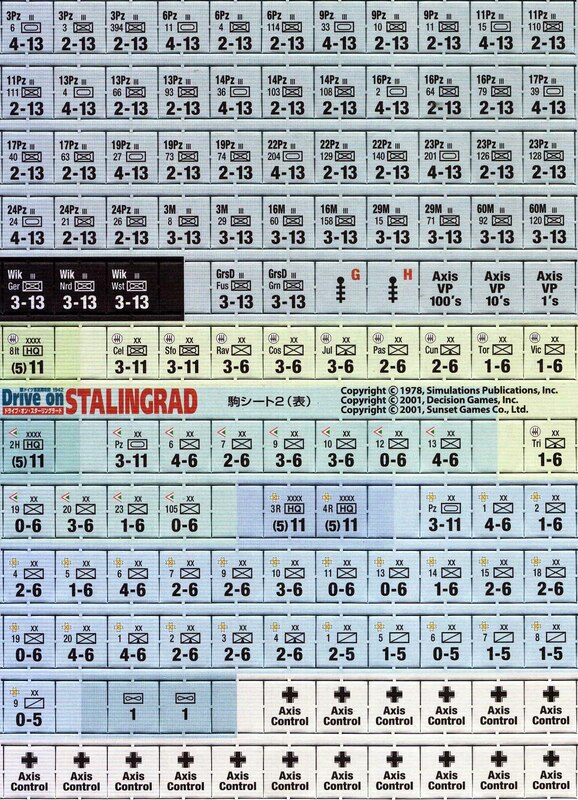 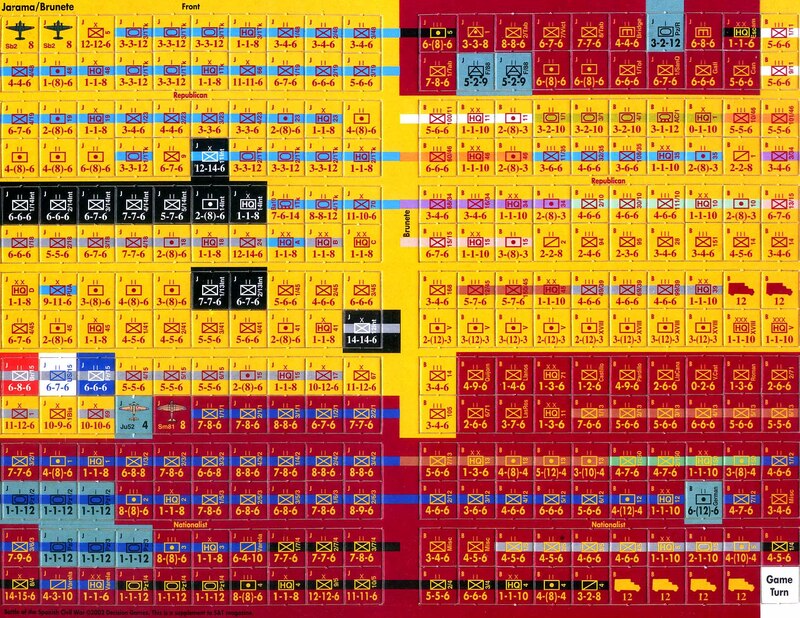 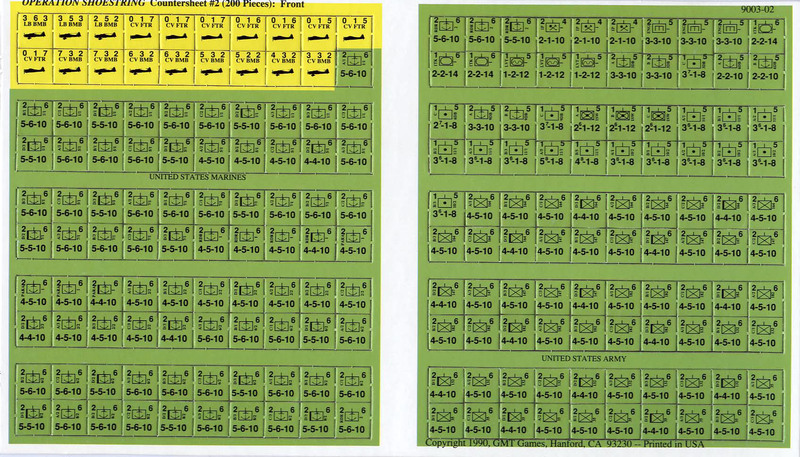 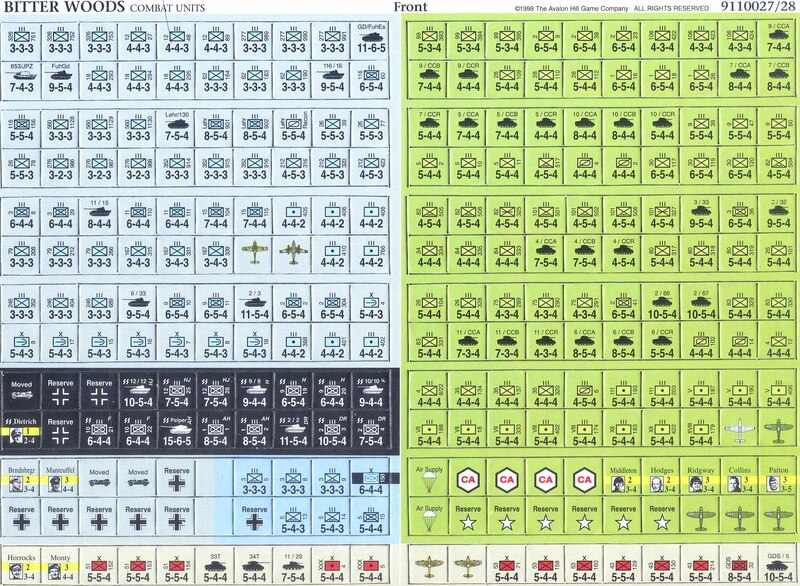 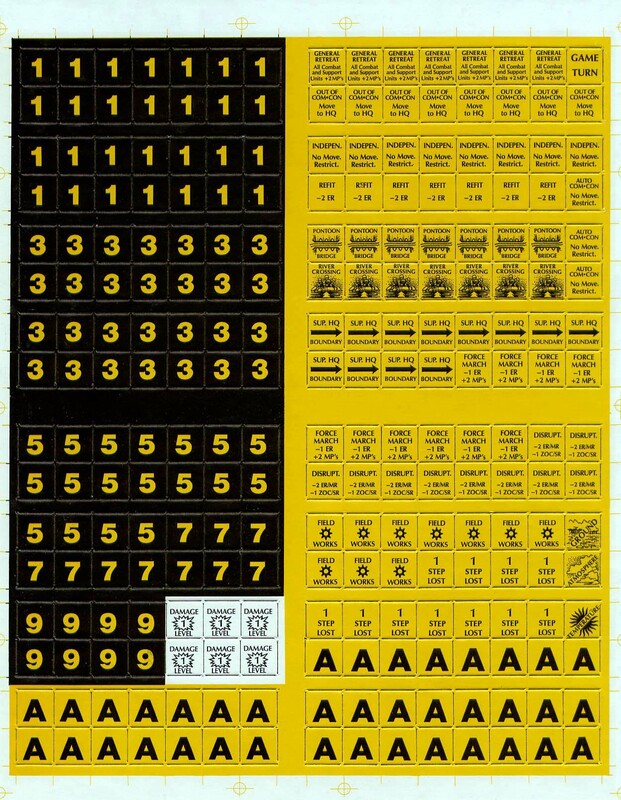 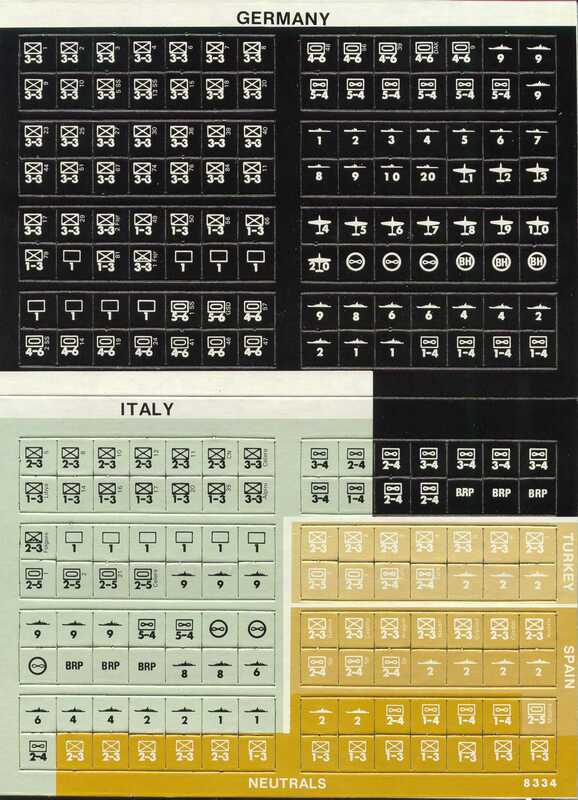 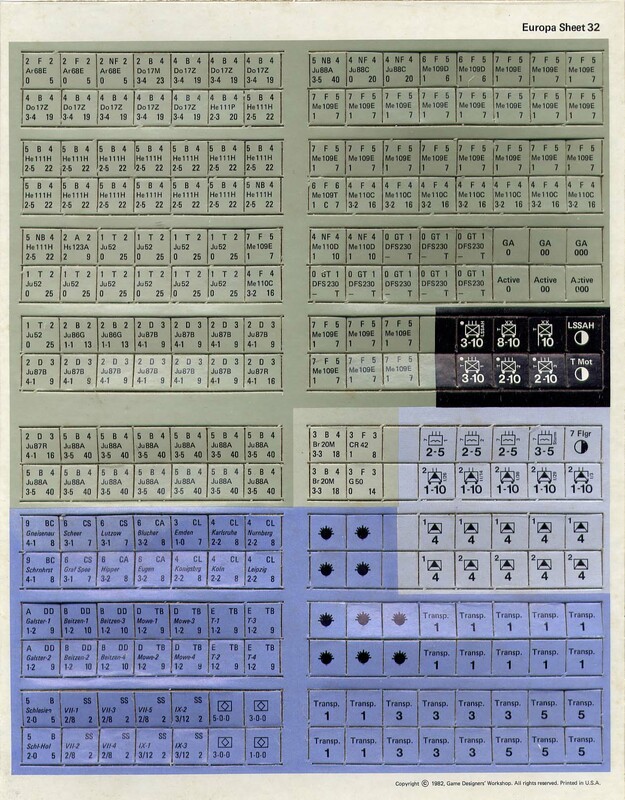 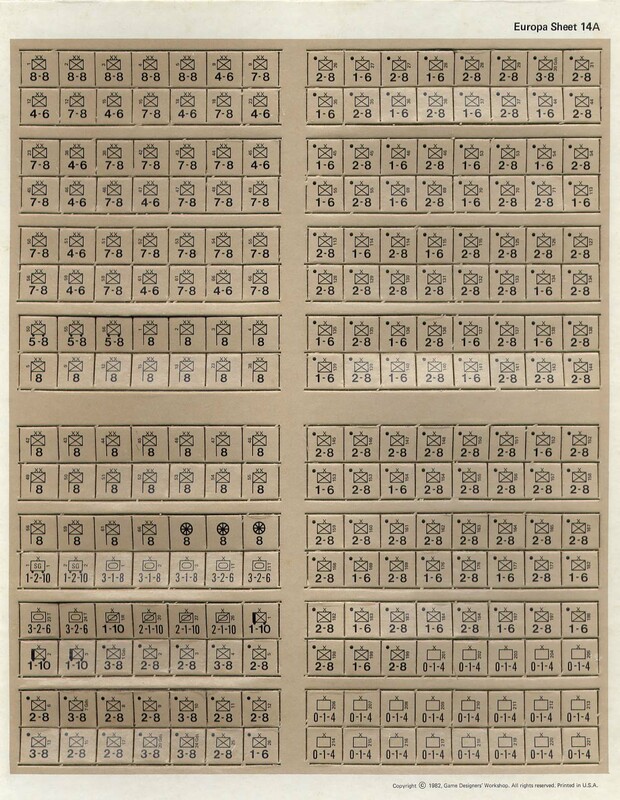 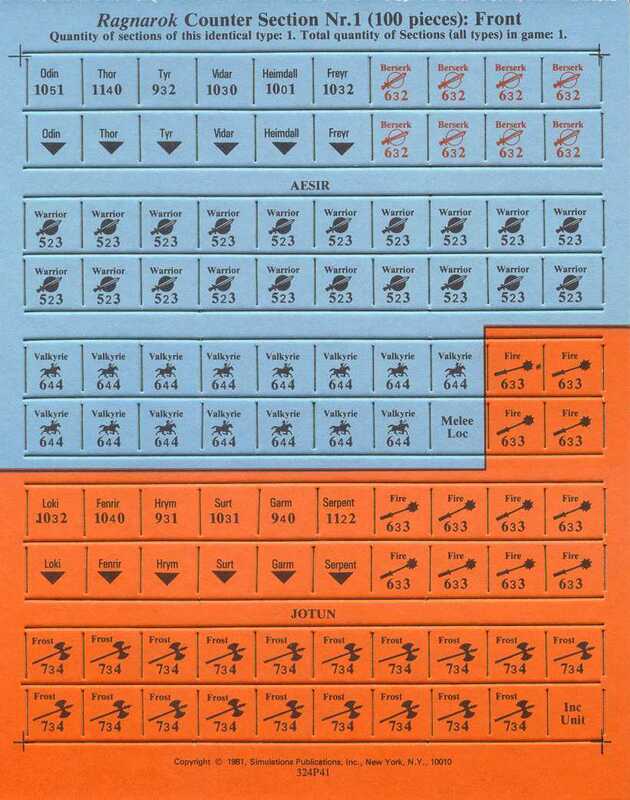 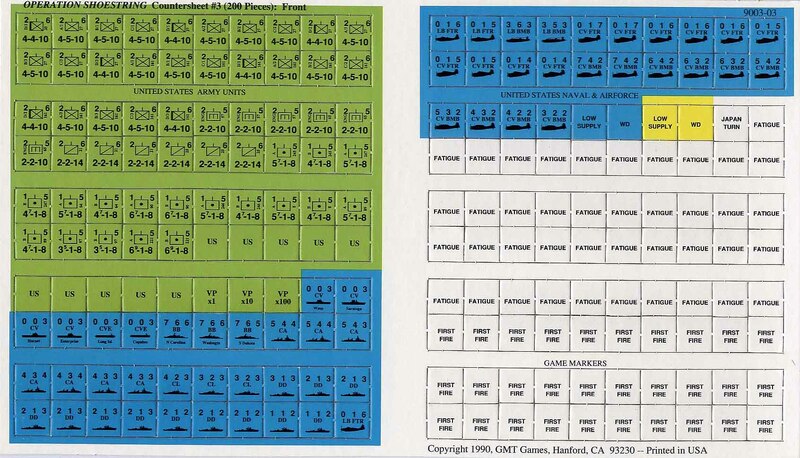 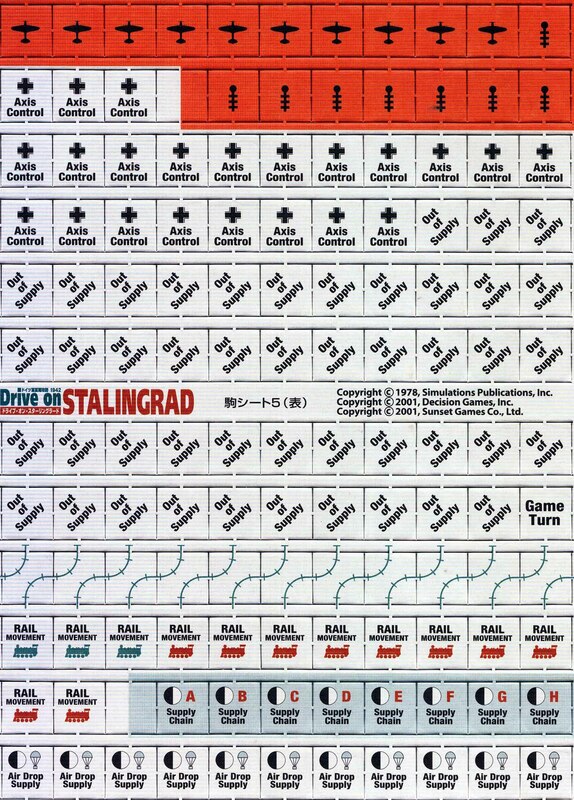 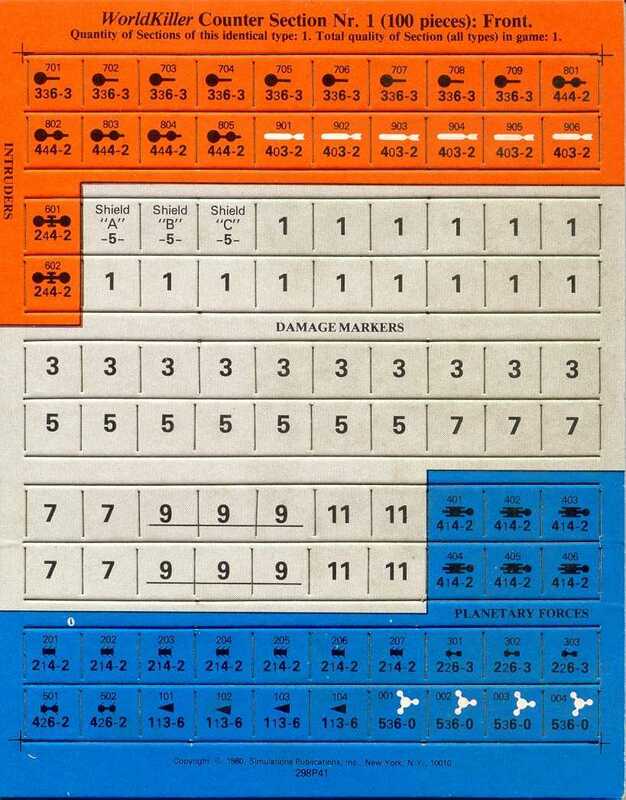 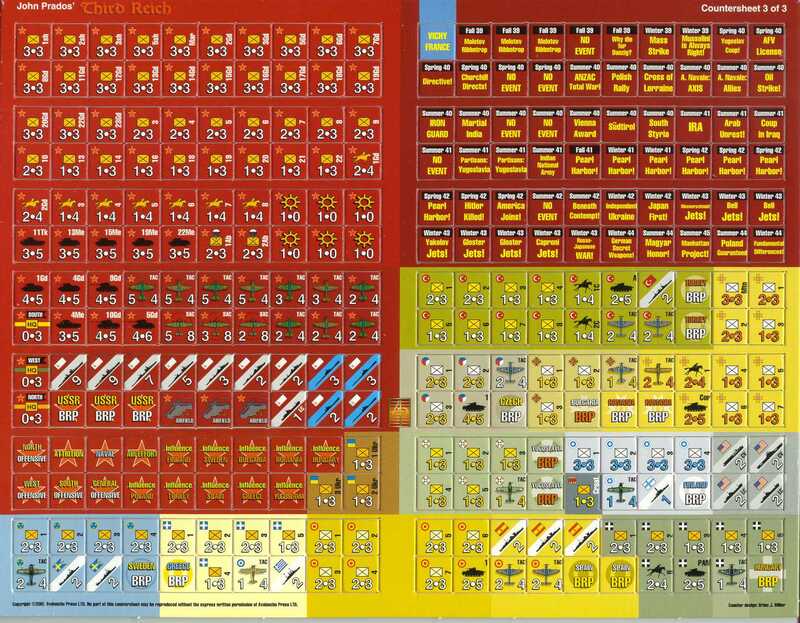 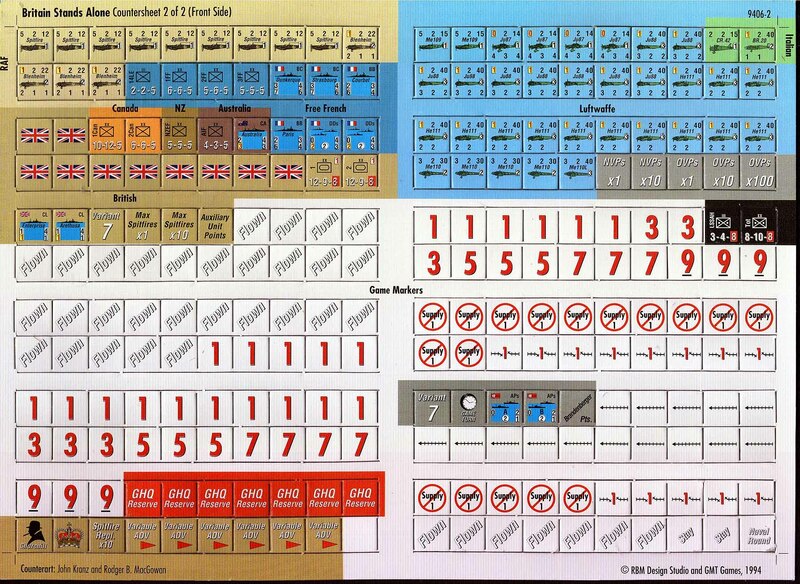 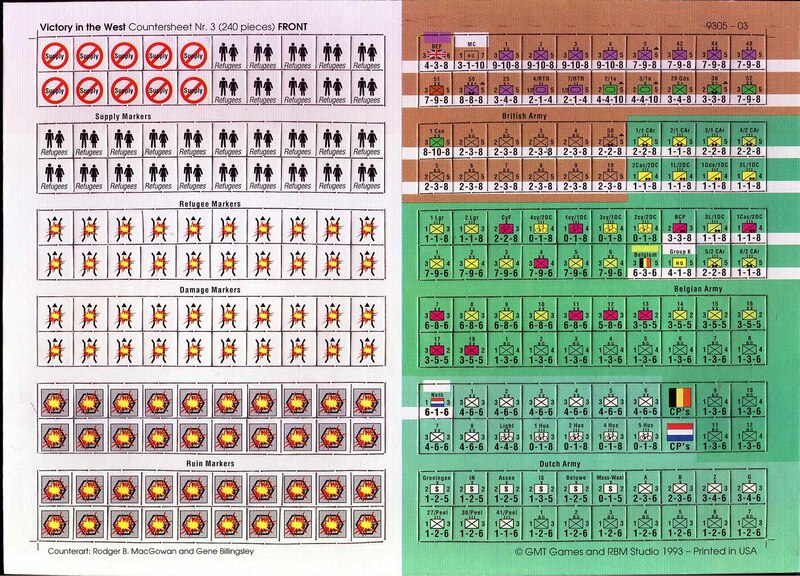 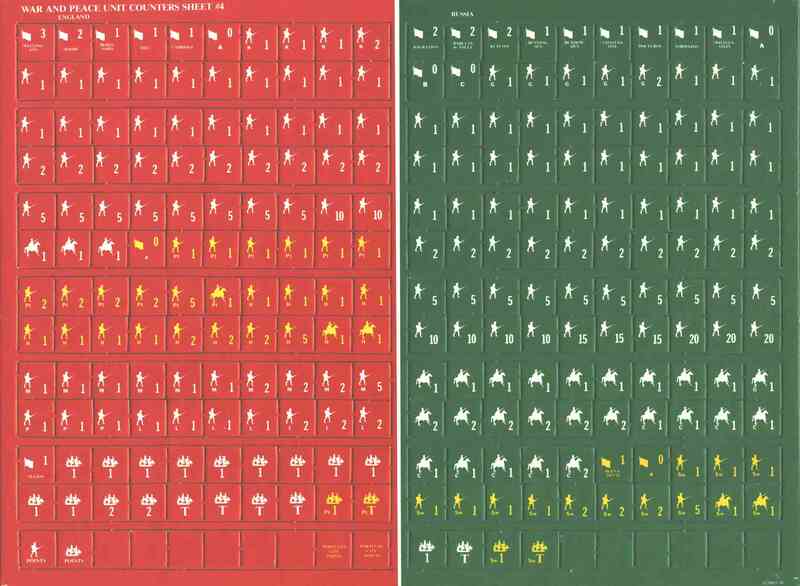 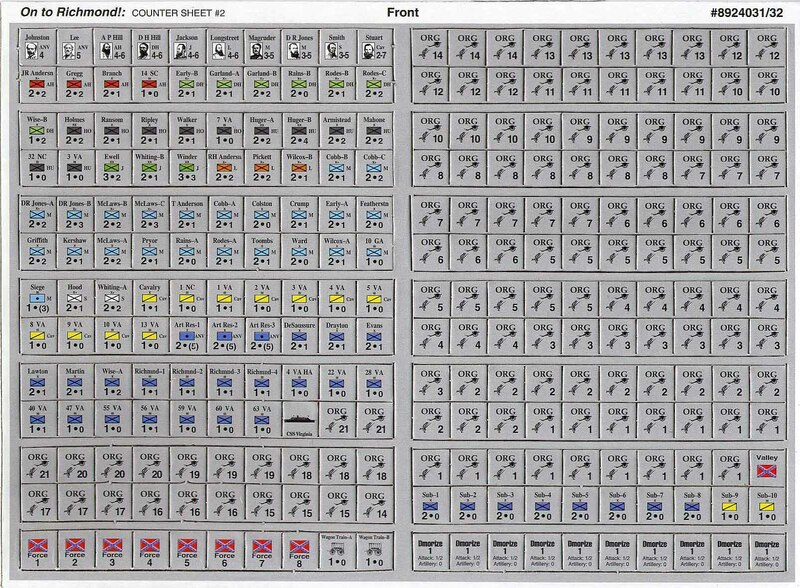 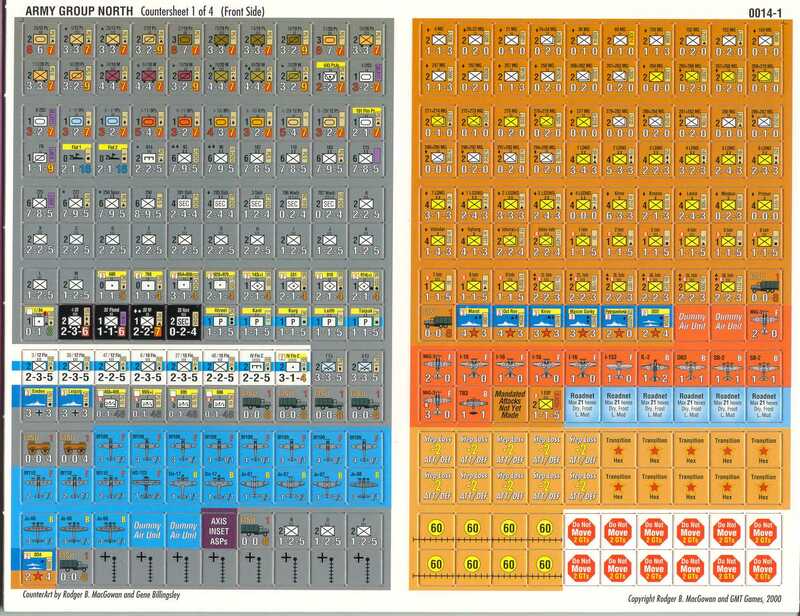 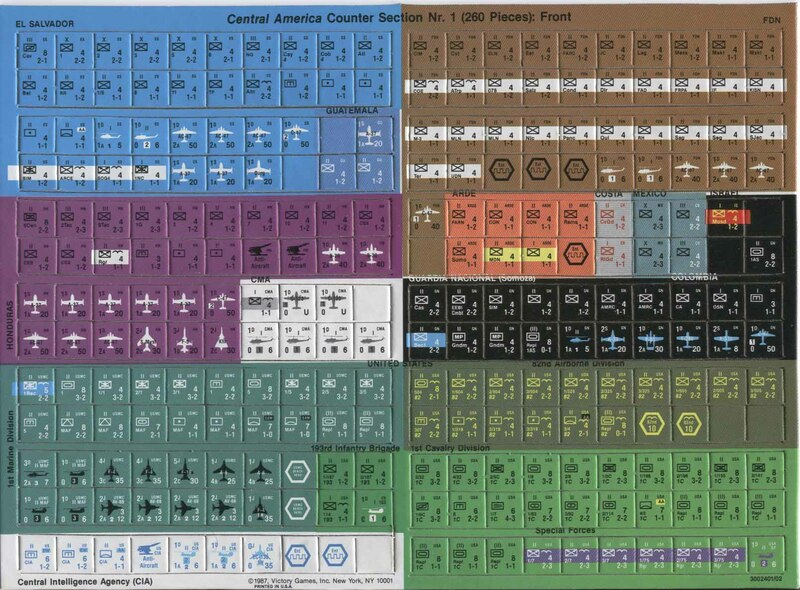 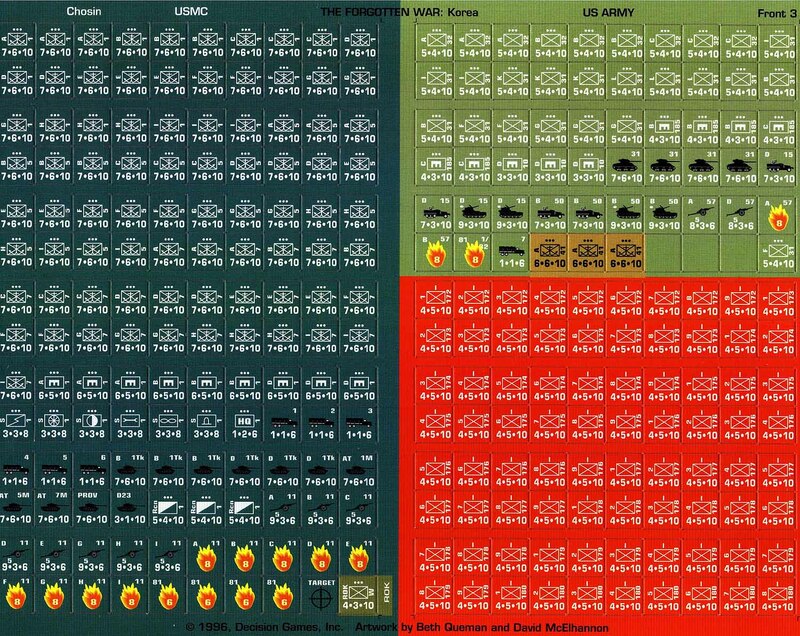 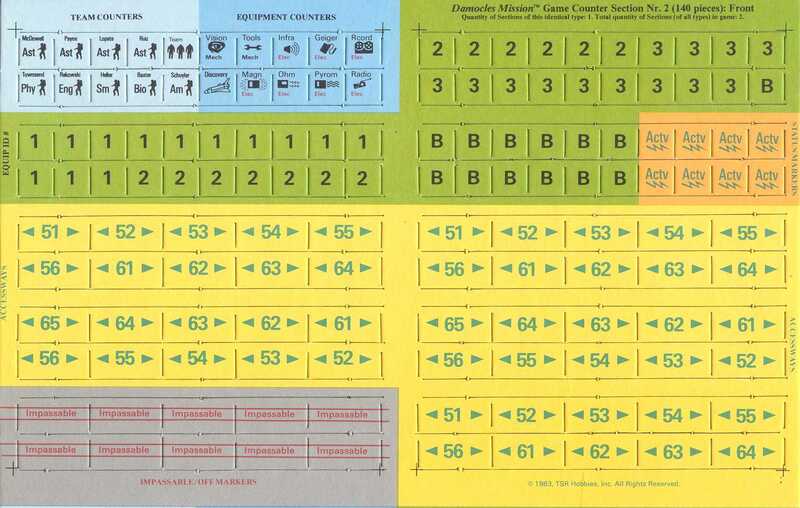 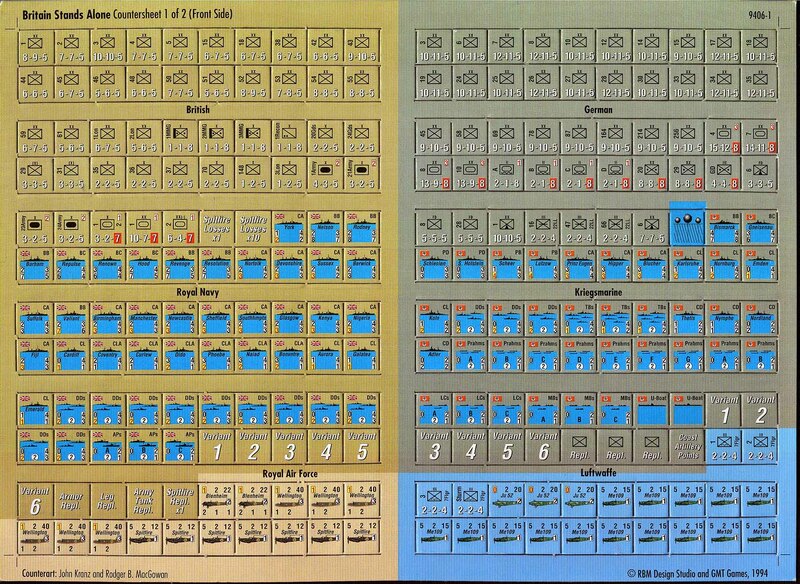 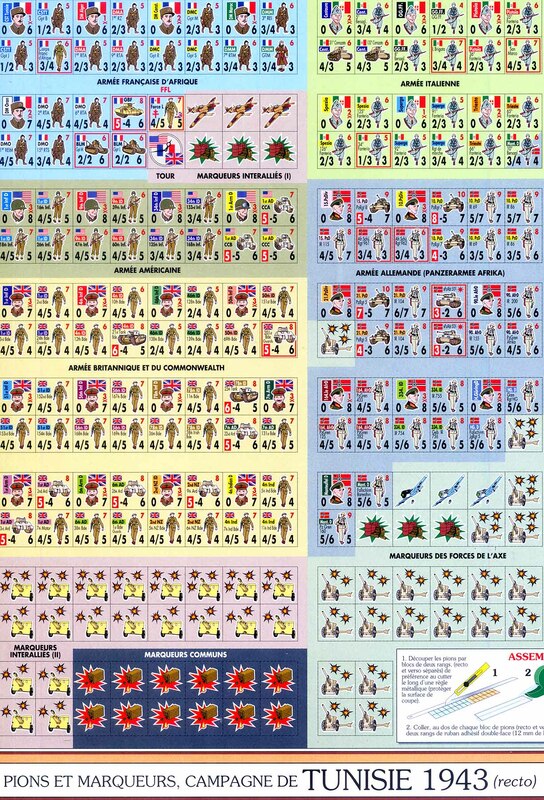 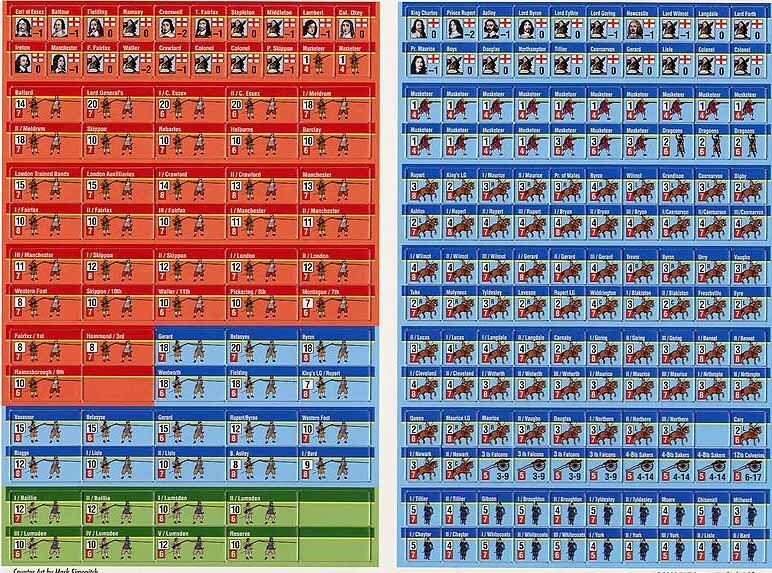 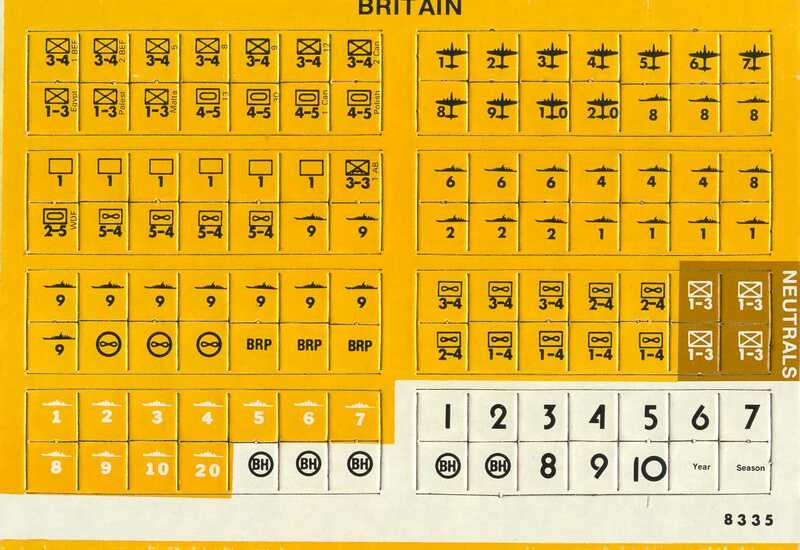 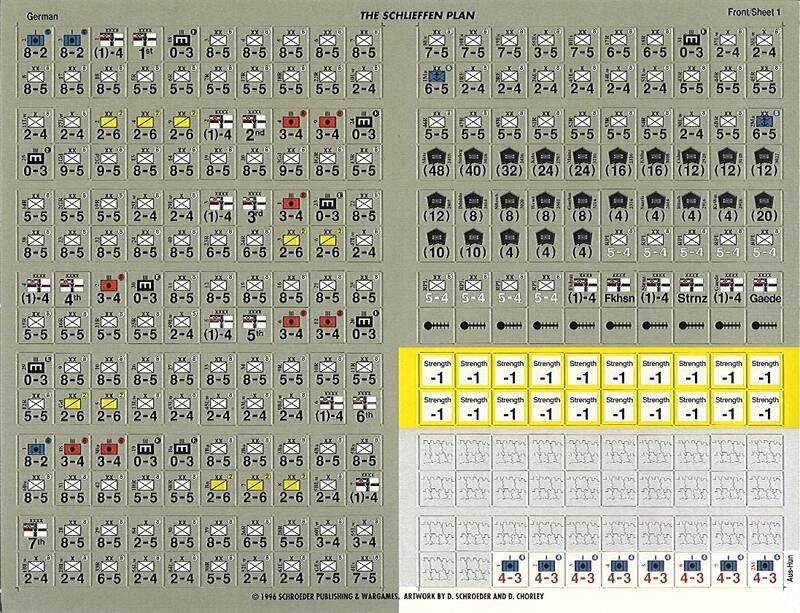 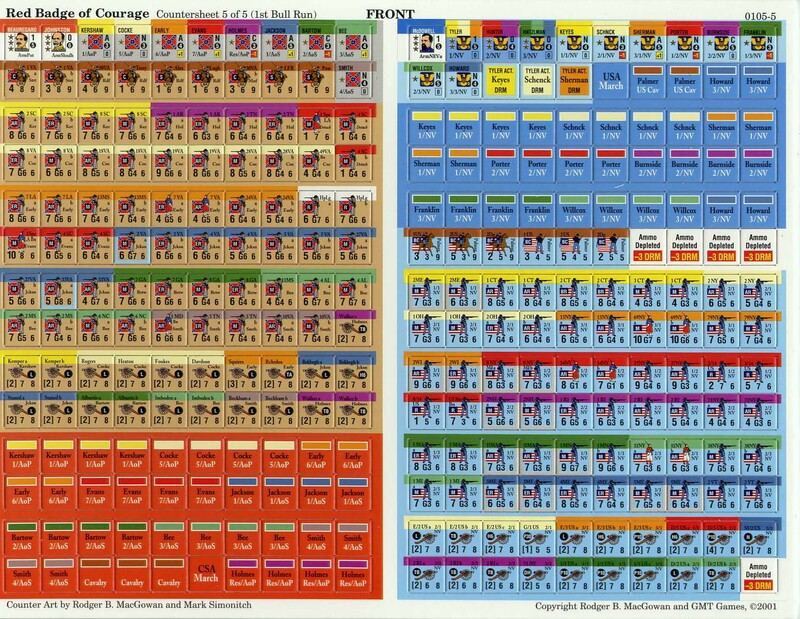 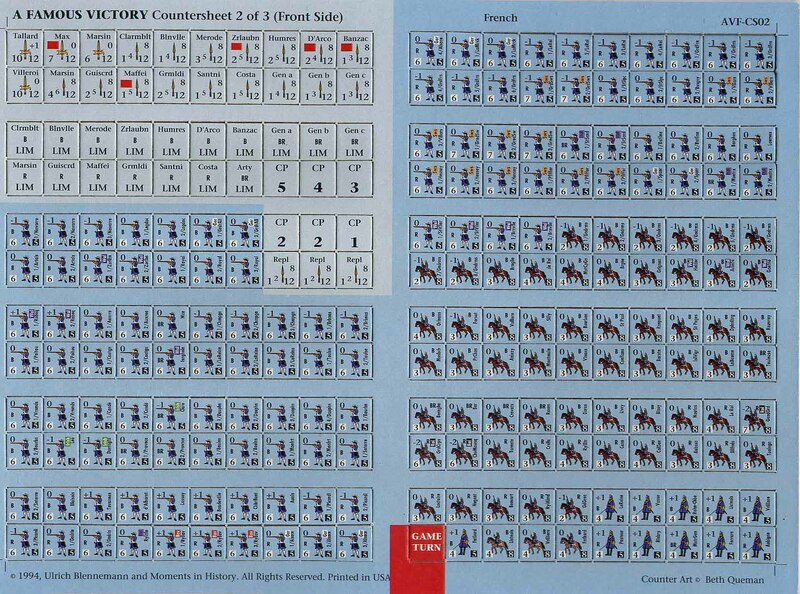 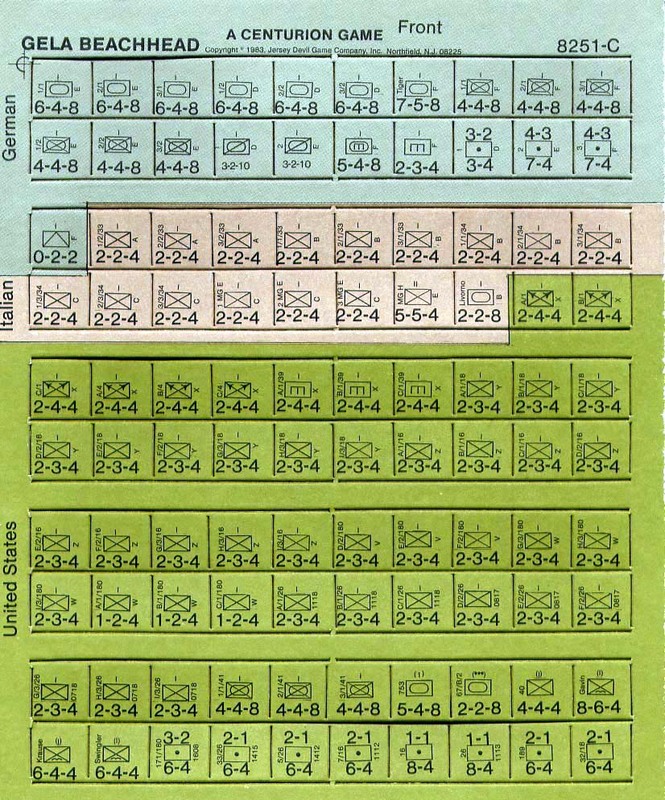 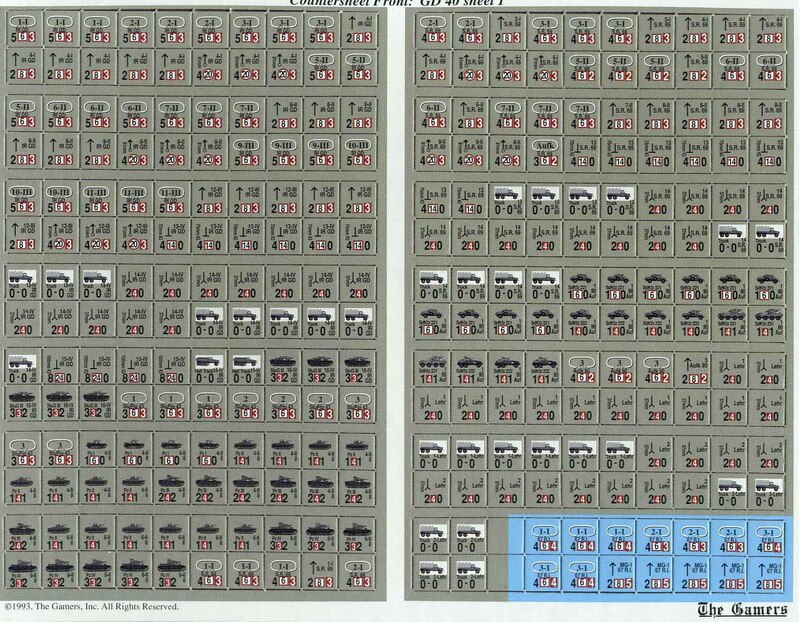 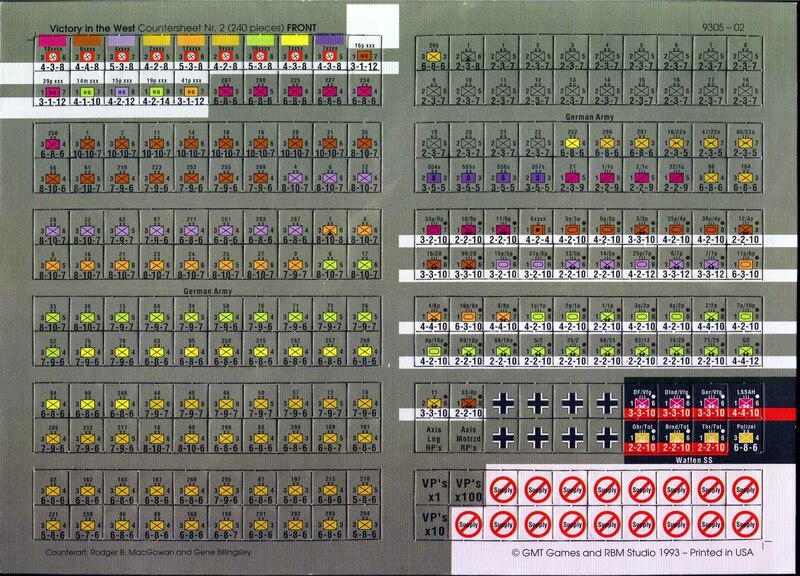 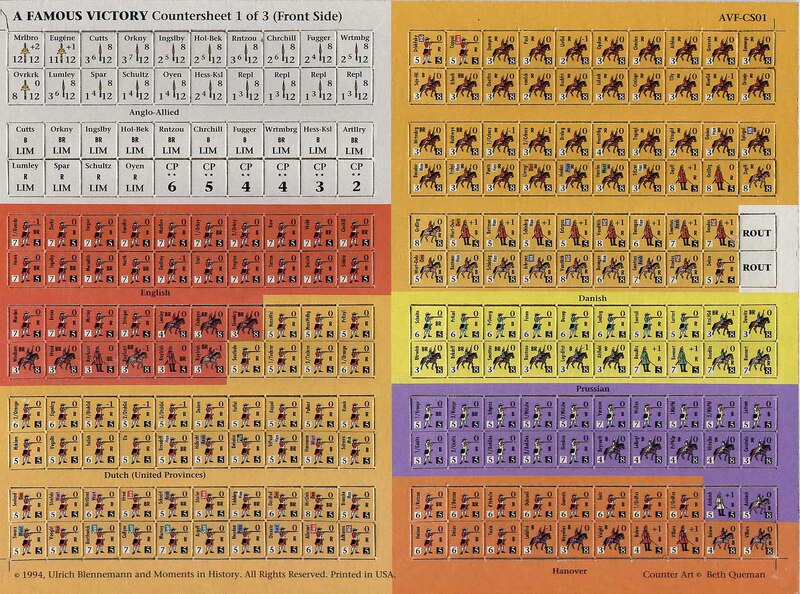 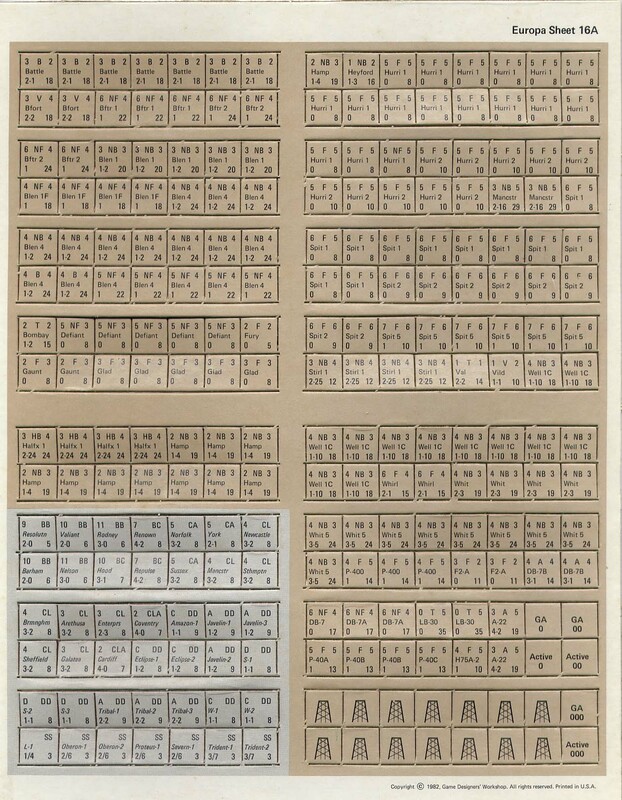 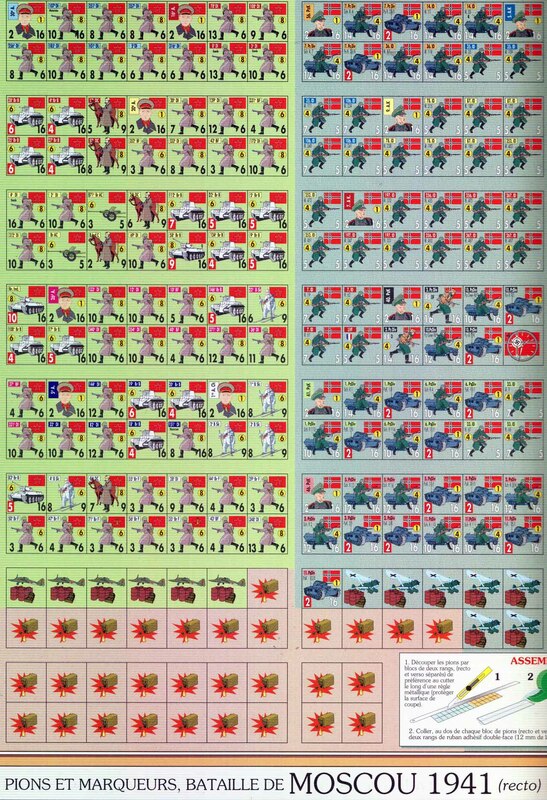 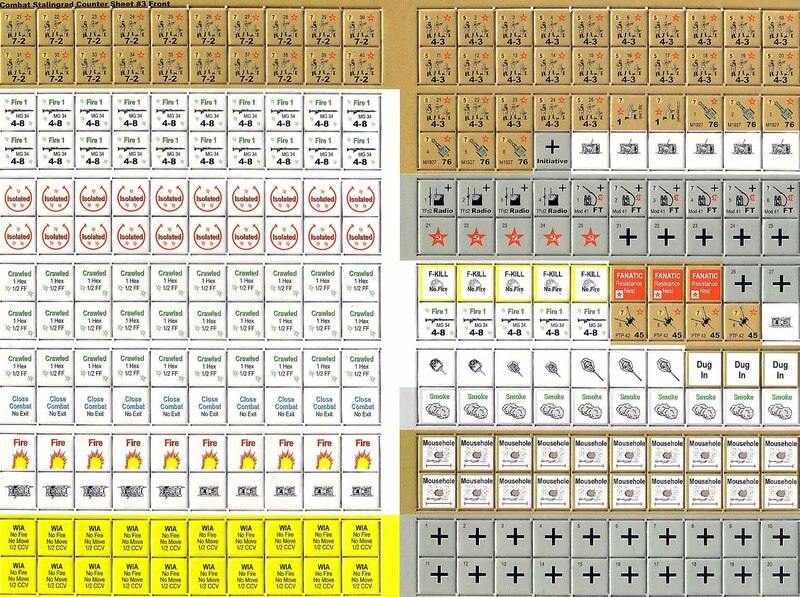 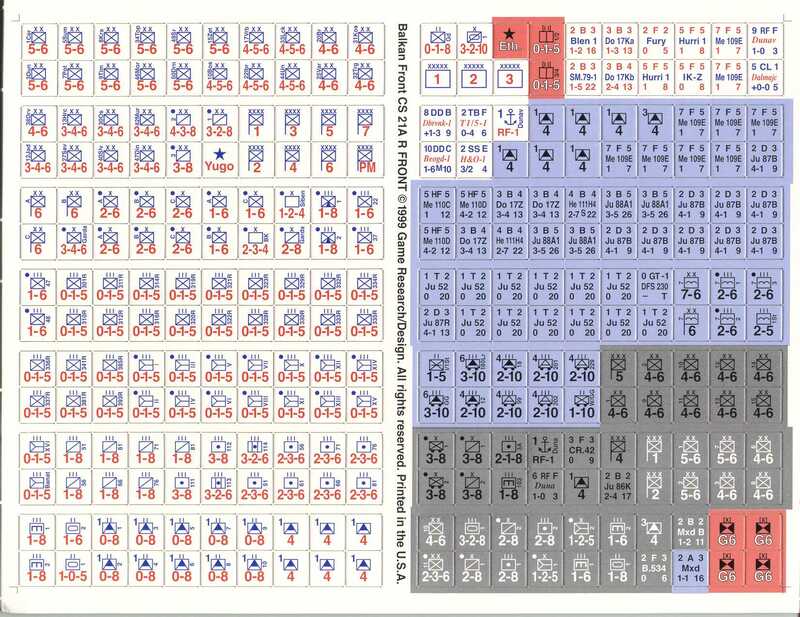 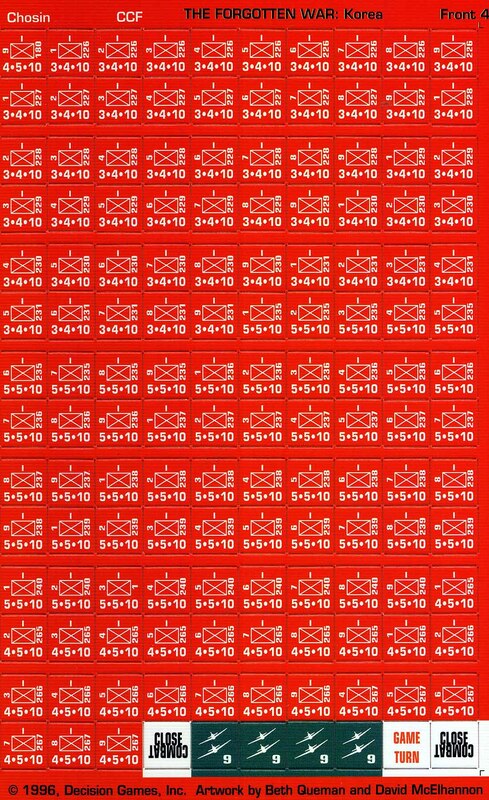 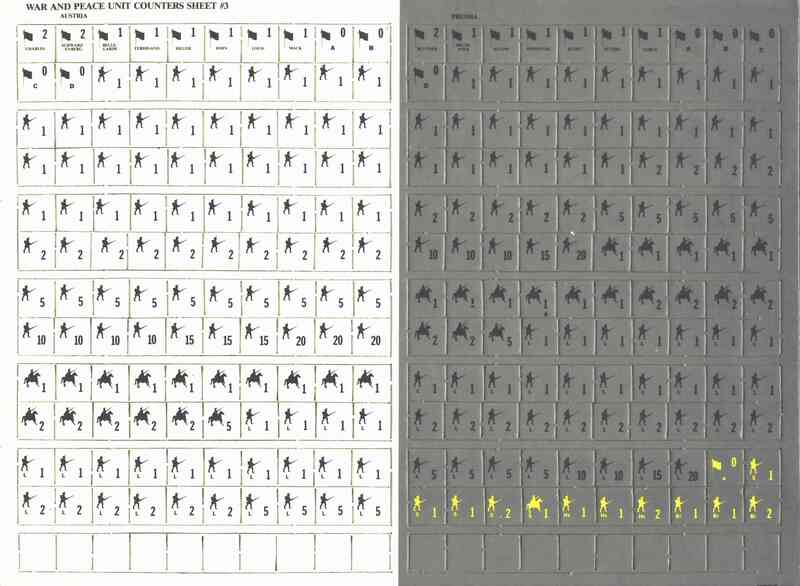 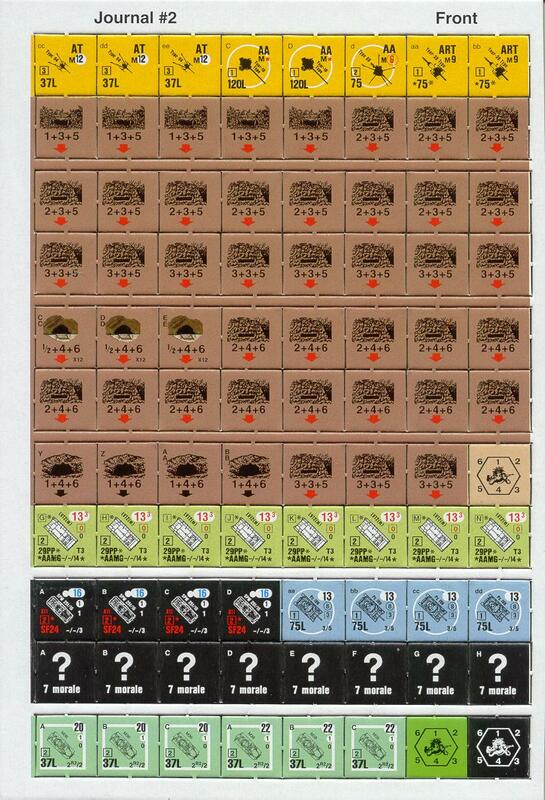 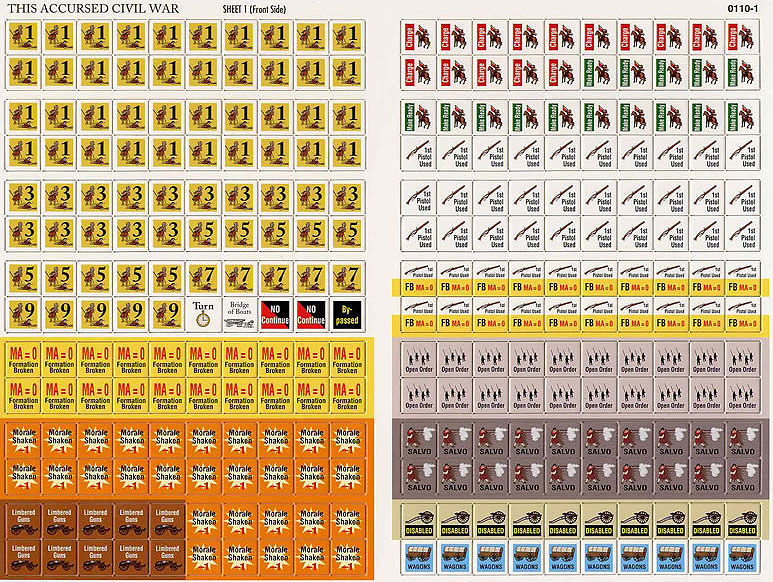 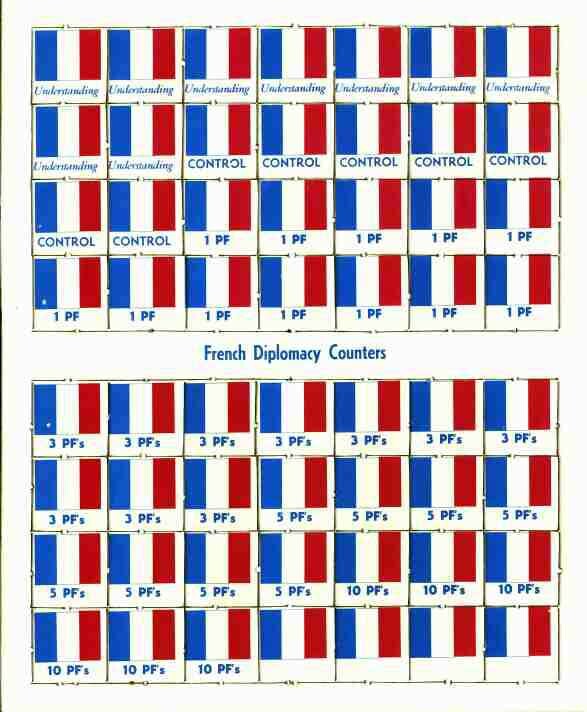 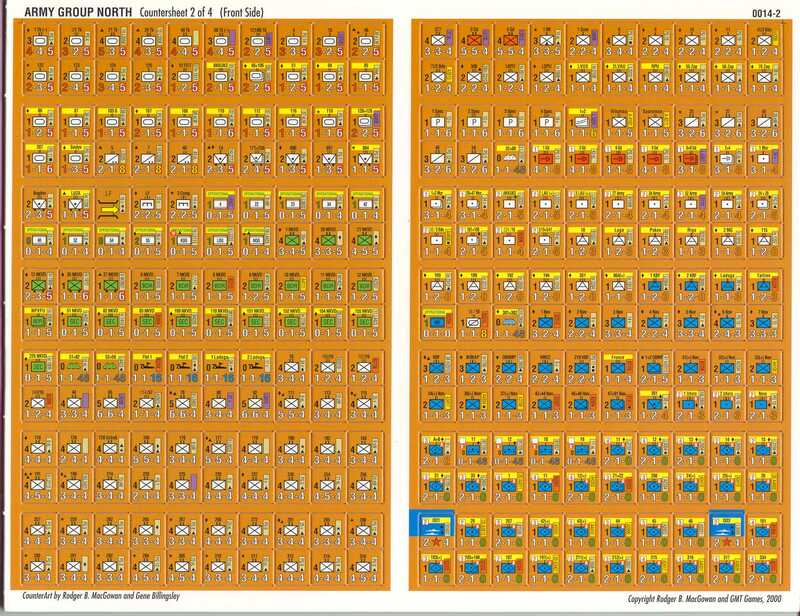 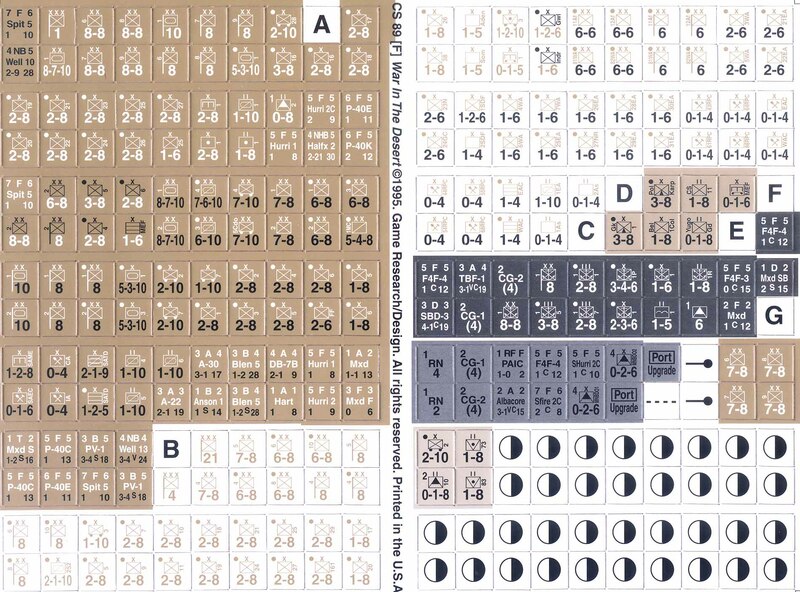 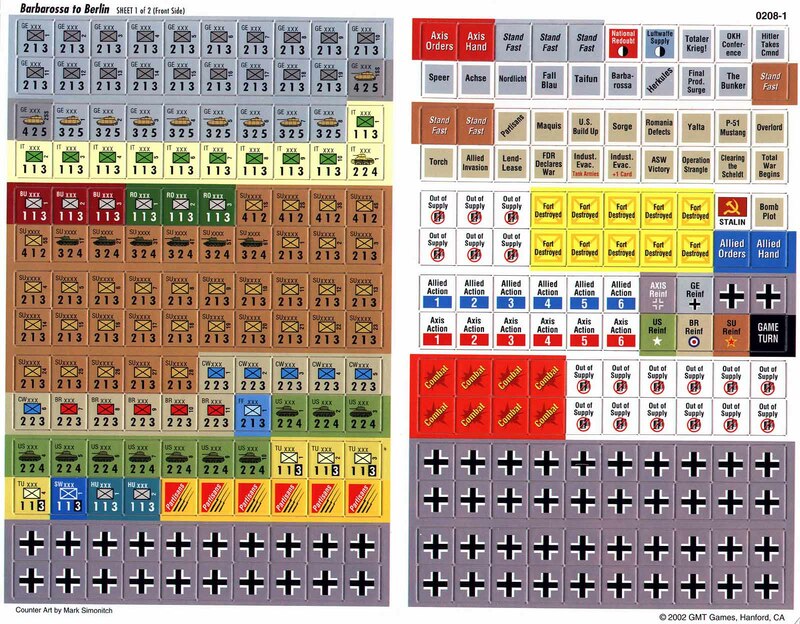 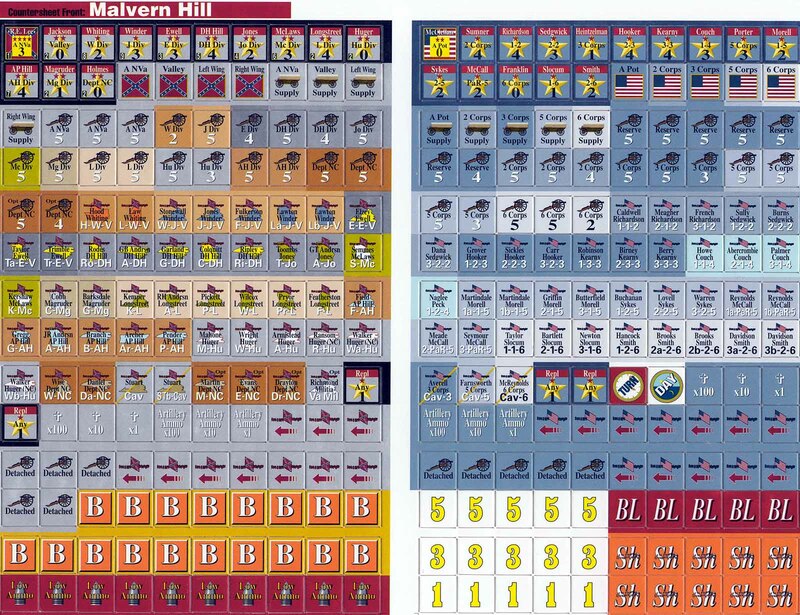 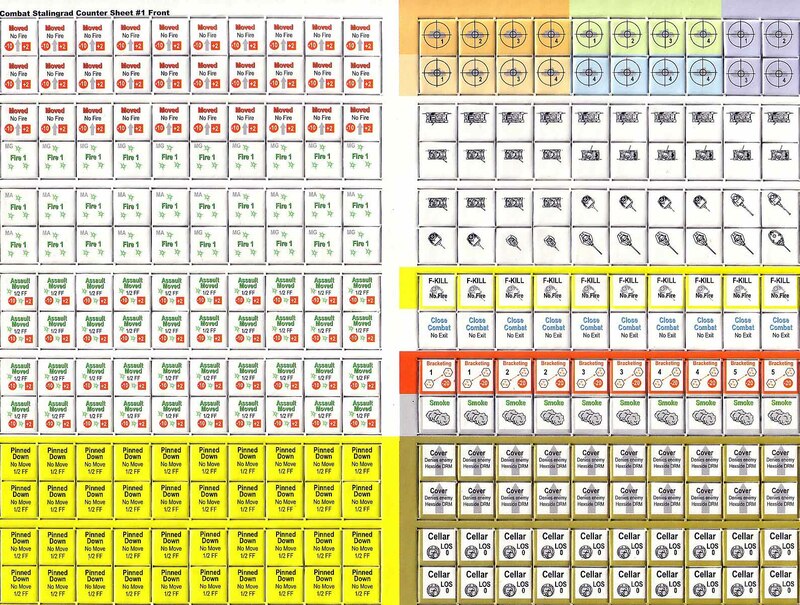 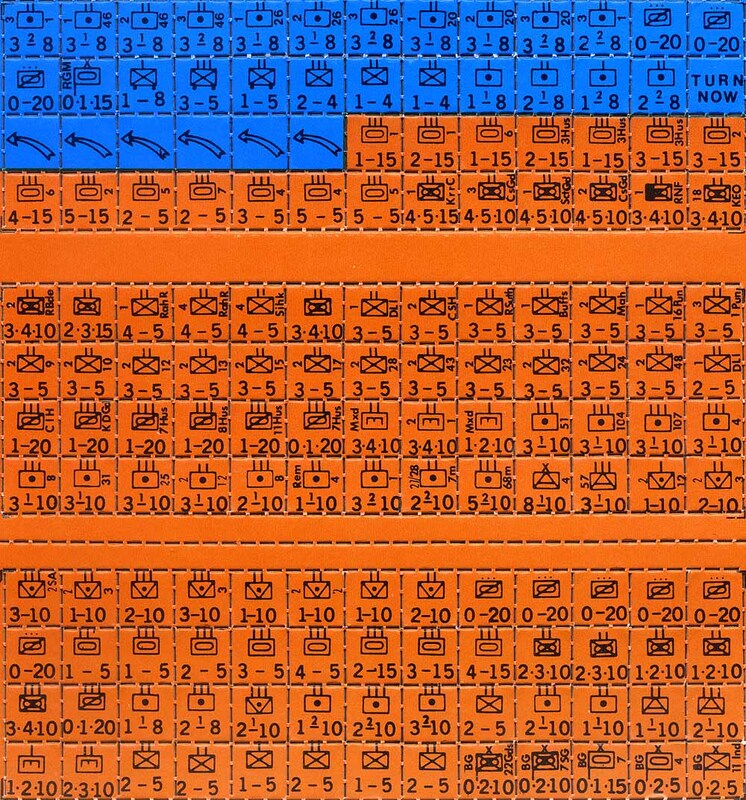 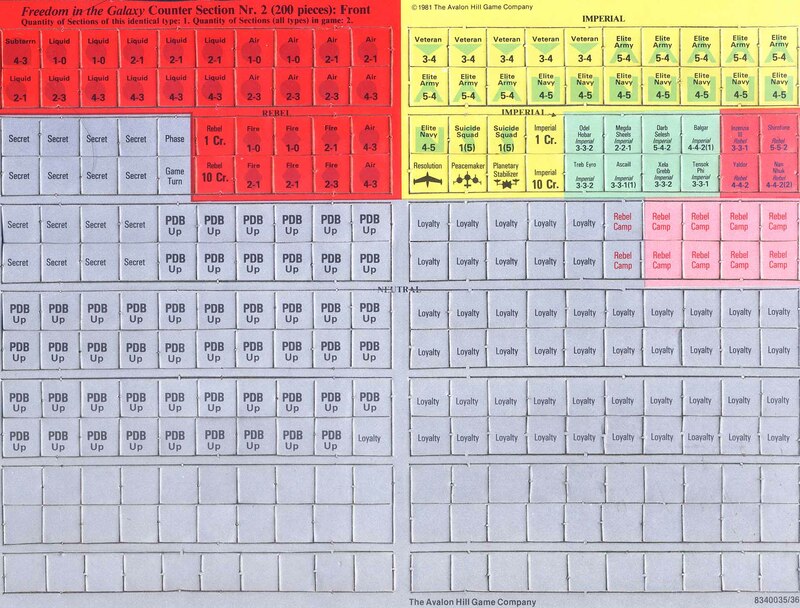 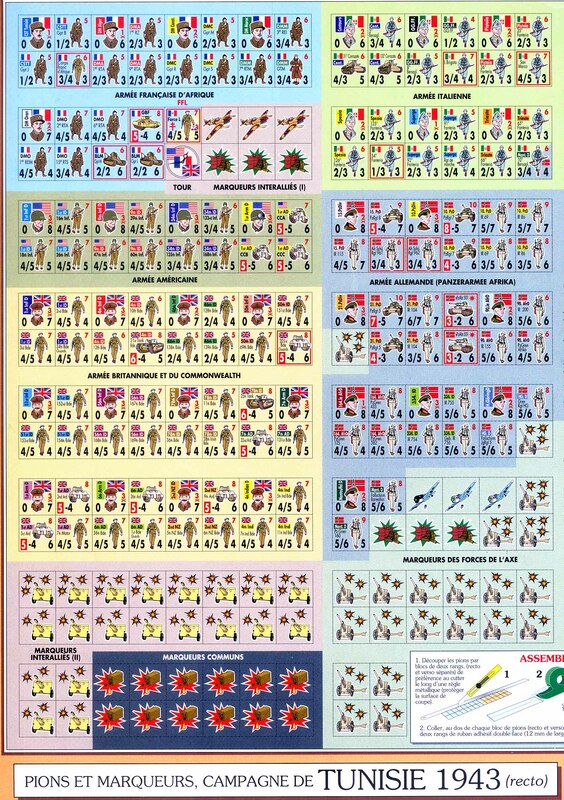 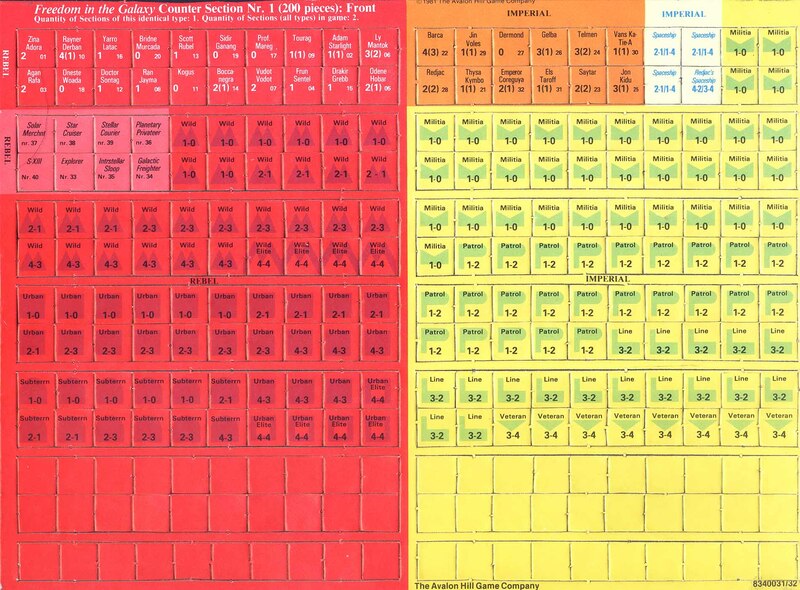 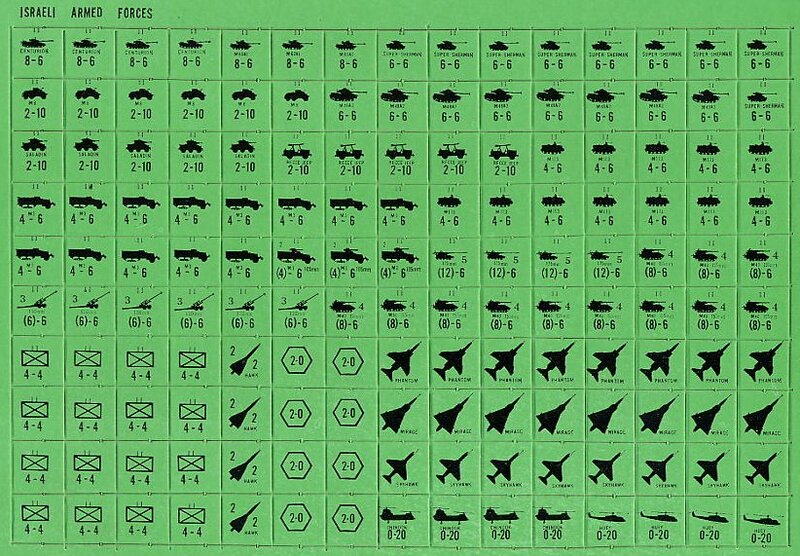 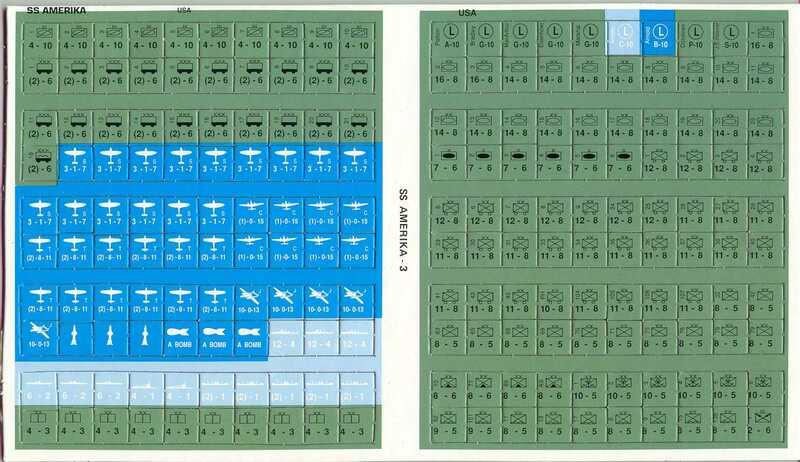 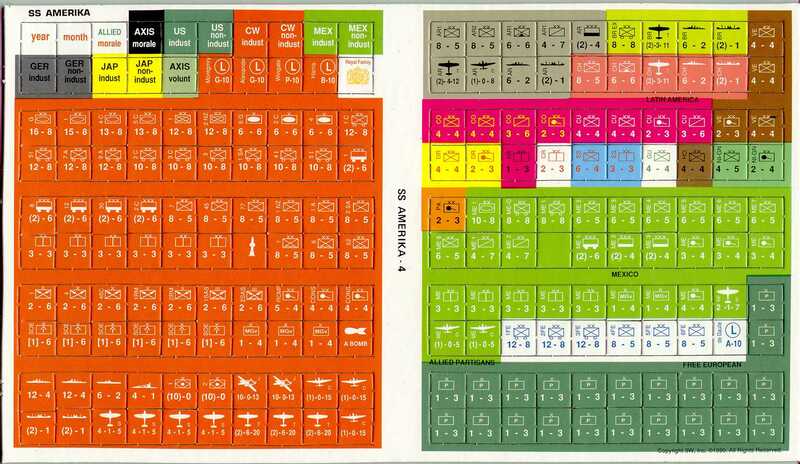 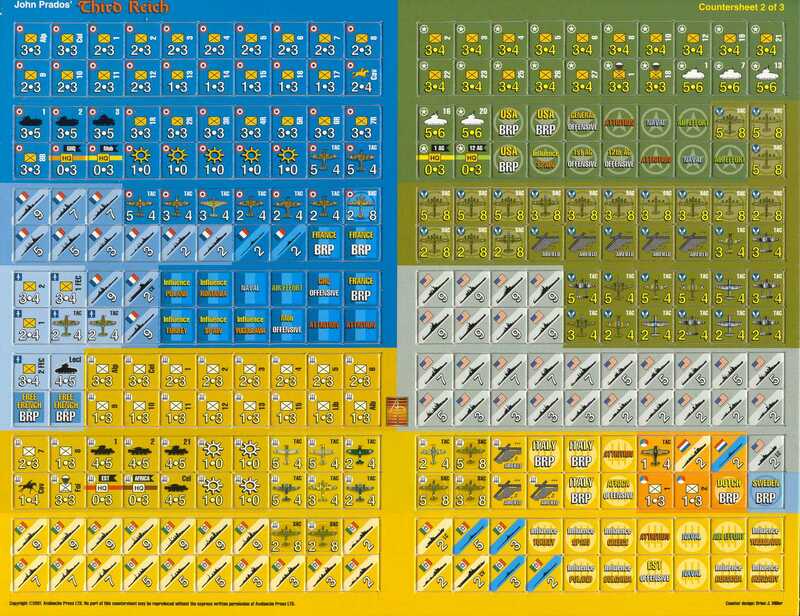 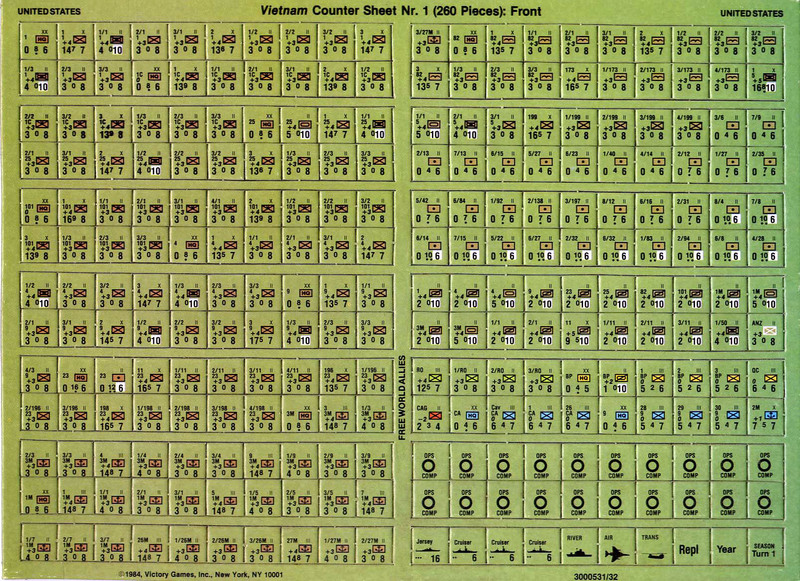 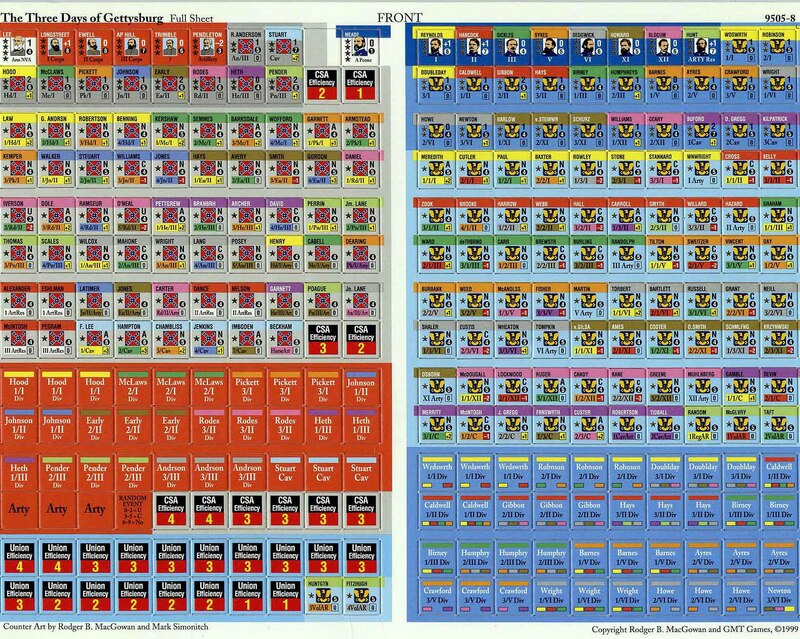 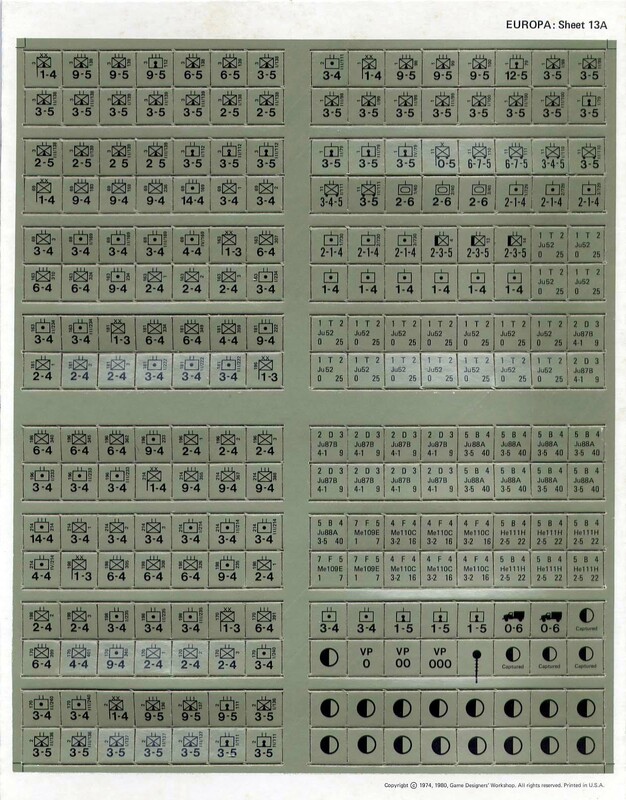 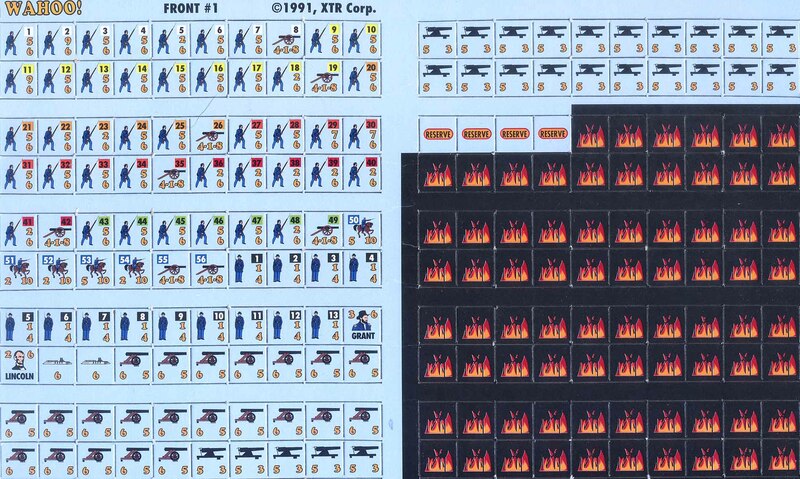 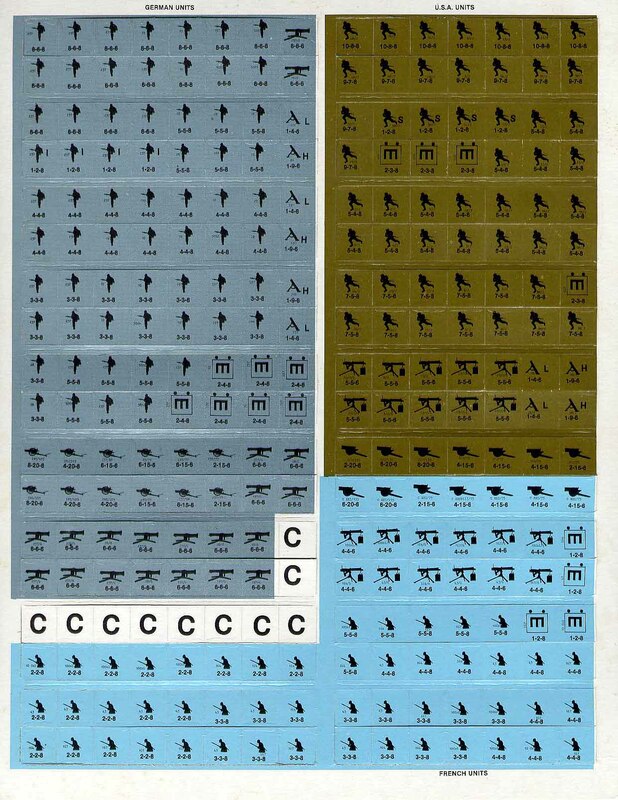 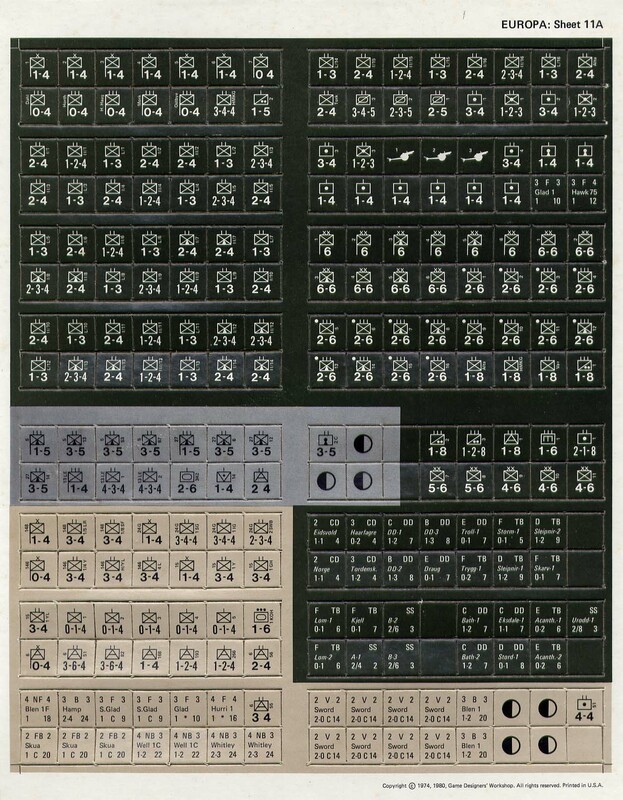 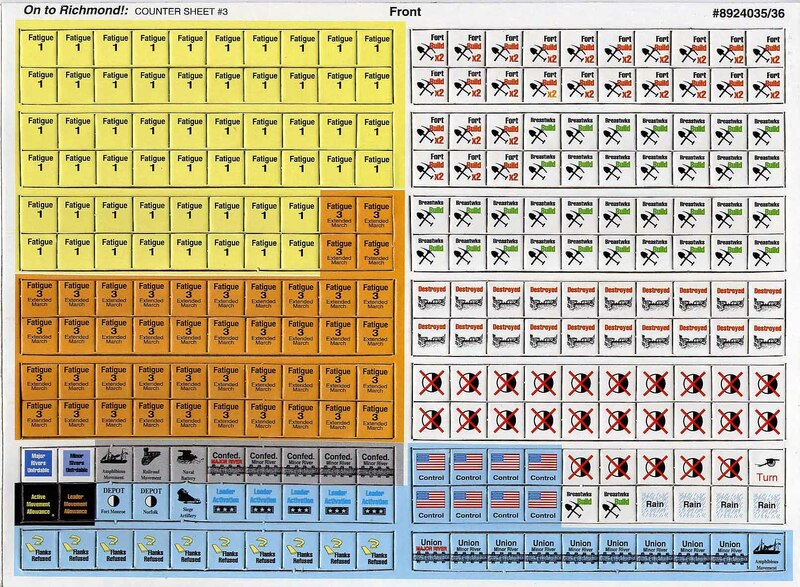 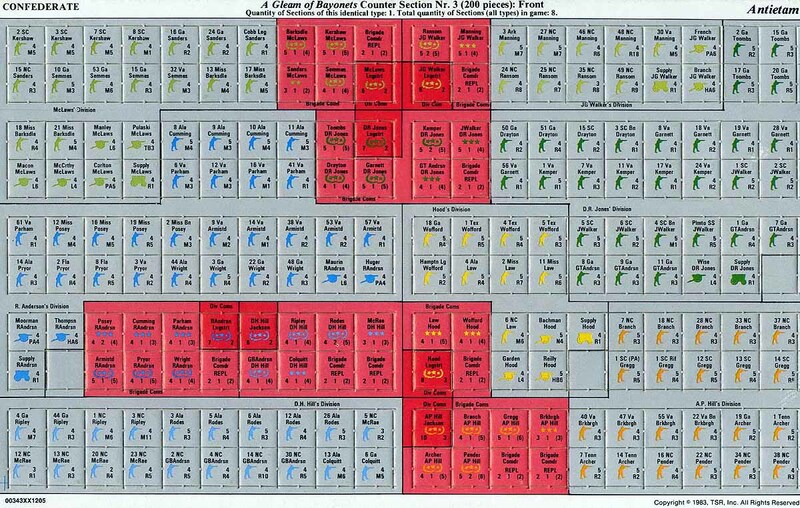 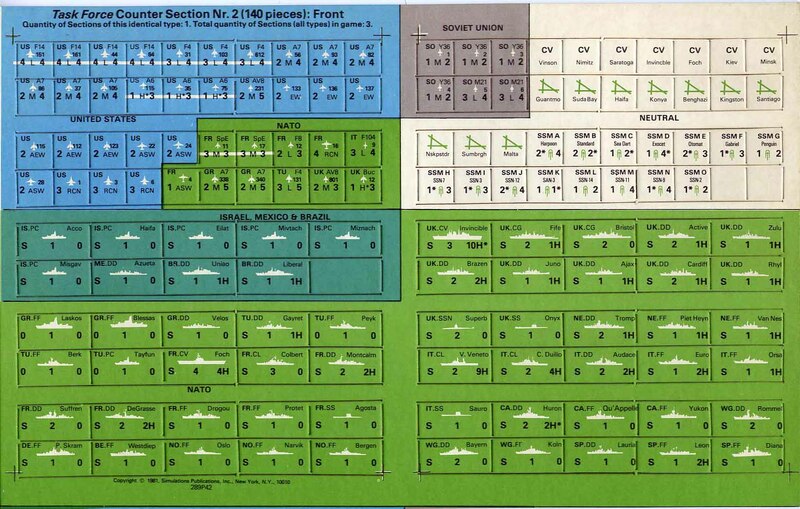 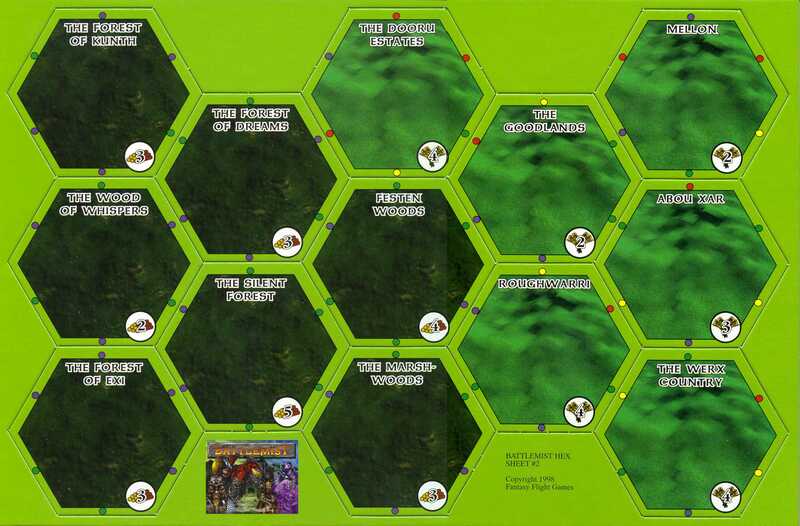 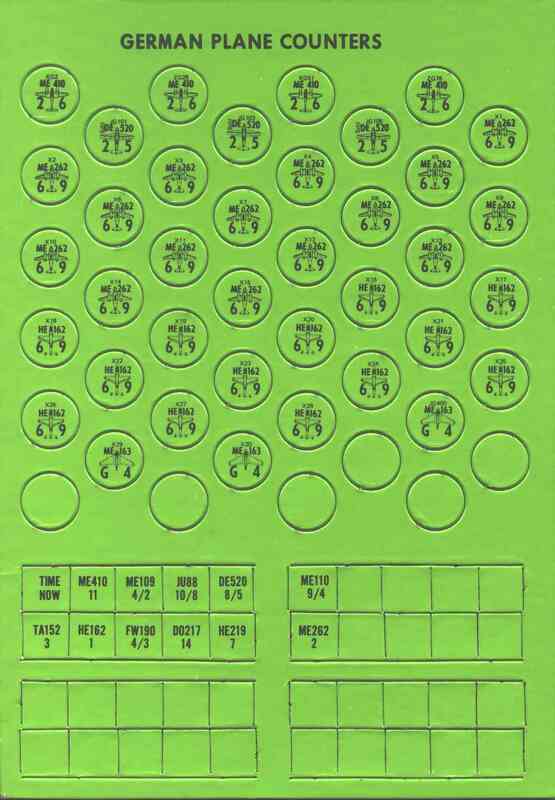 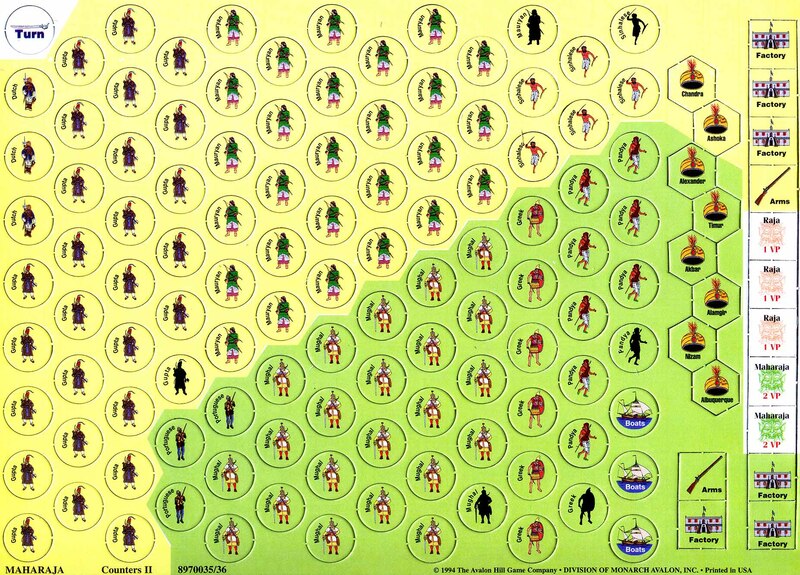 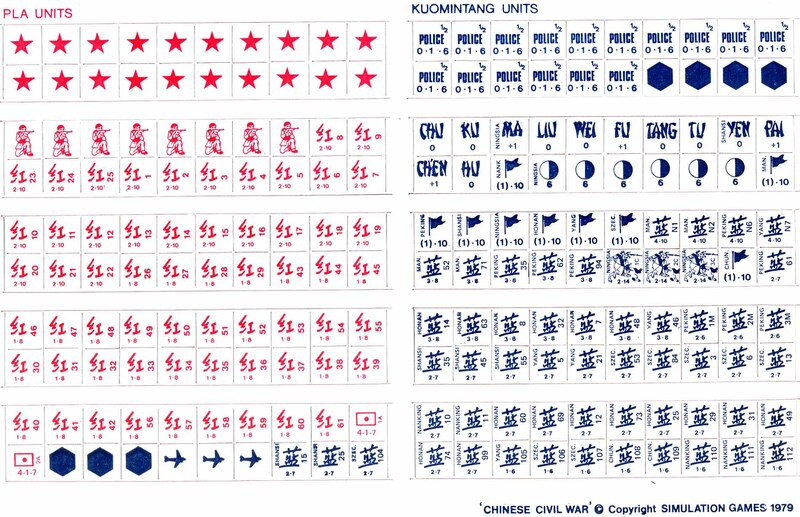 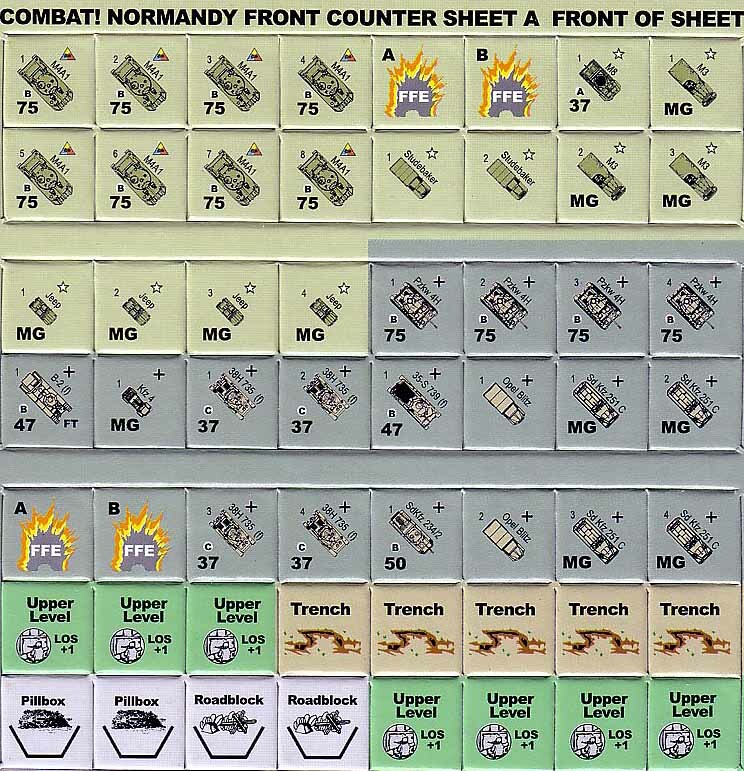 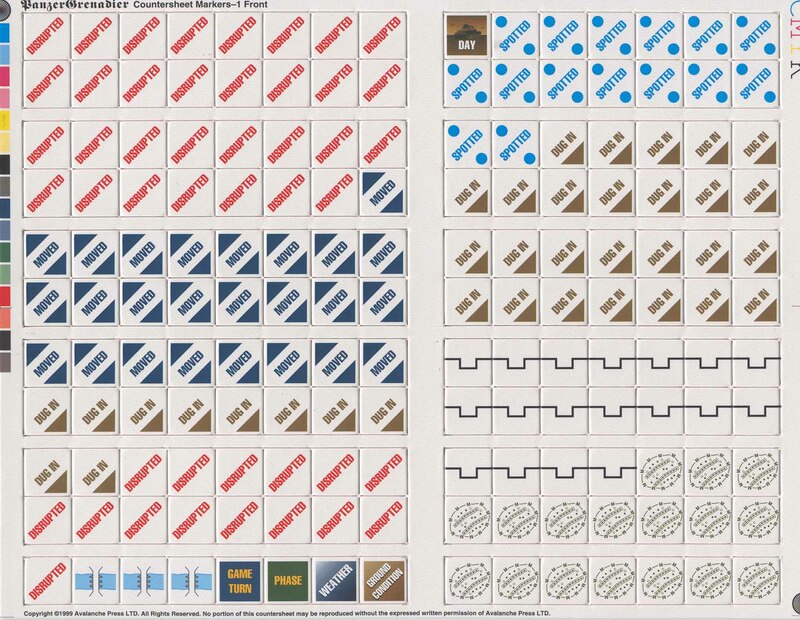 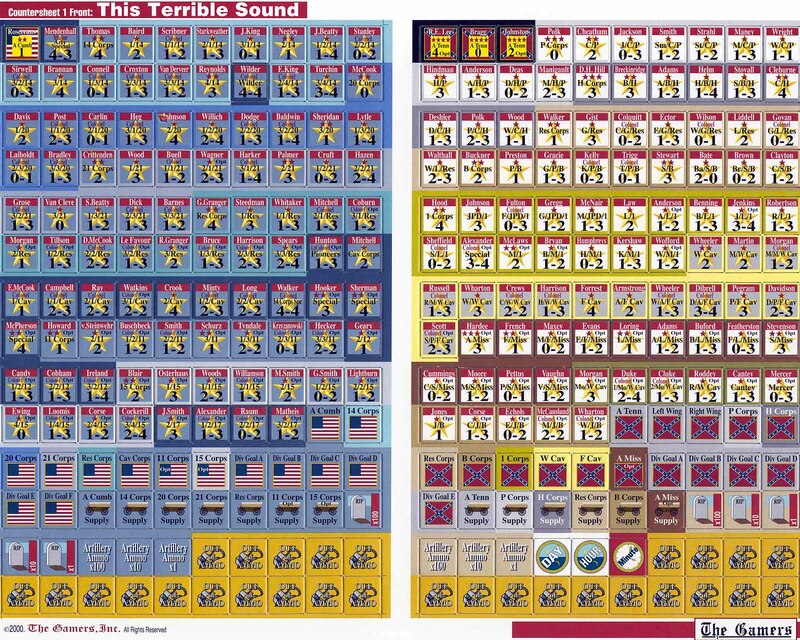 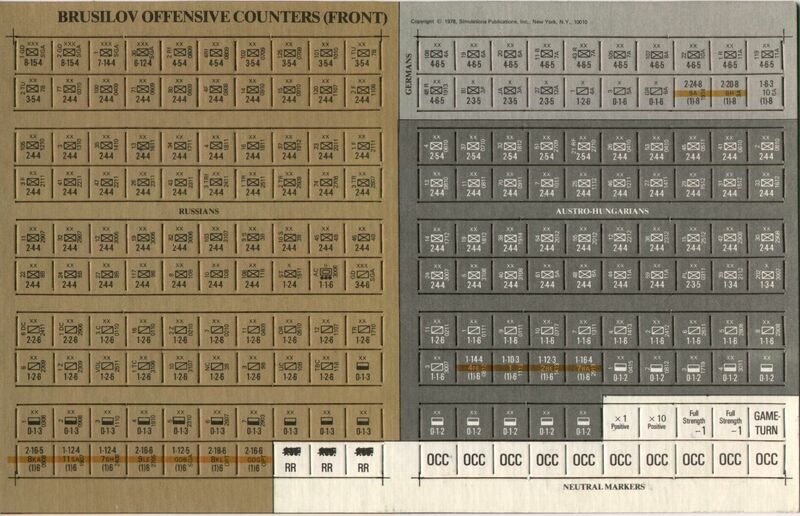 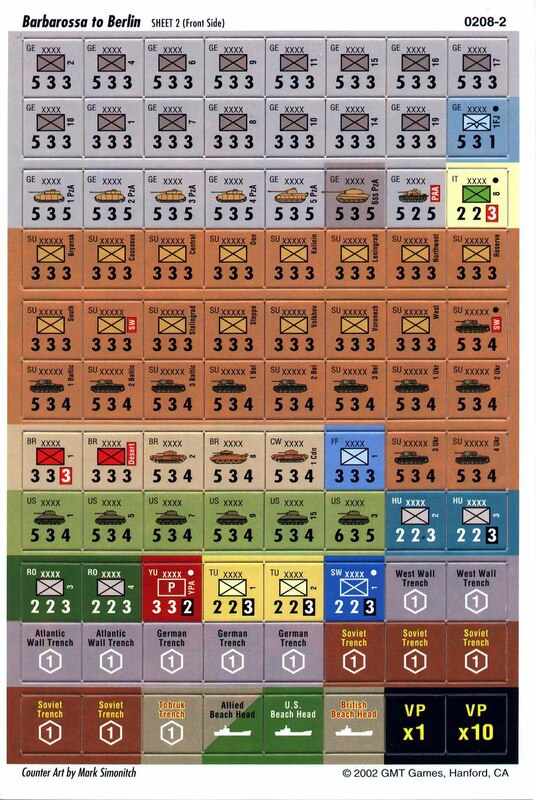 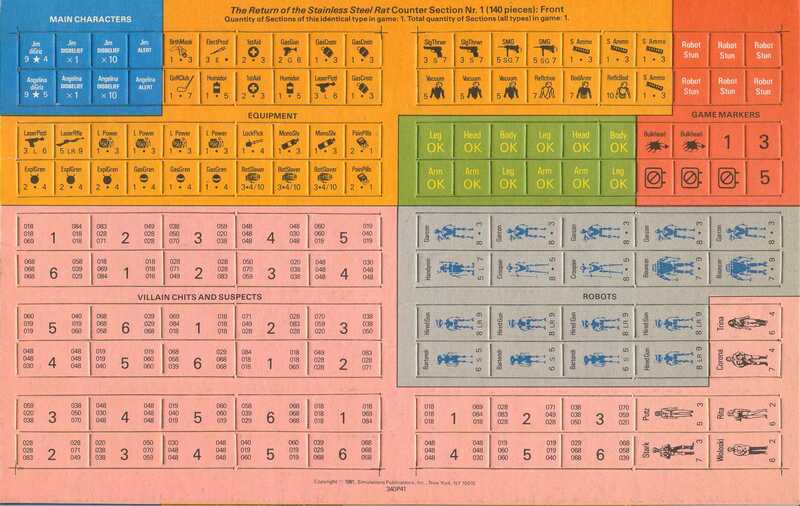 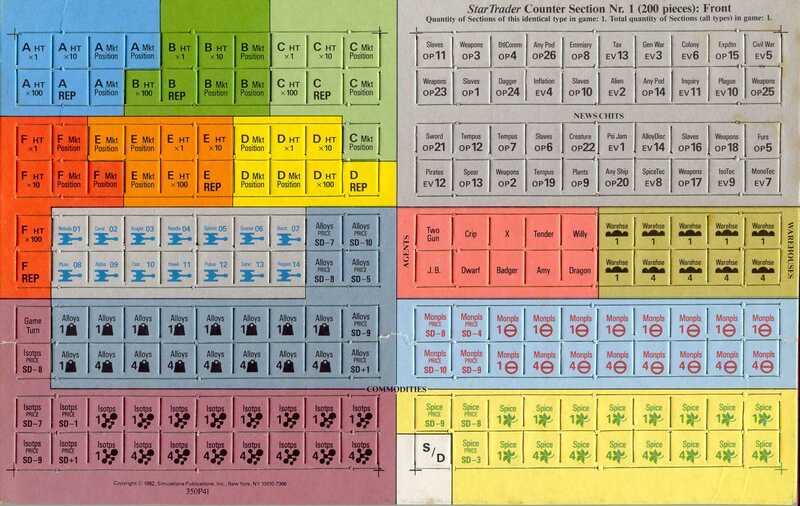 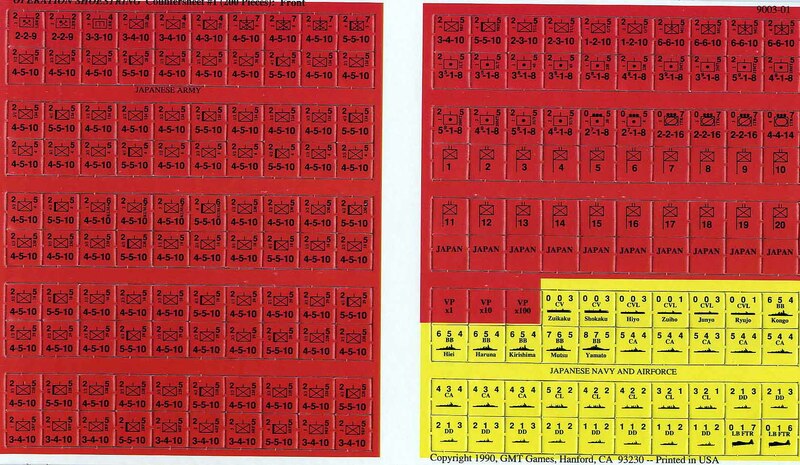 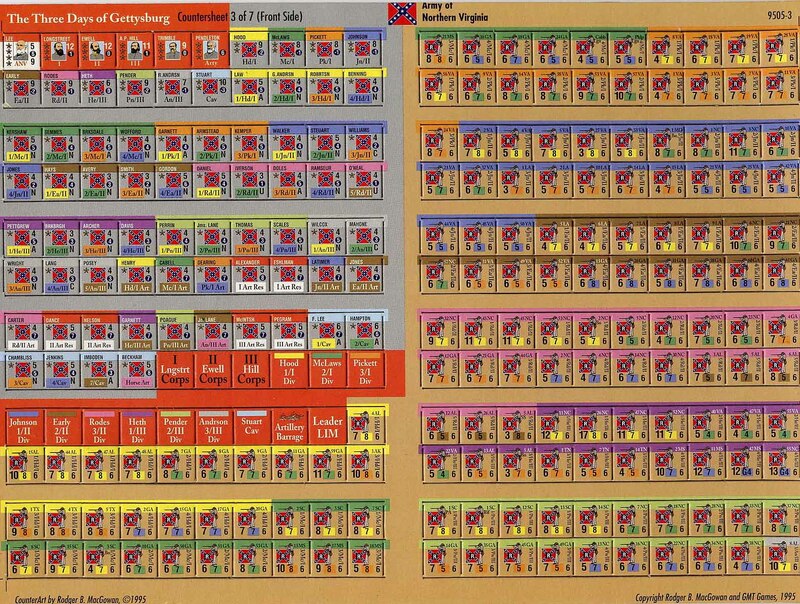 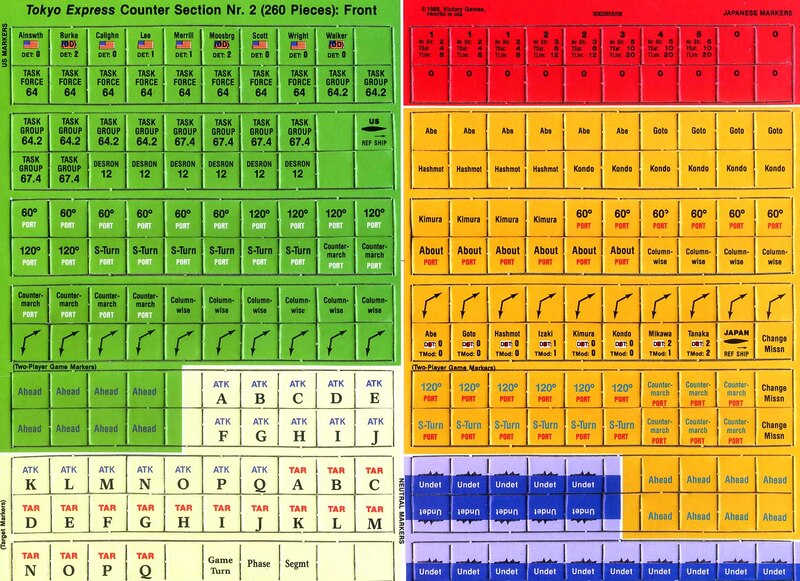 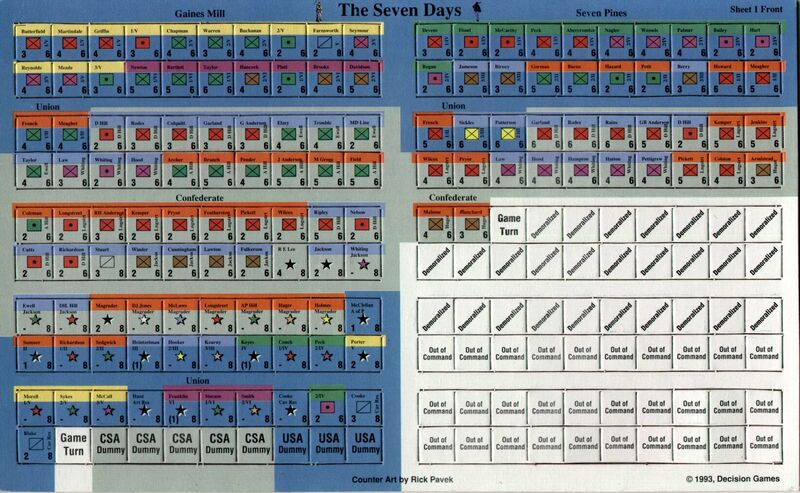 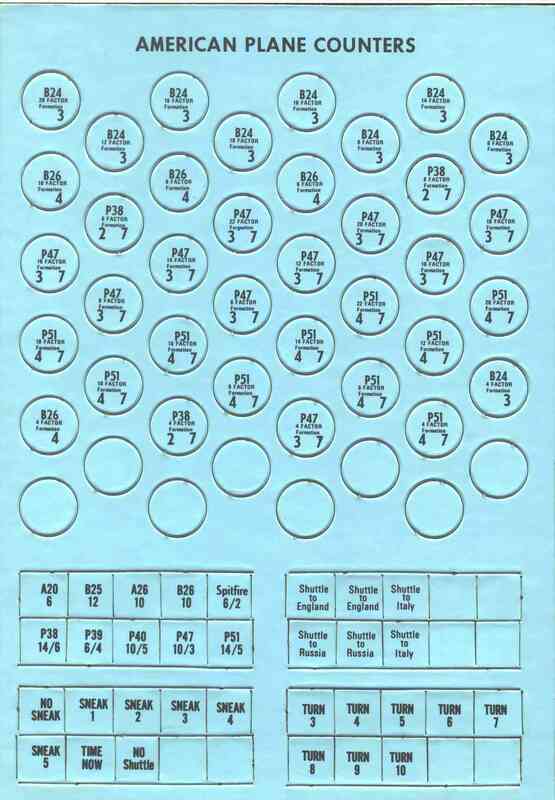 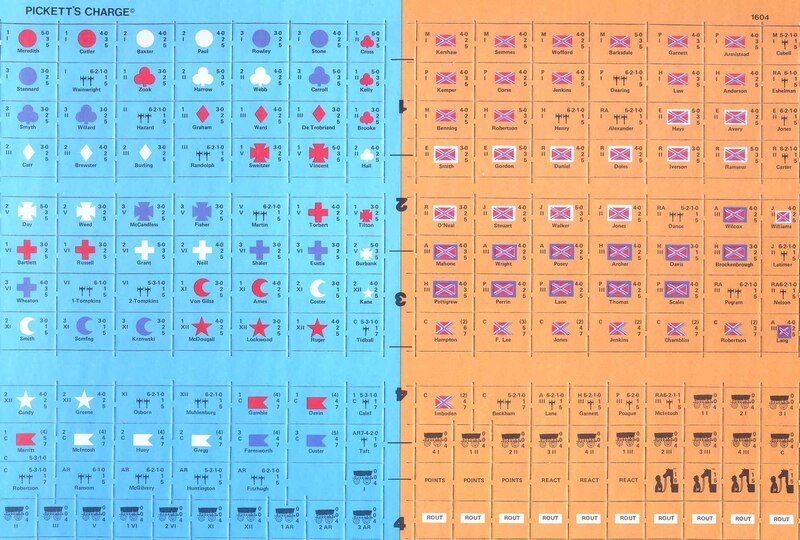 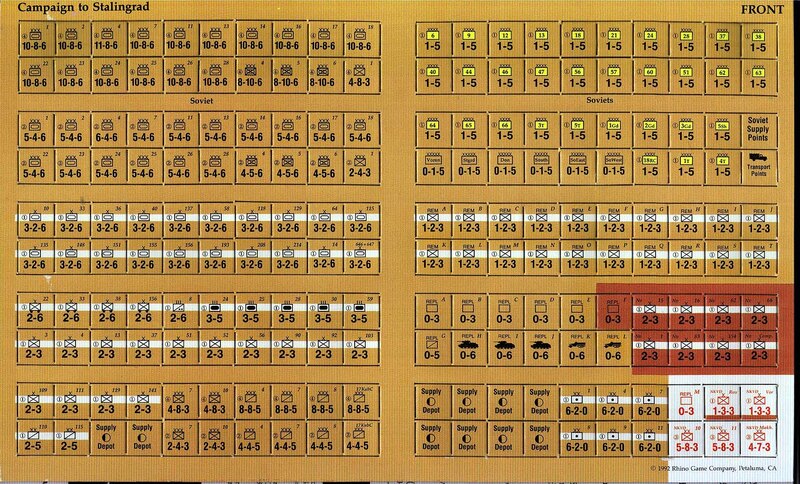 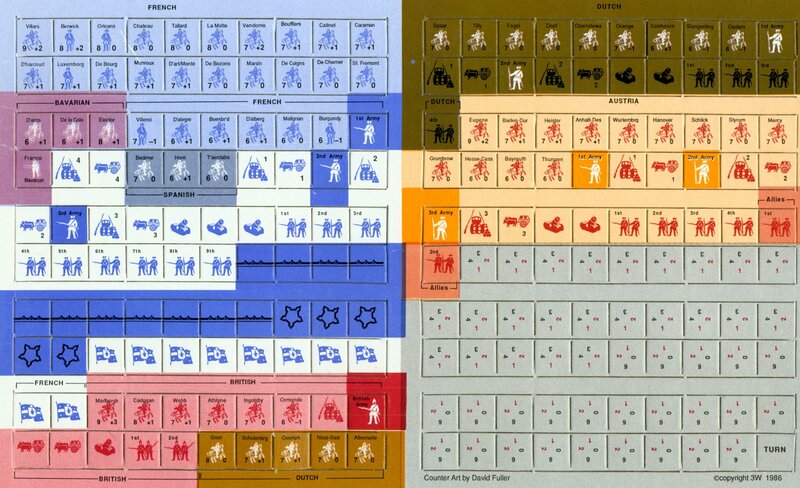 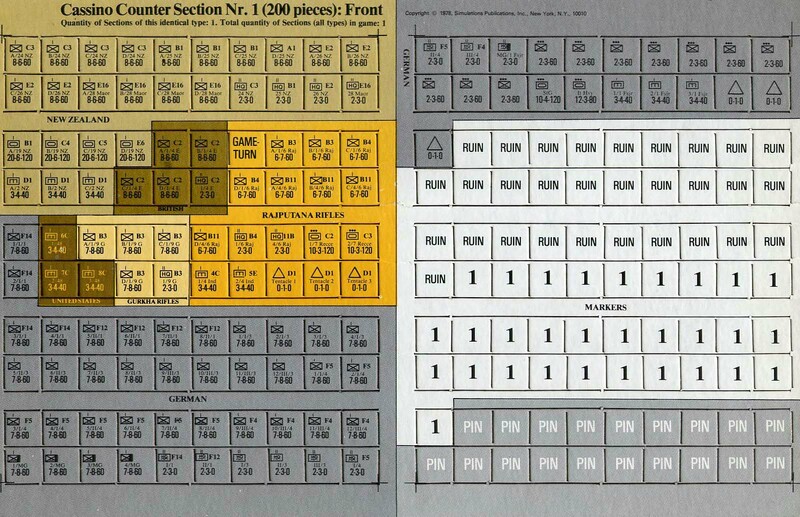 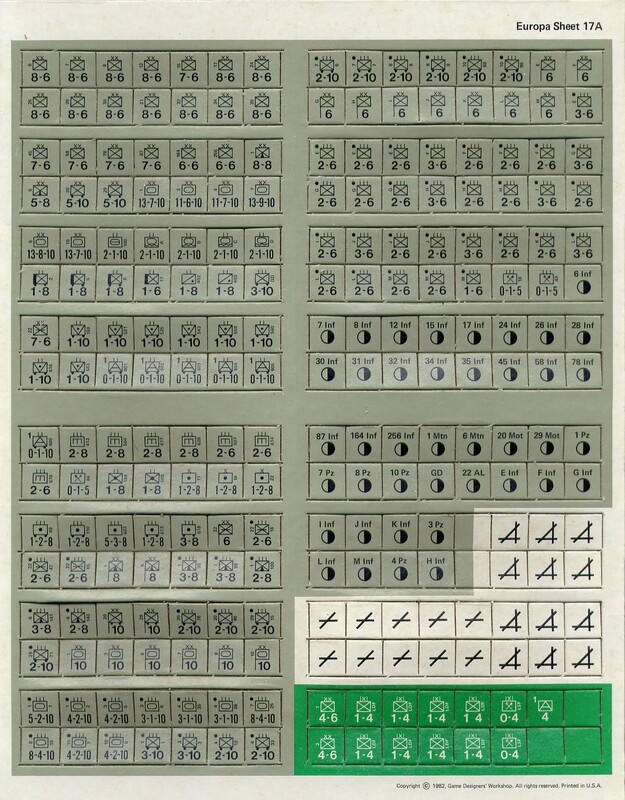 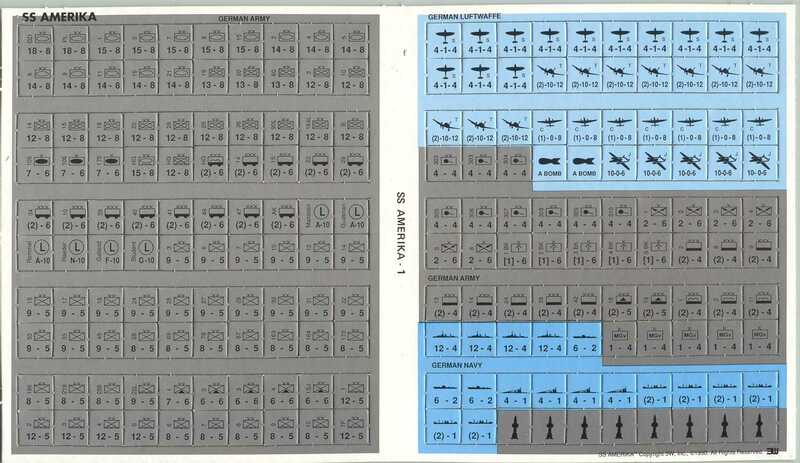 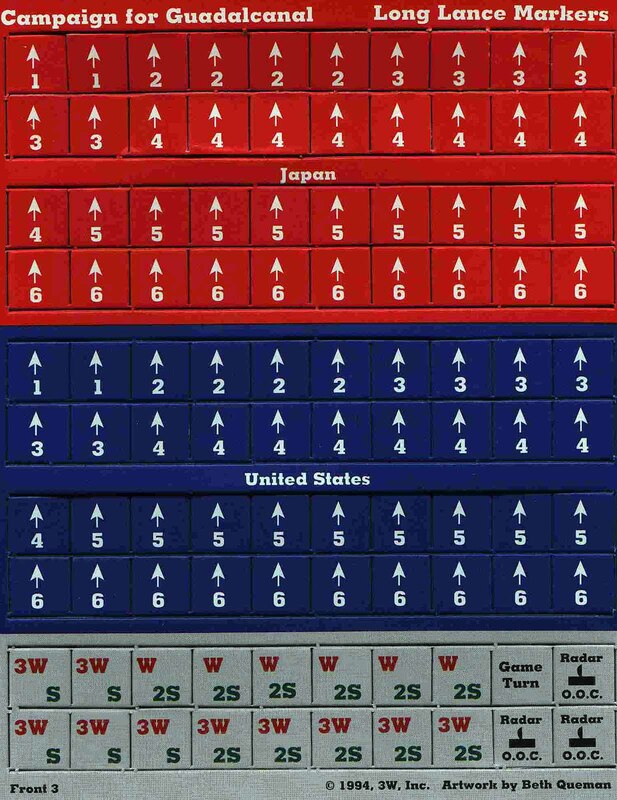 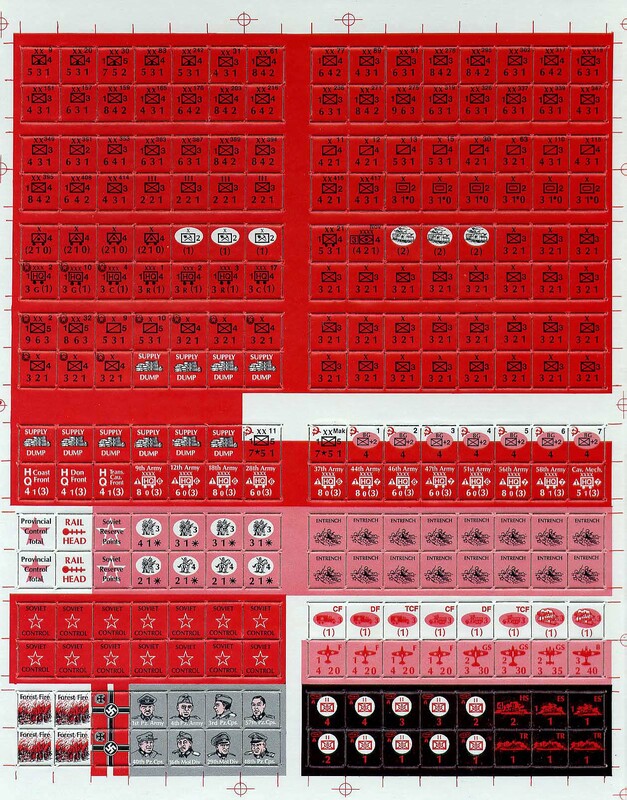 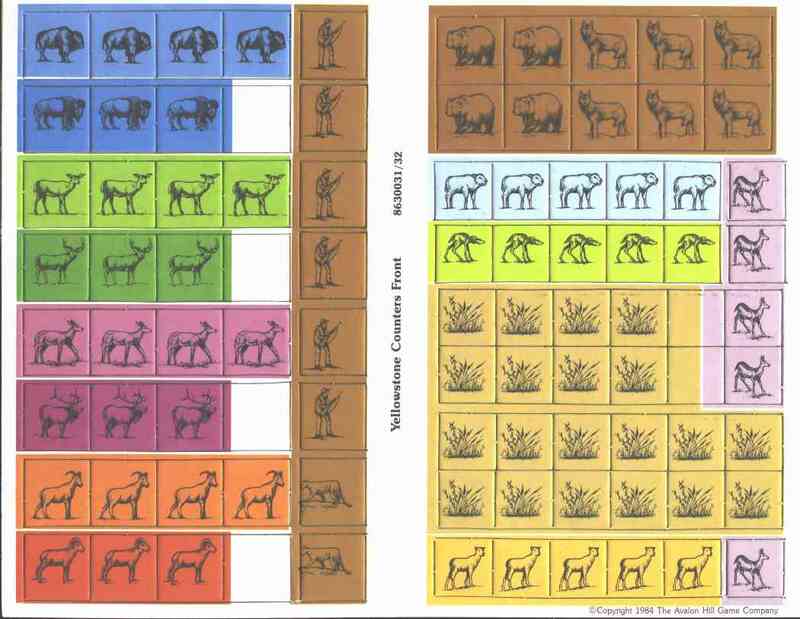 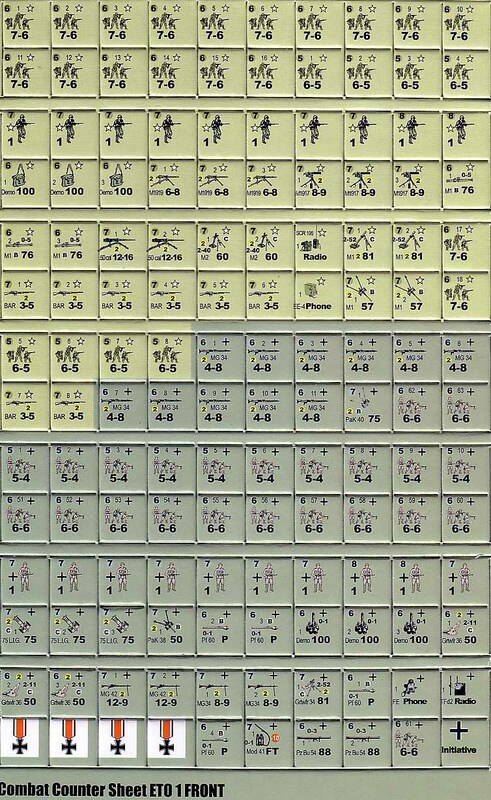 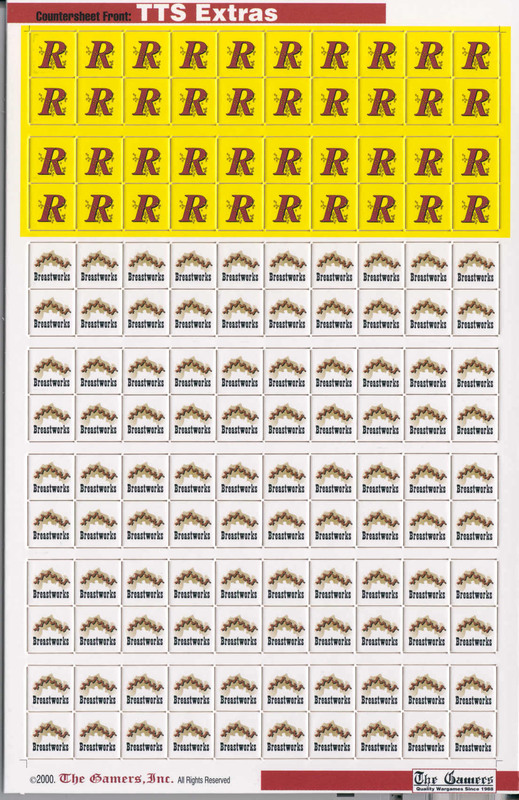 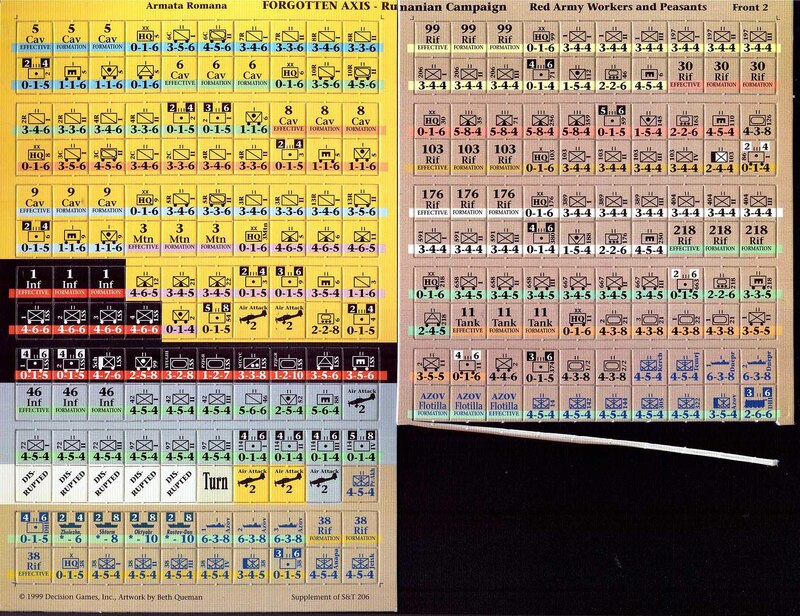 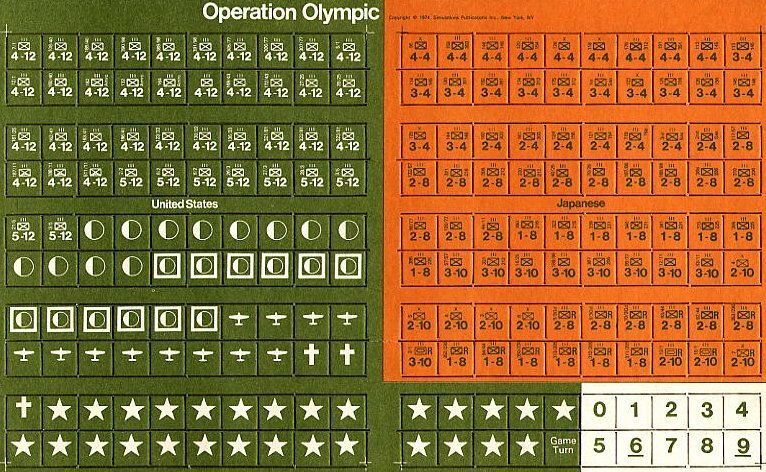 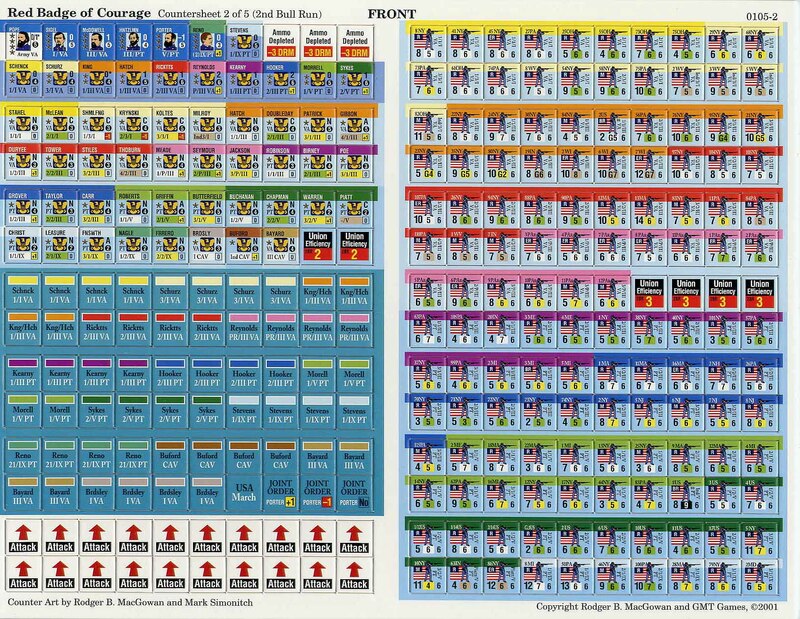 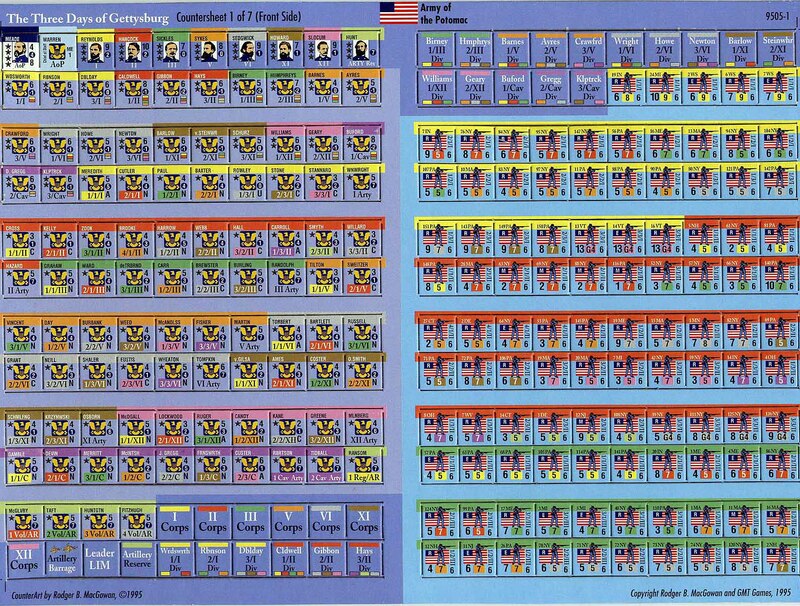 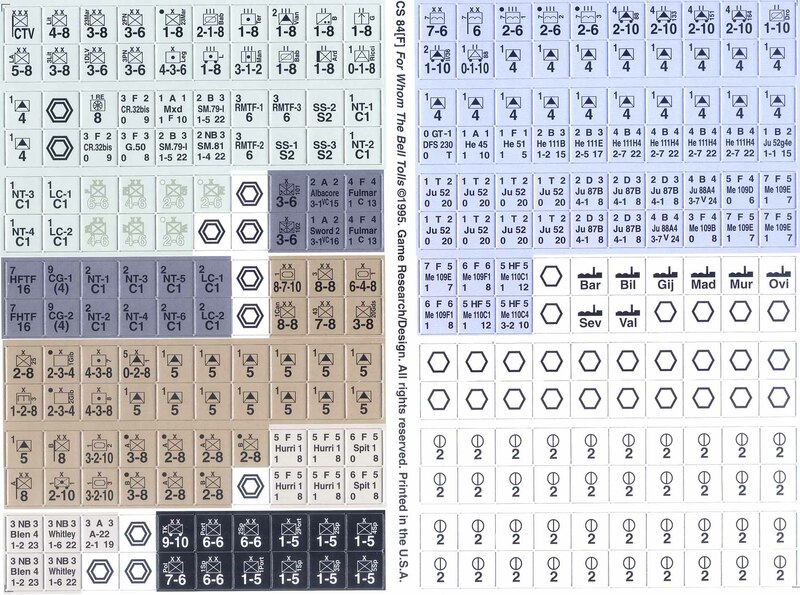 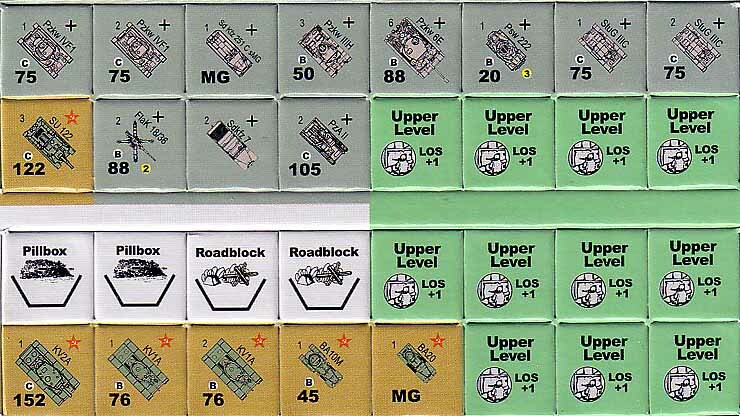 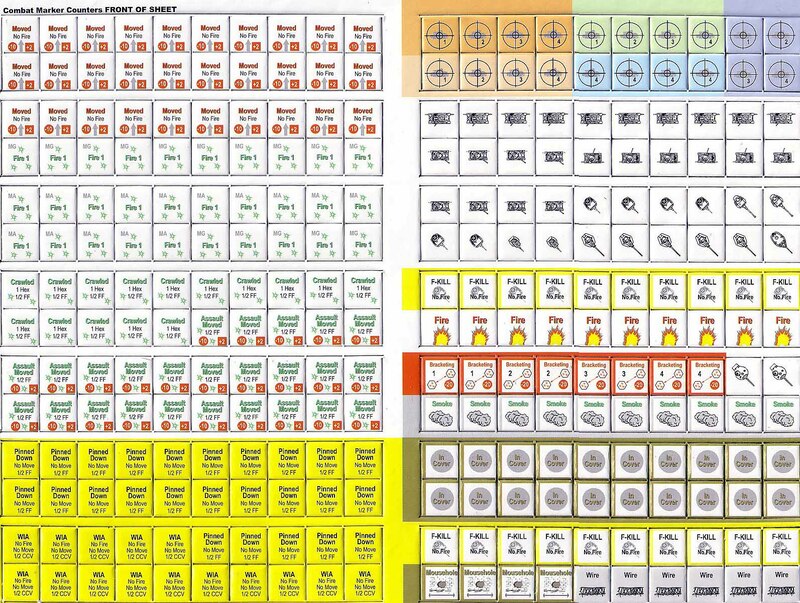 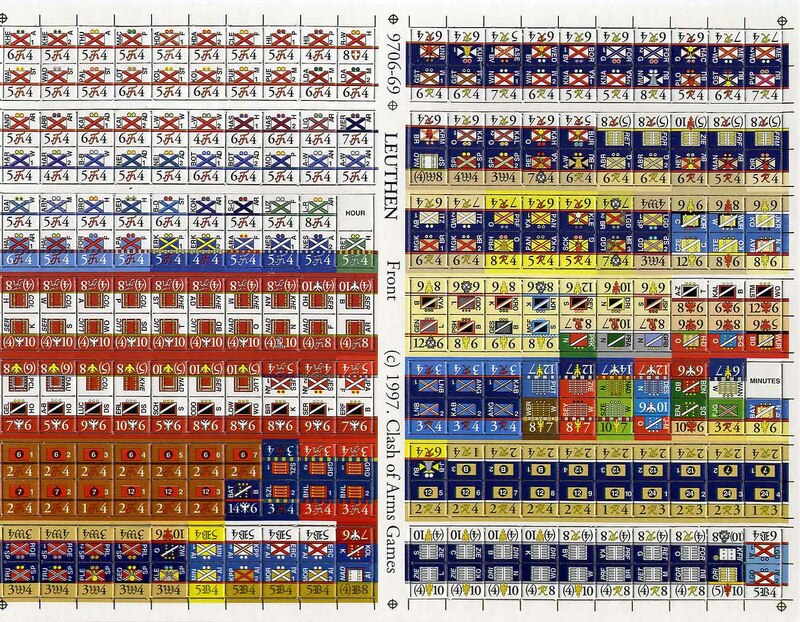 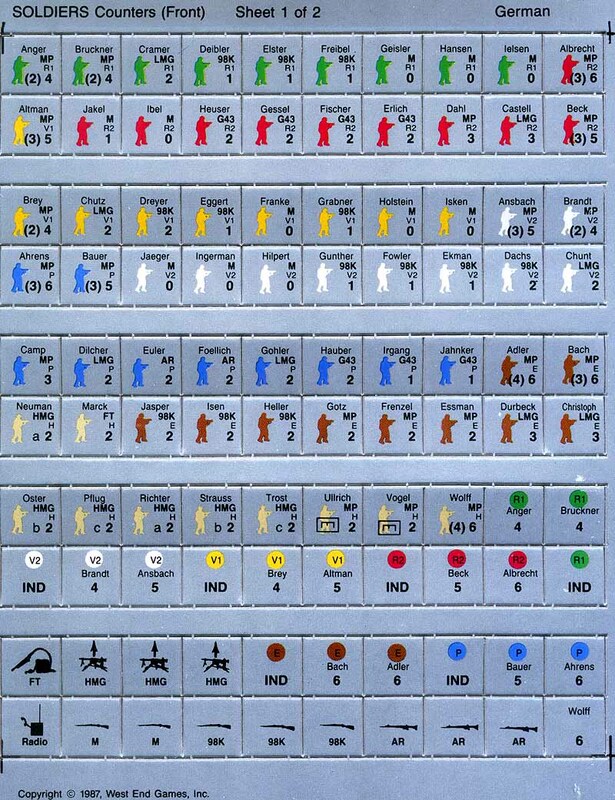 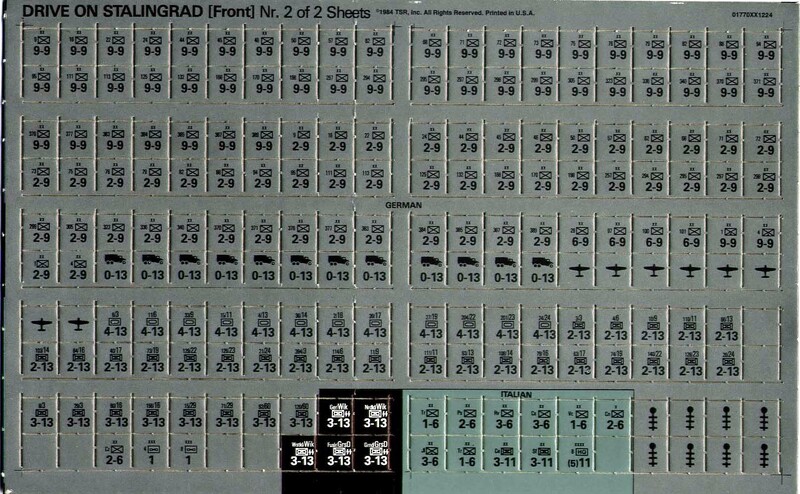 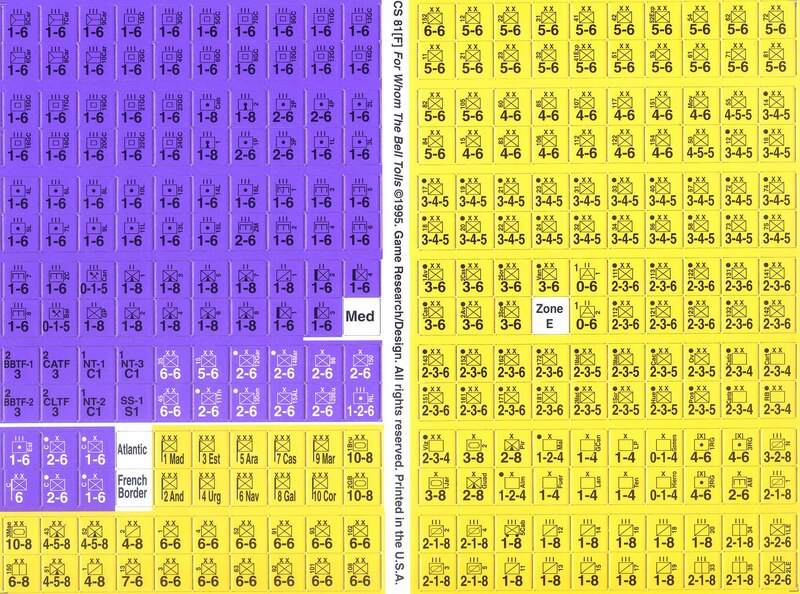 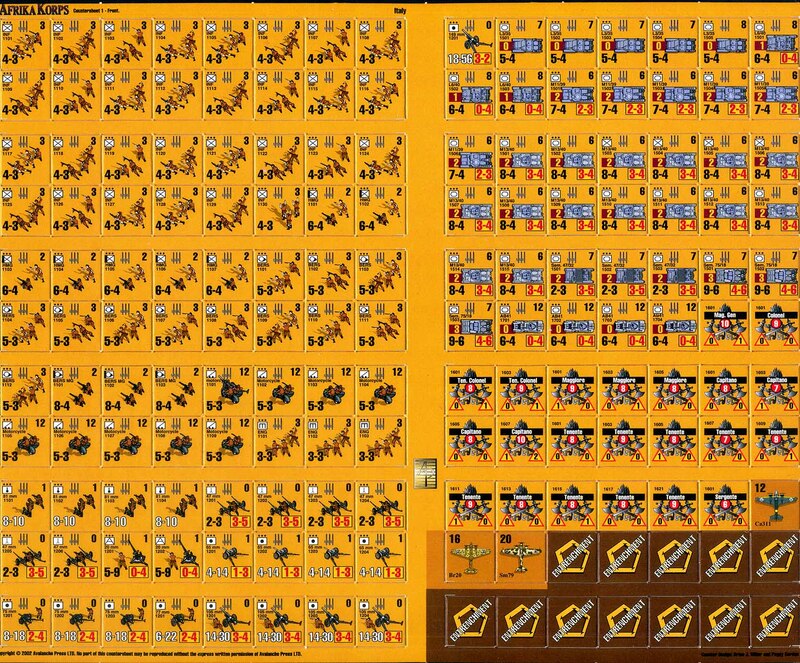 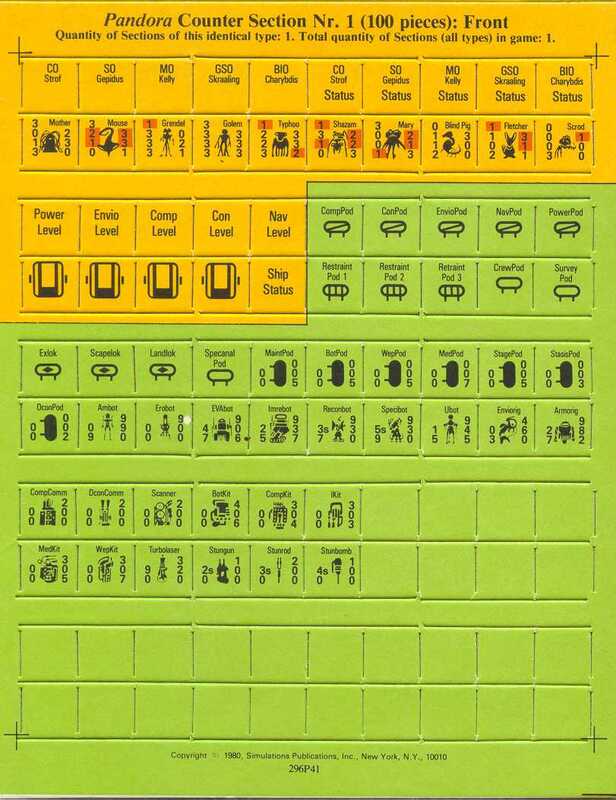 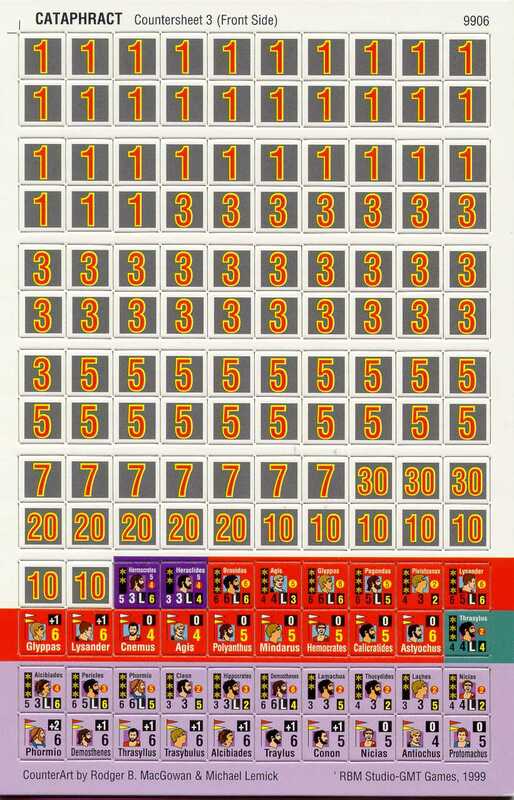 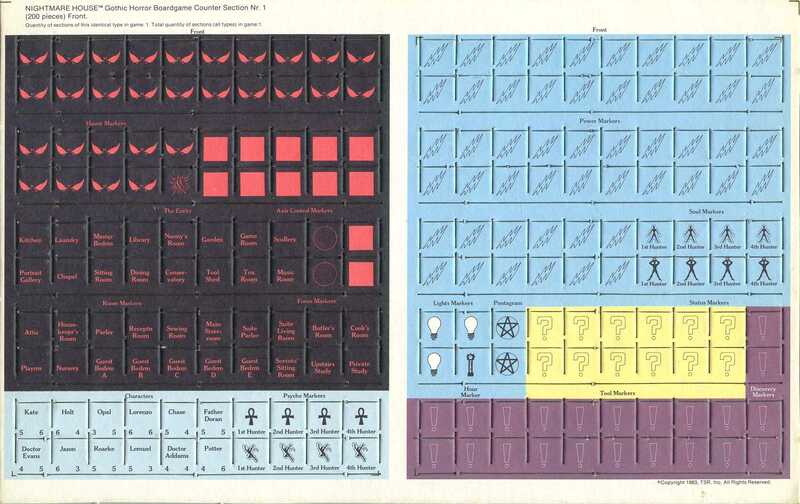 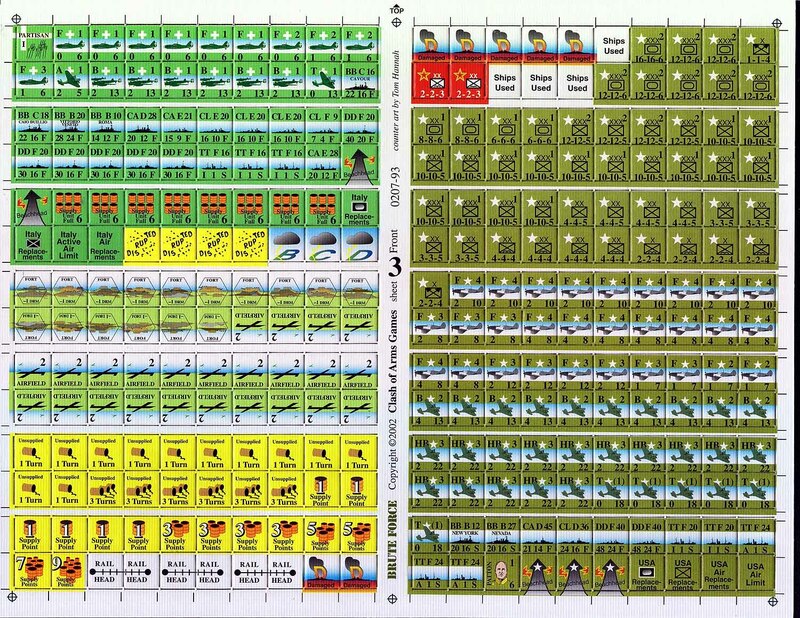 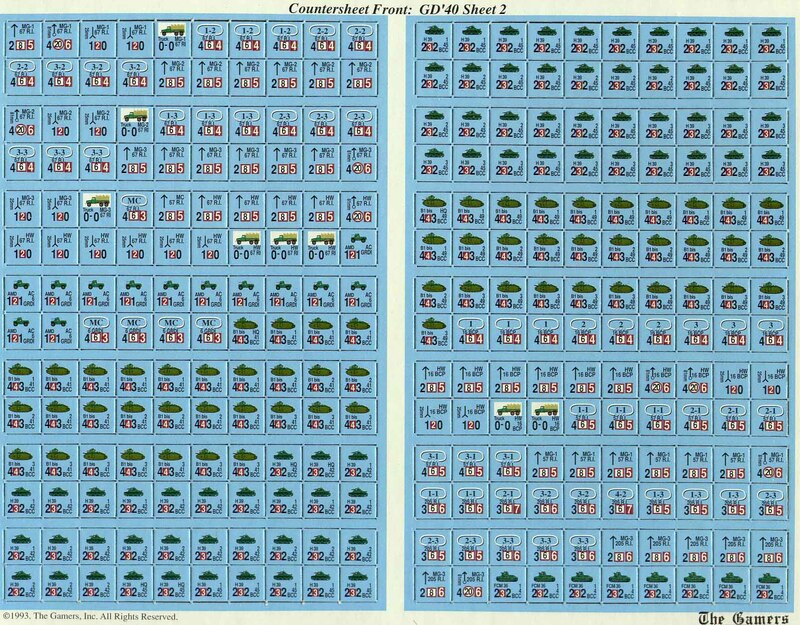 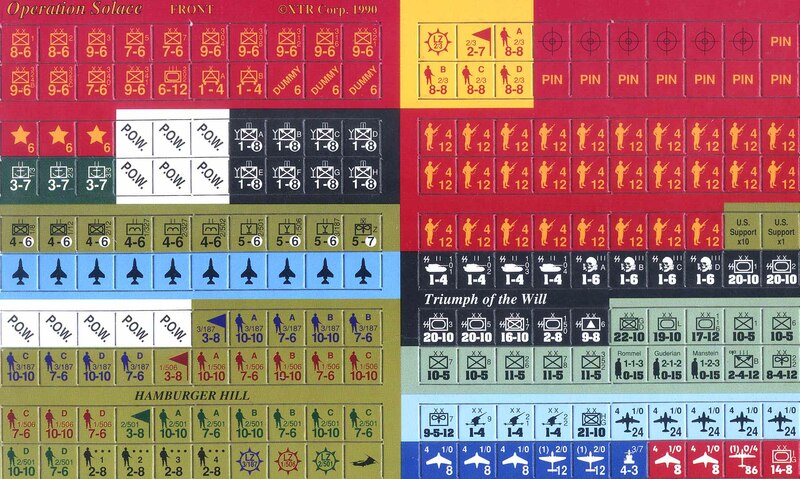 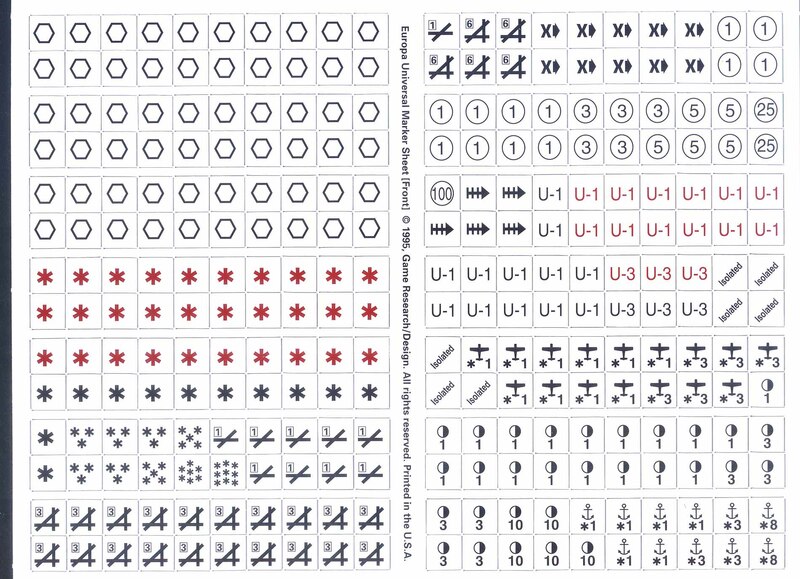 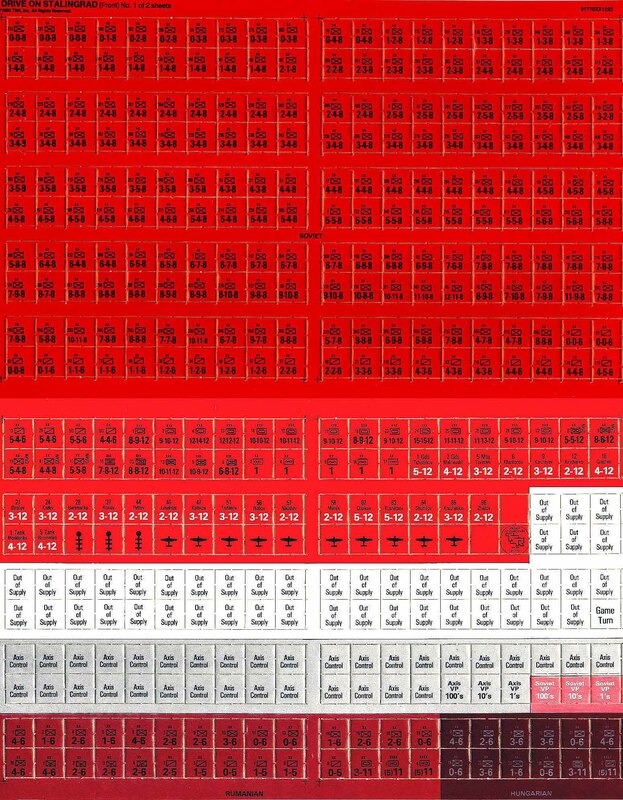 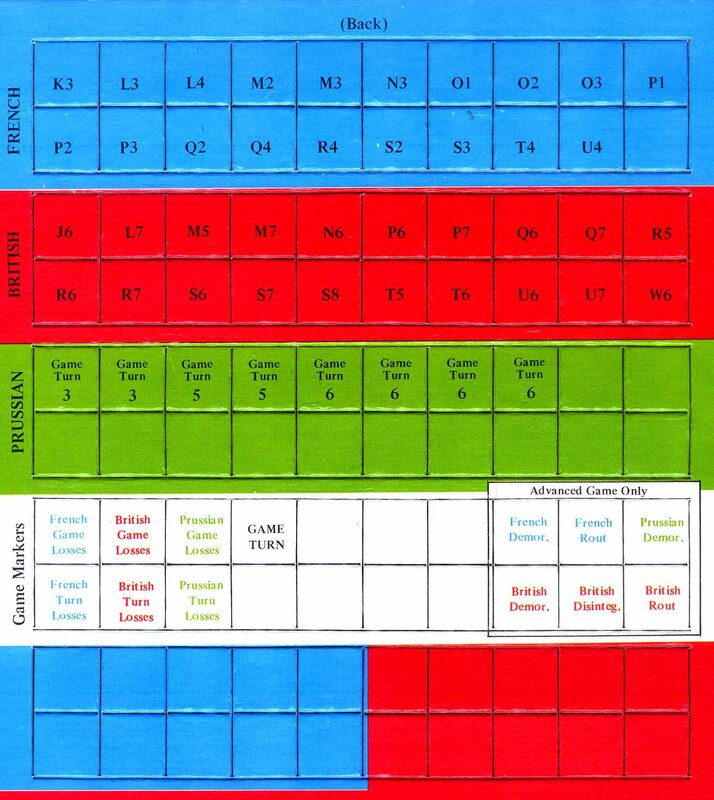 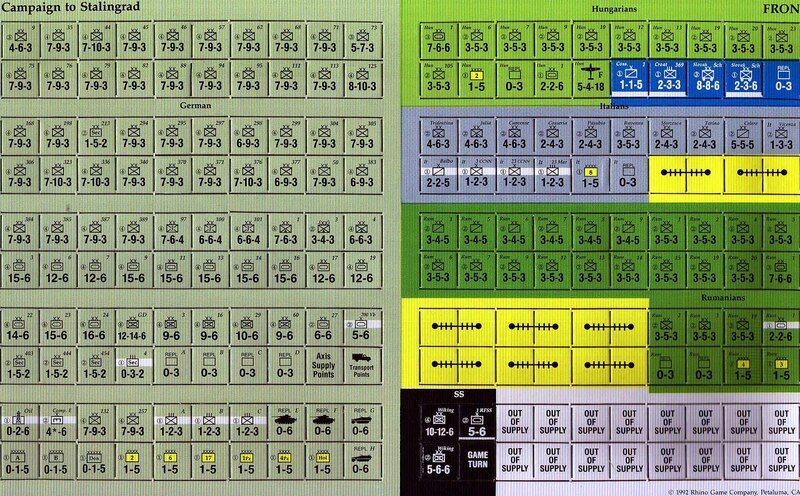 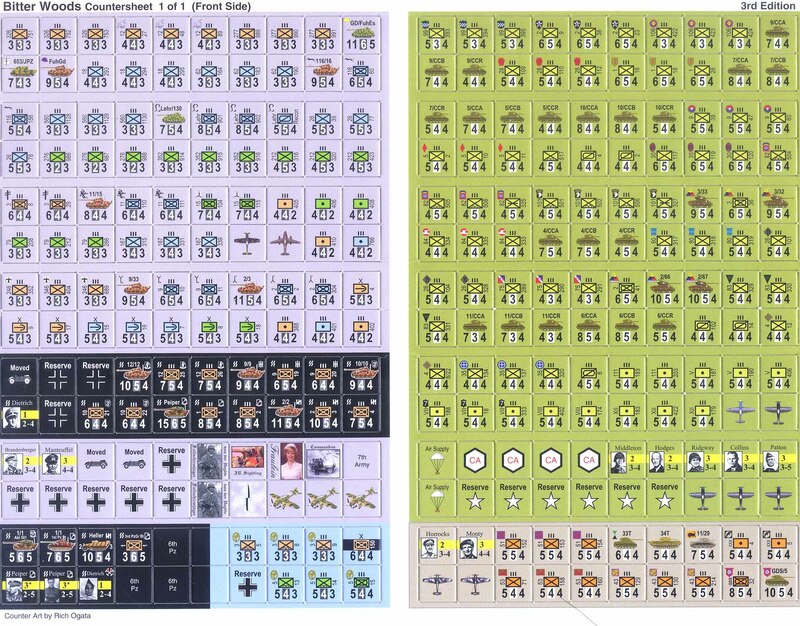 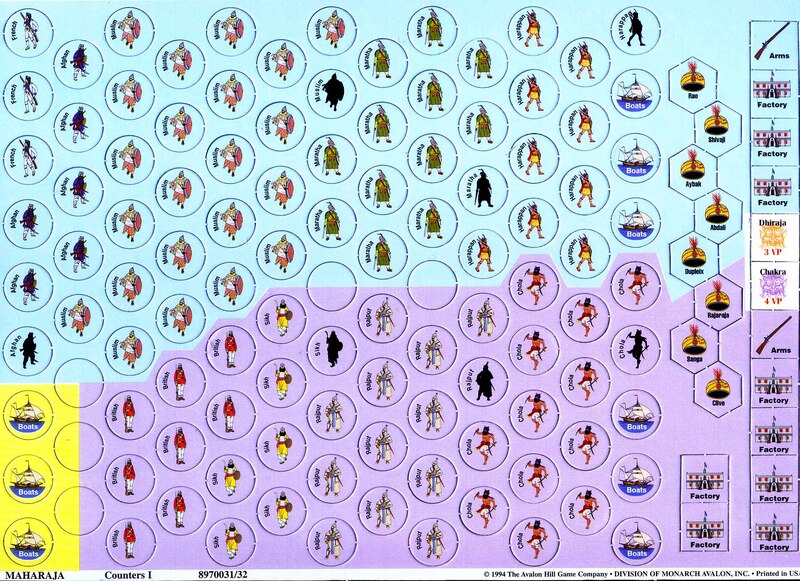 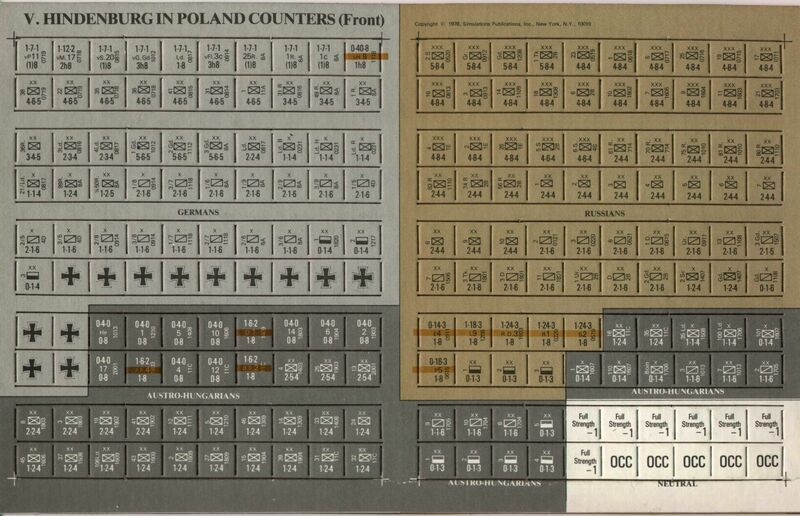 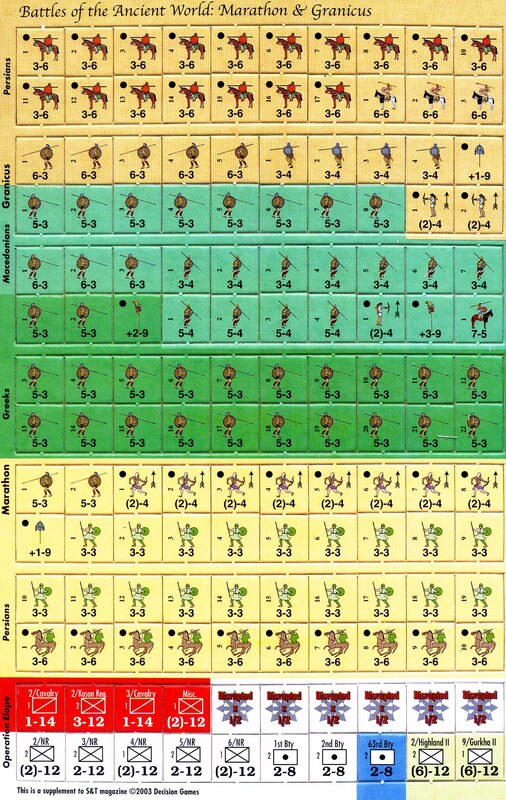 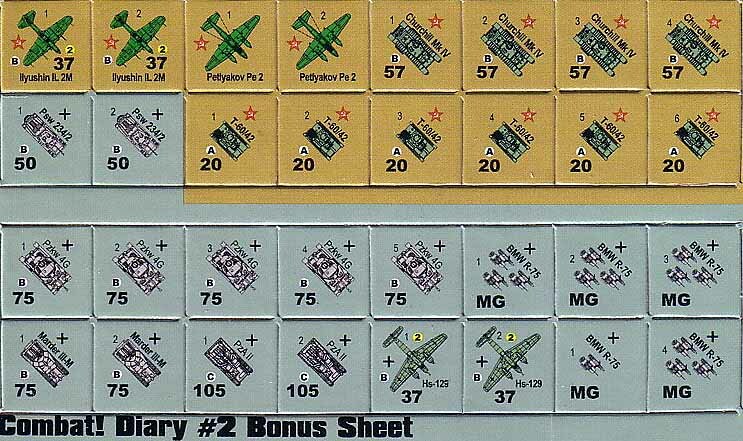 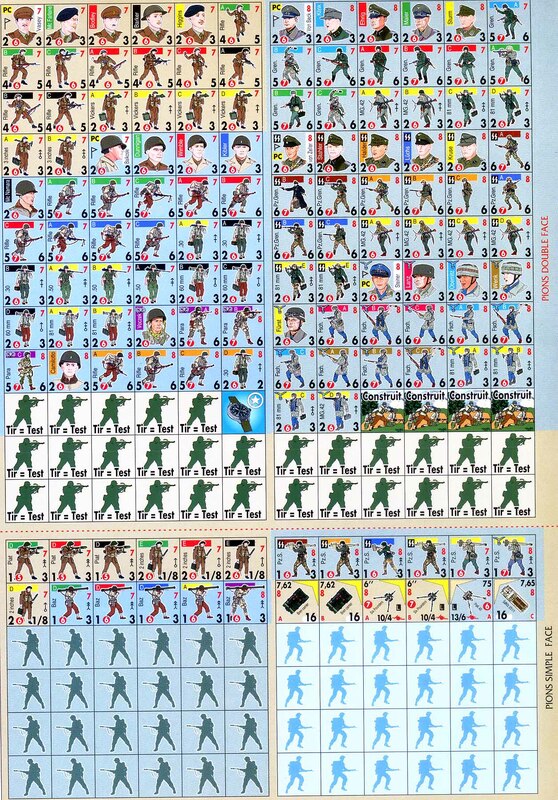 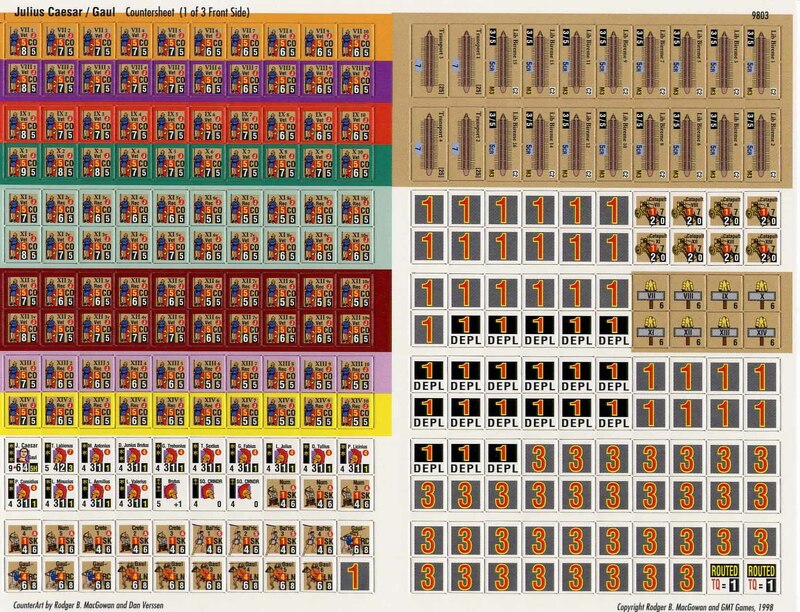 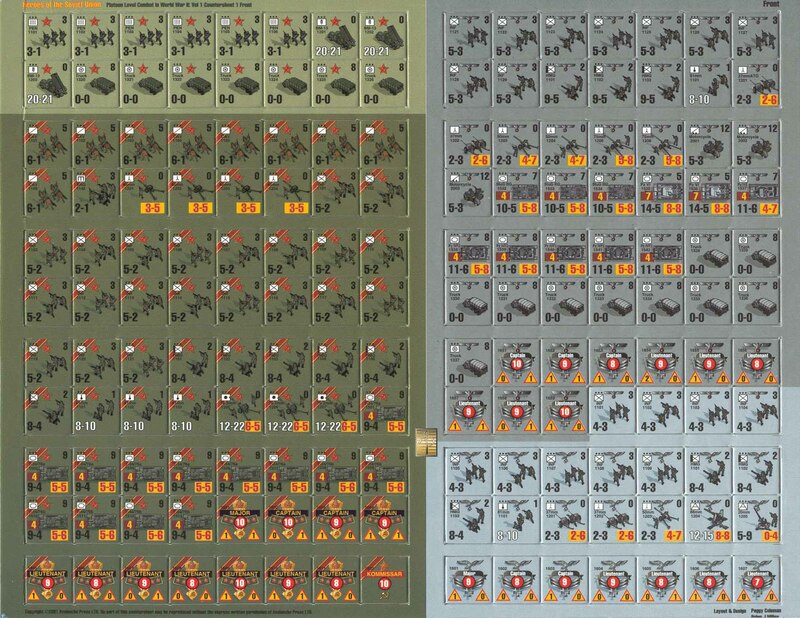 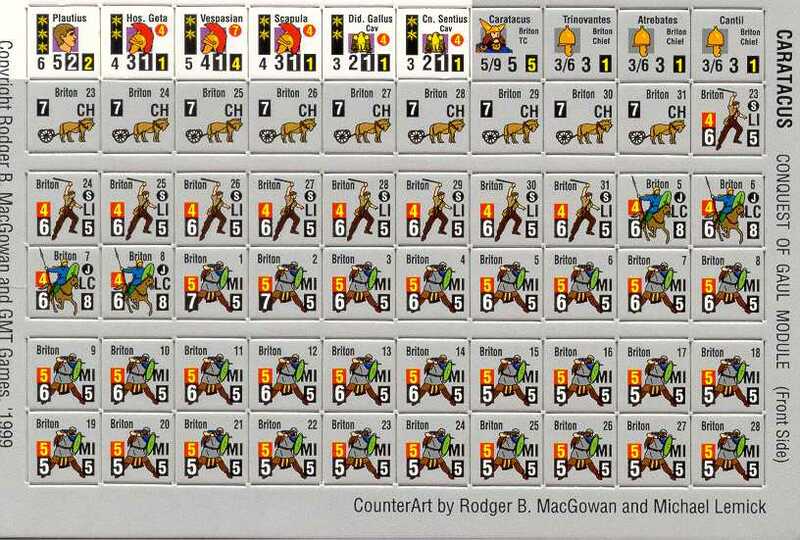 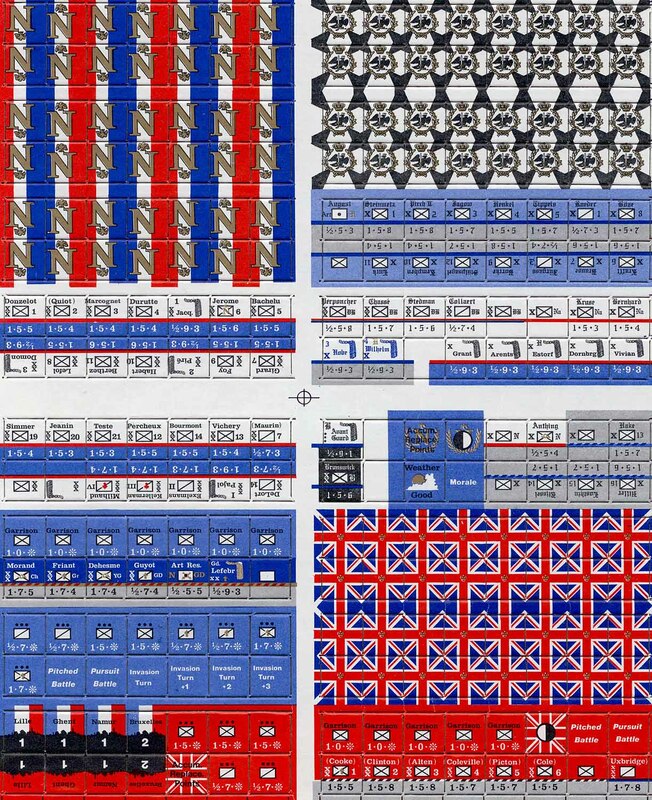 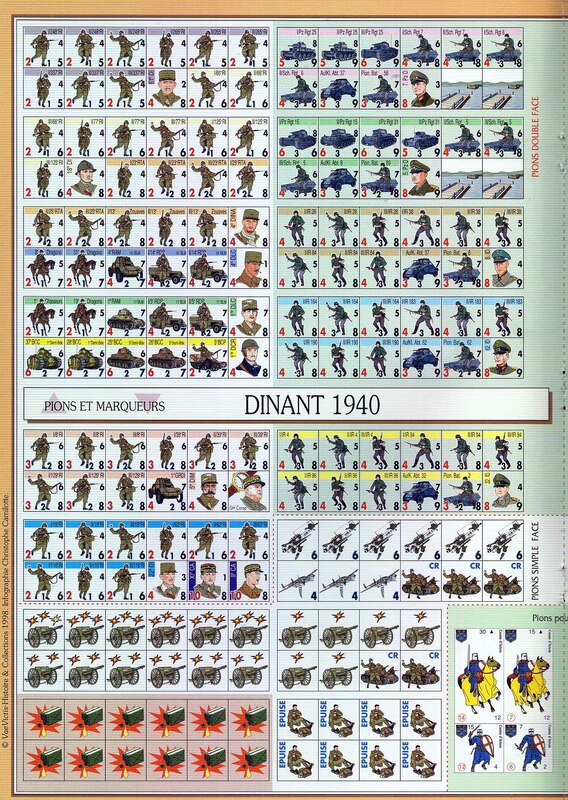 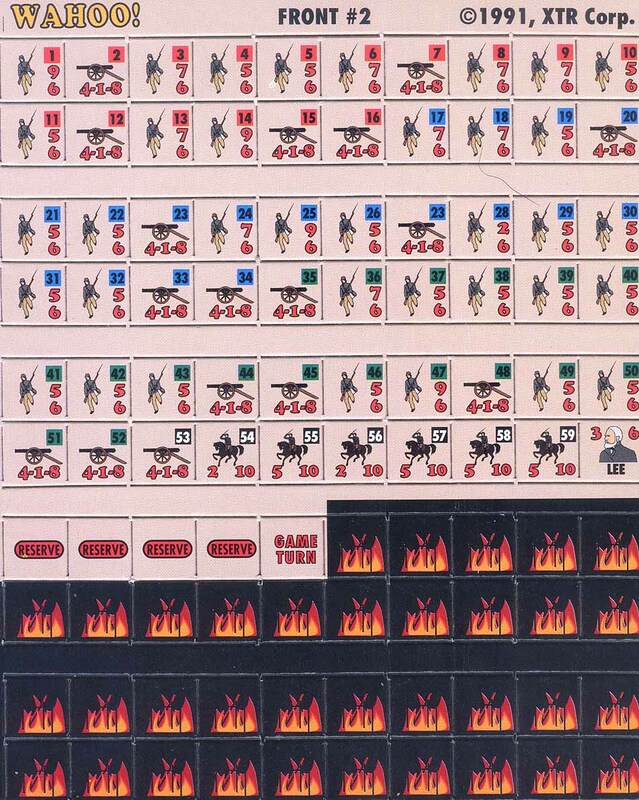 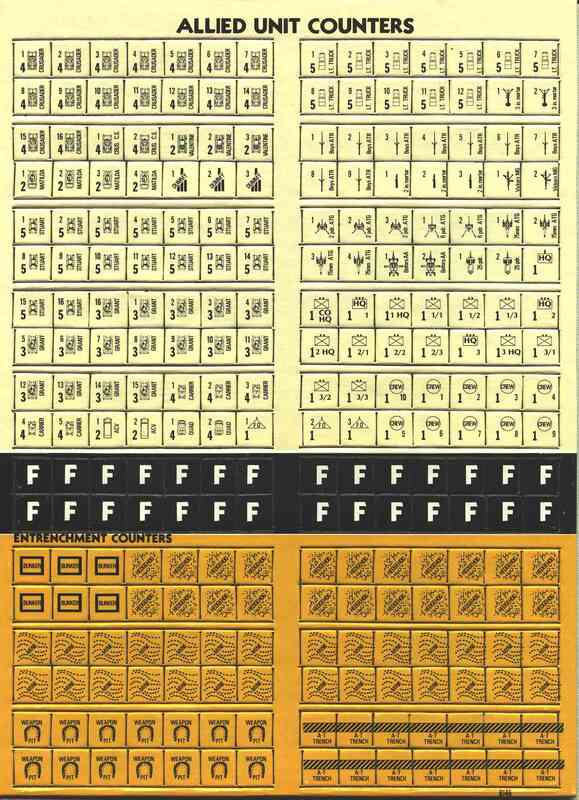 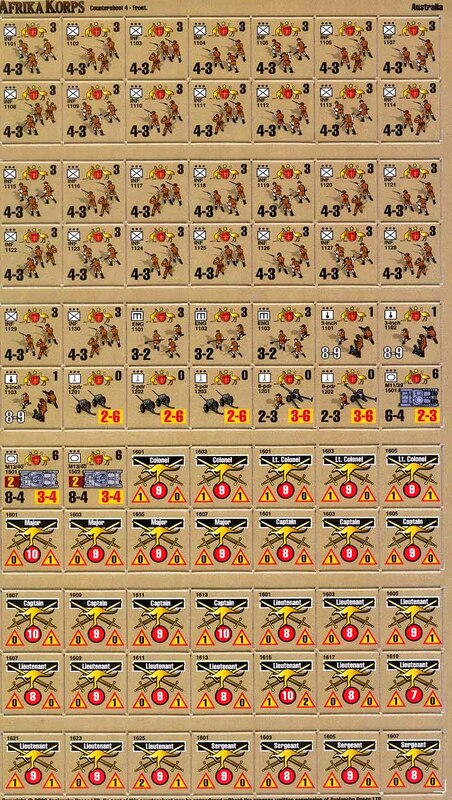 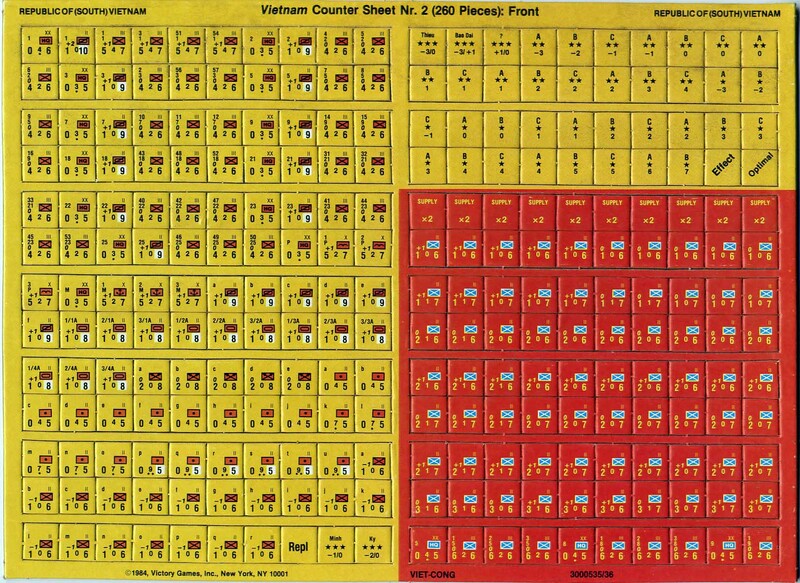 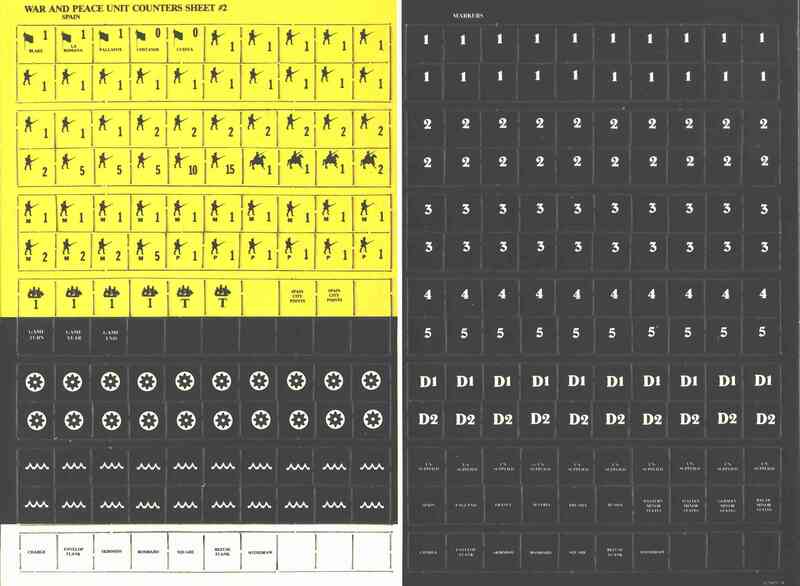 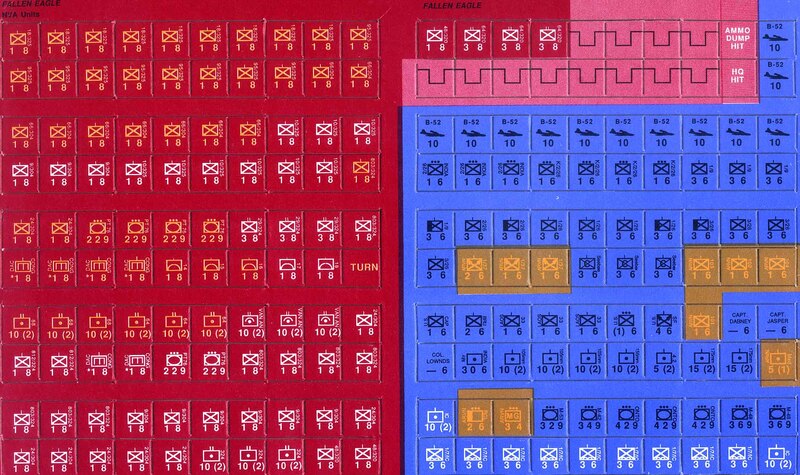 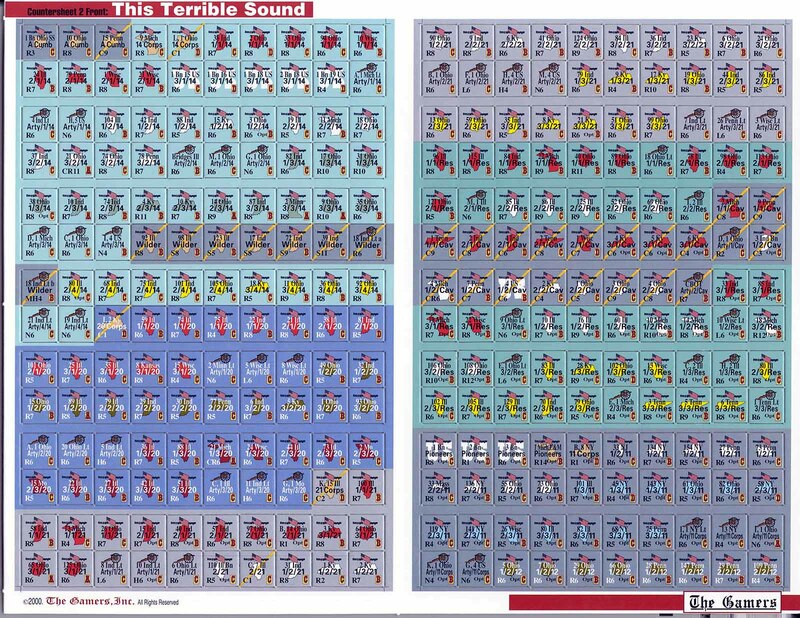 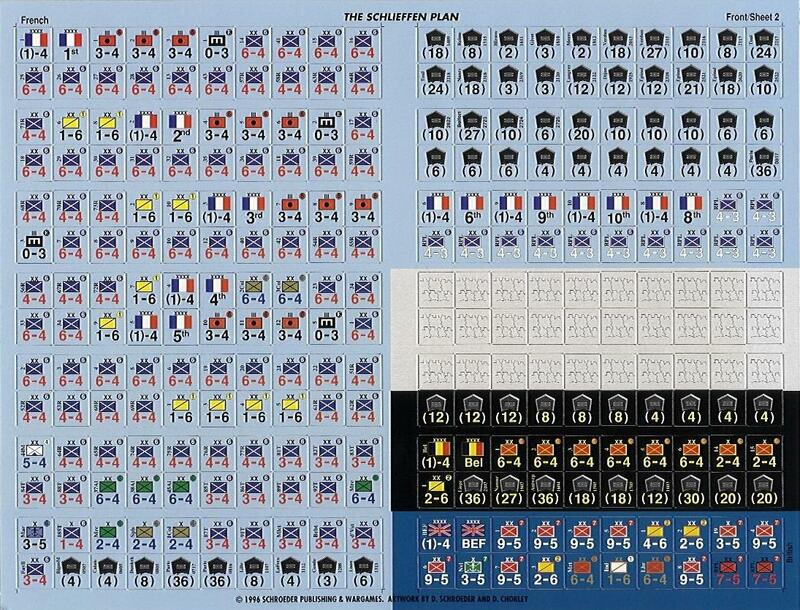 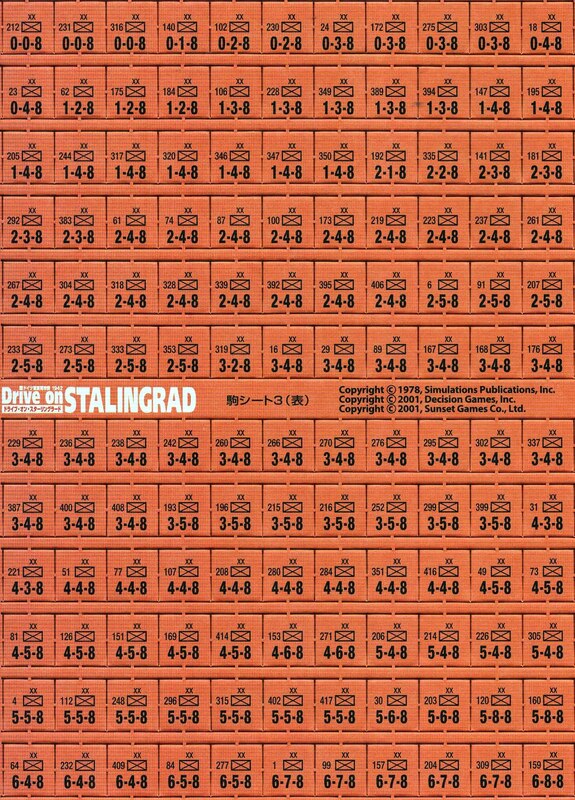 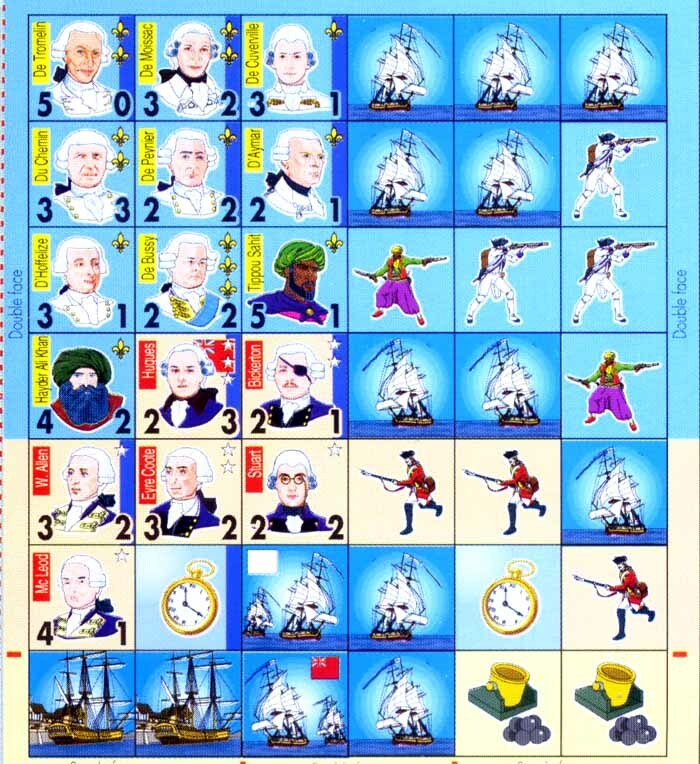 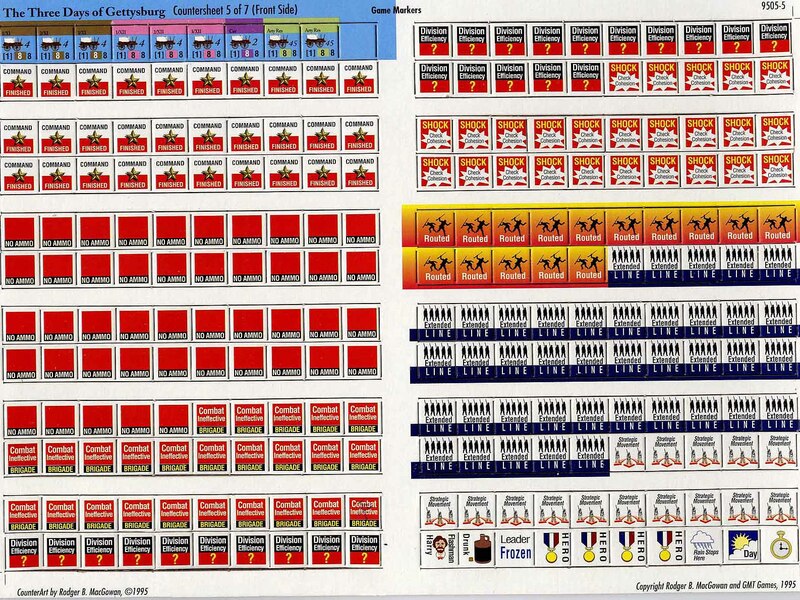 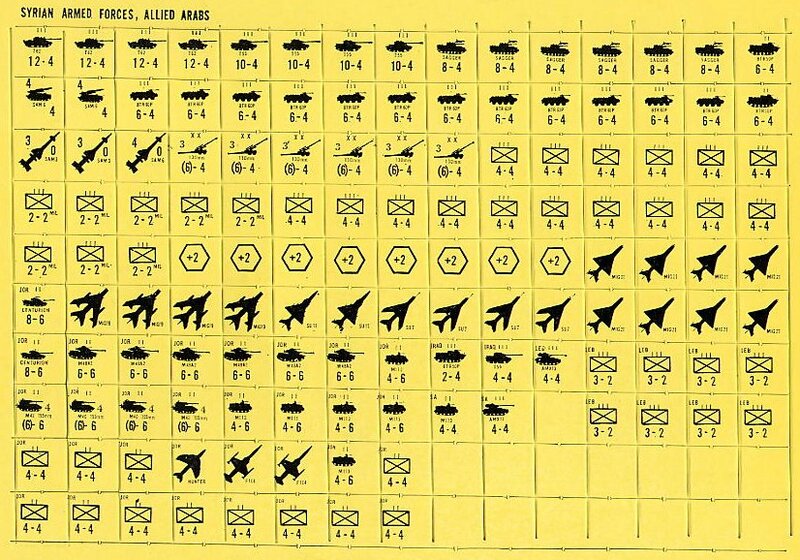 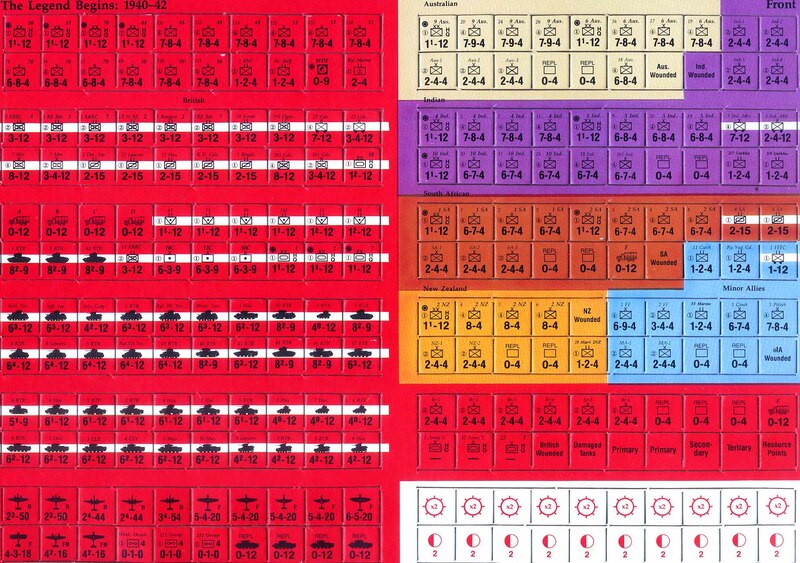 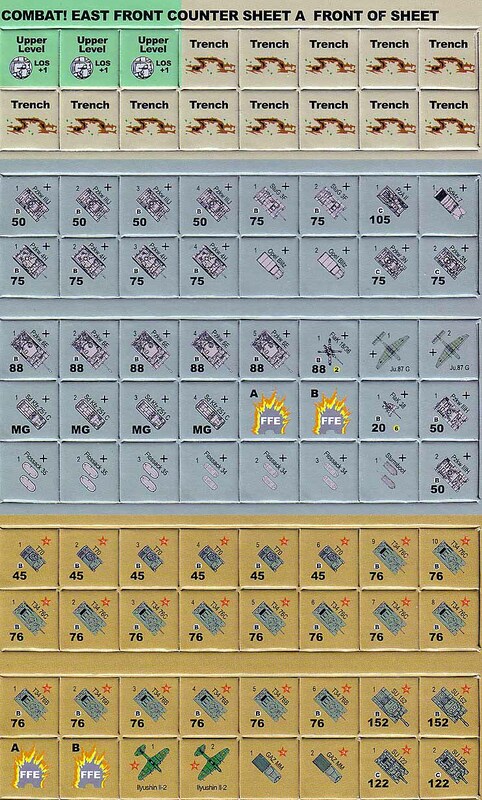 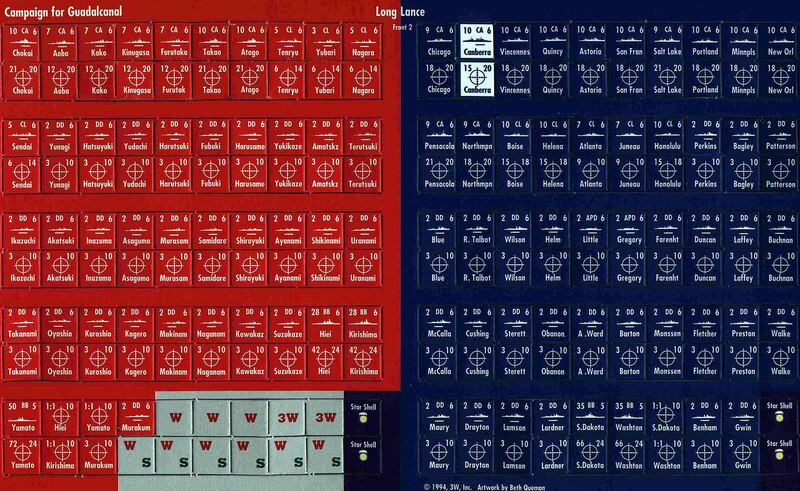 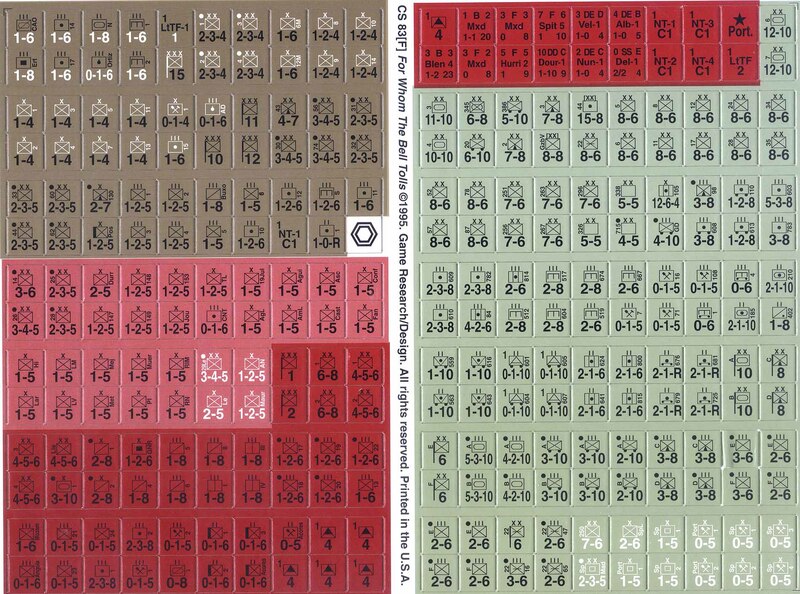 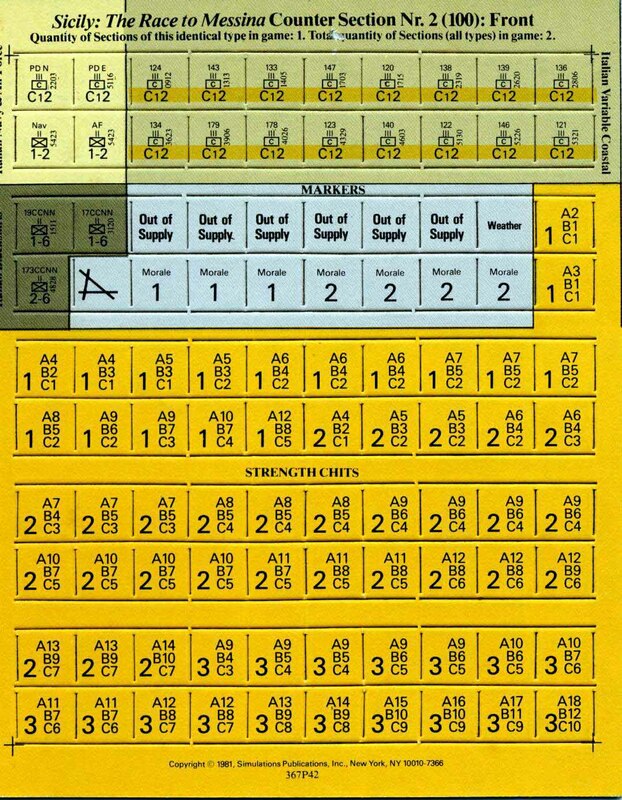 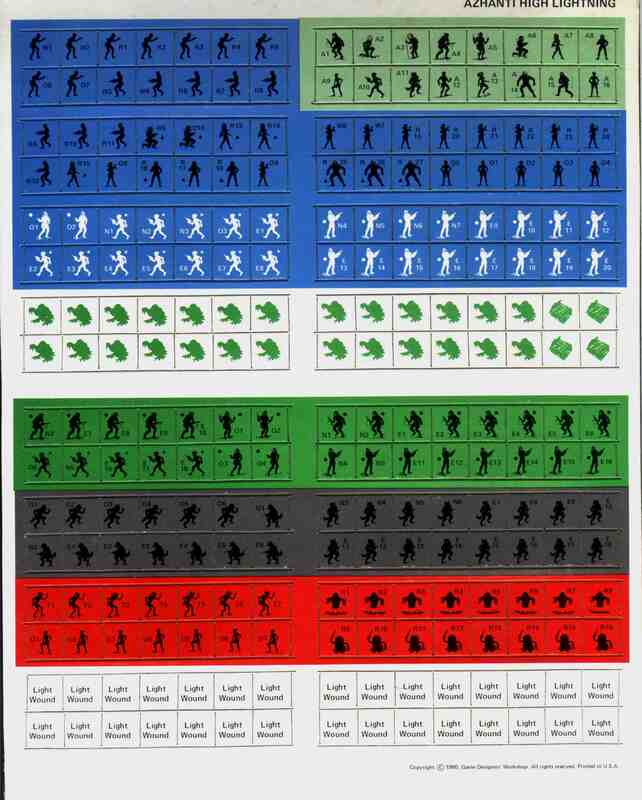 These are good quality scans of one side of an unpunched counter sheet. 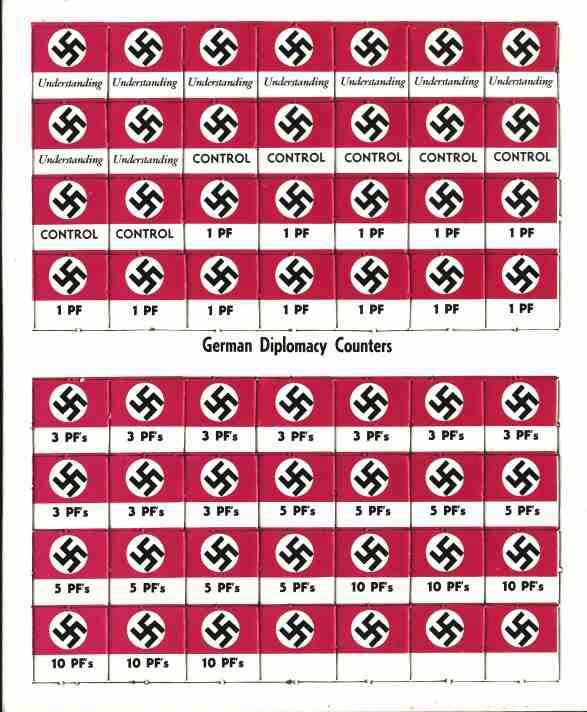 They make great counter manifests. 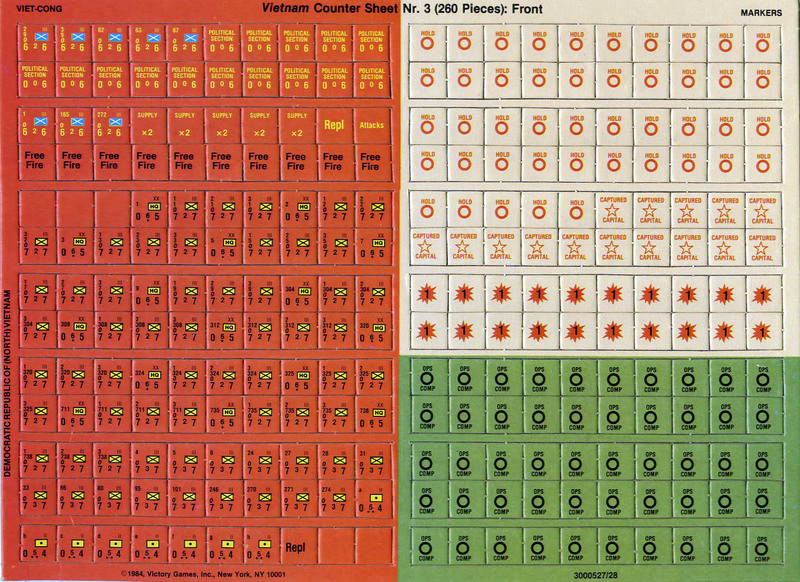 And I want to emaphasize that - they should be used for counter manifests only. 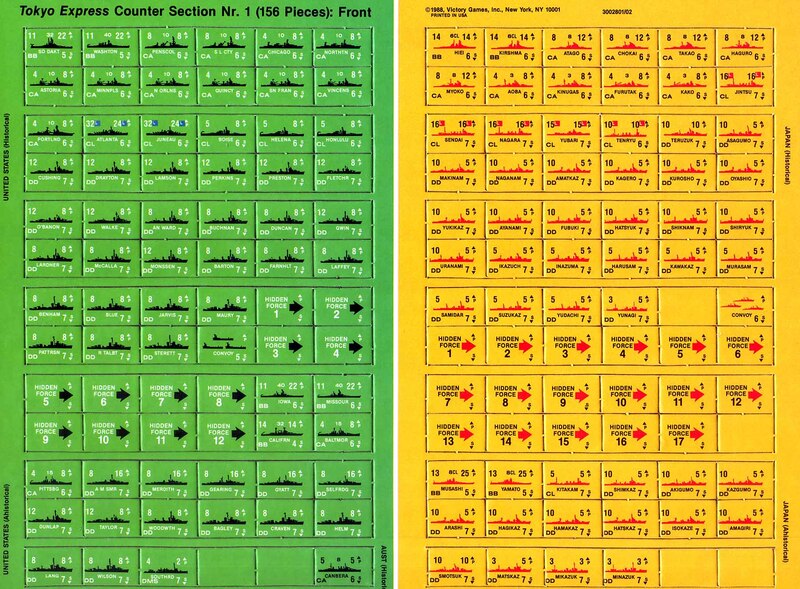 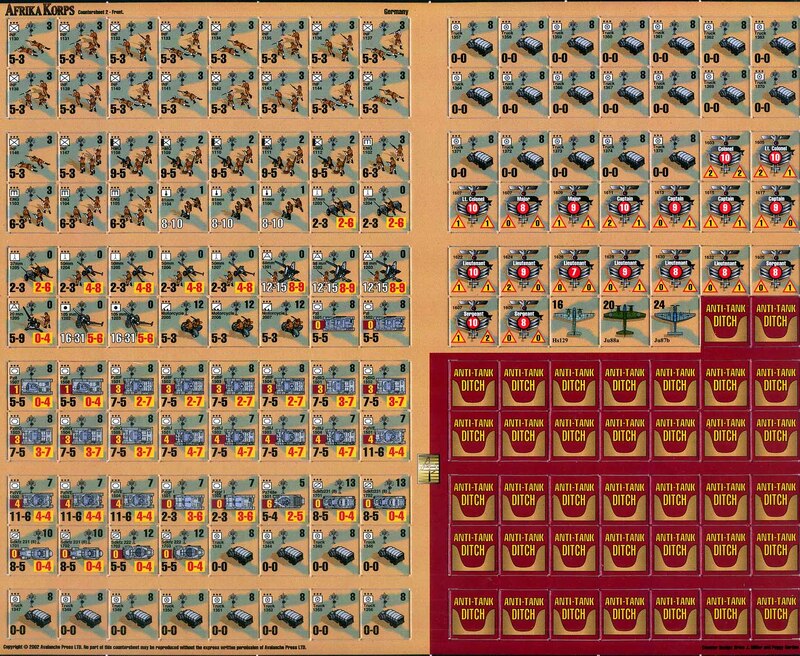 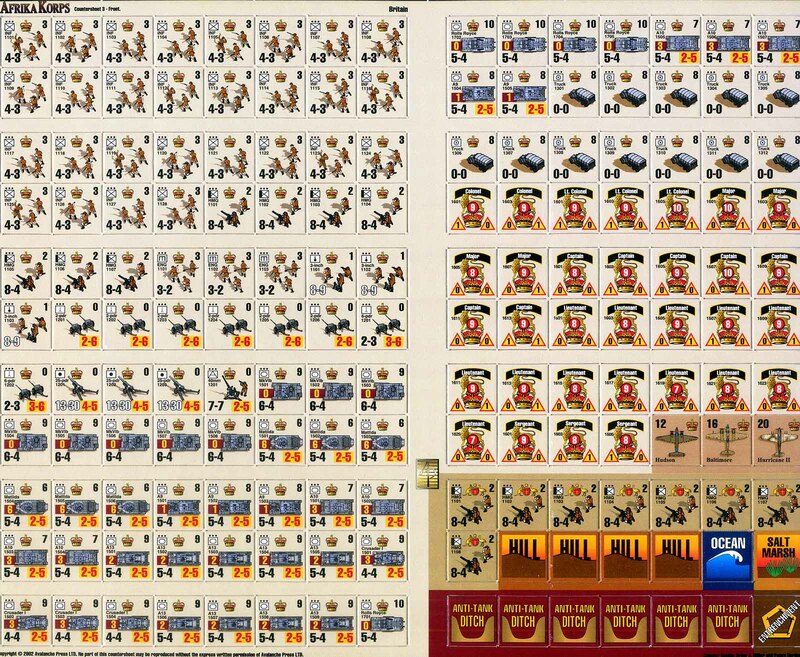 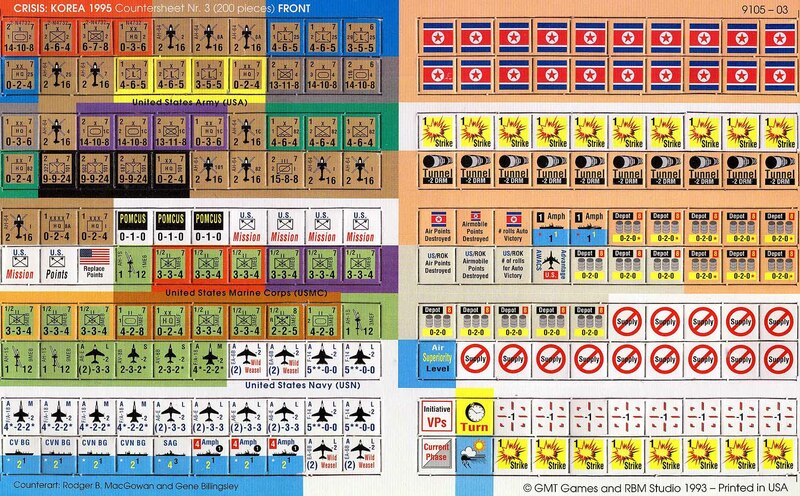 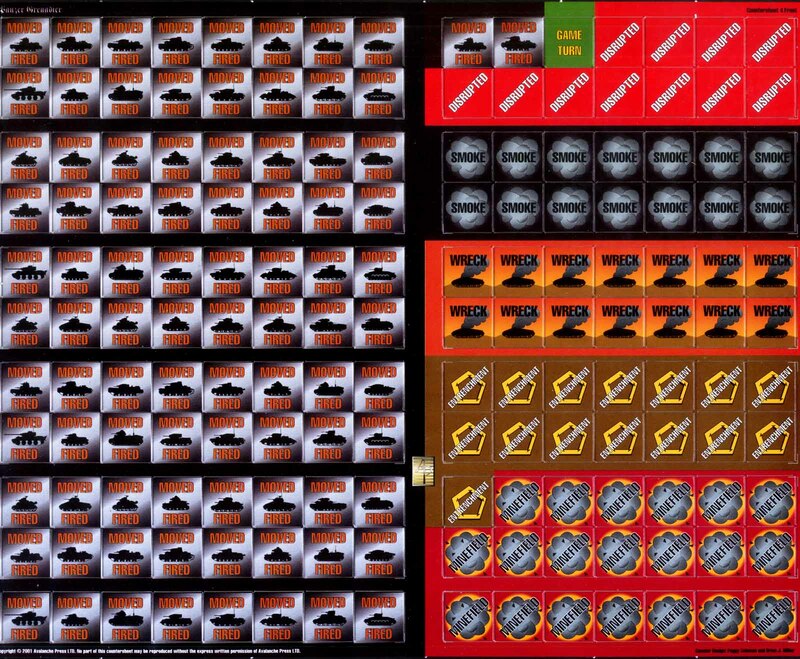 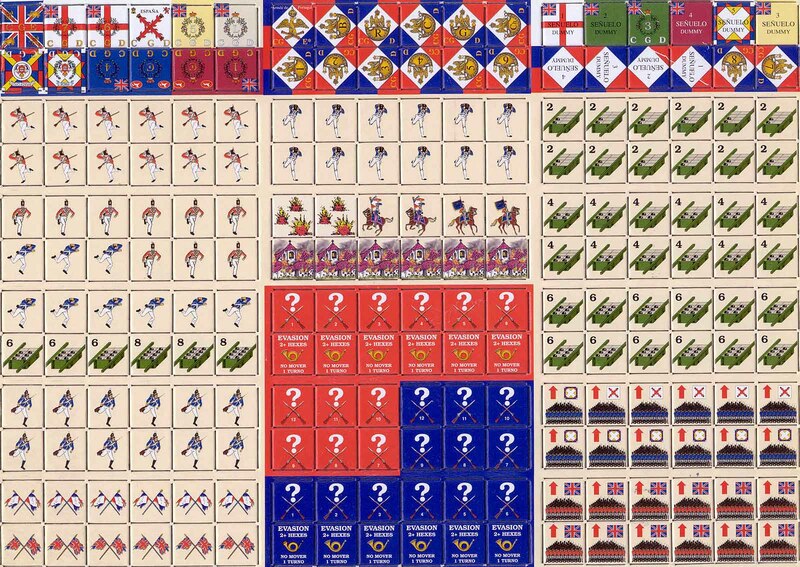 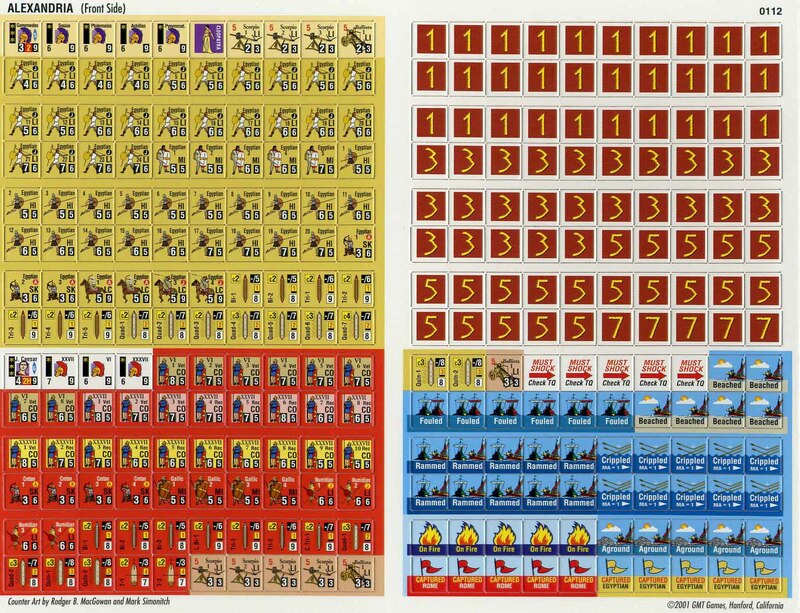 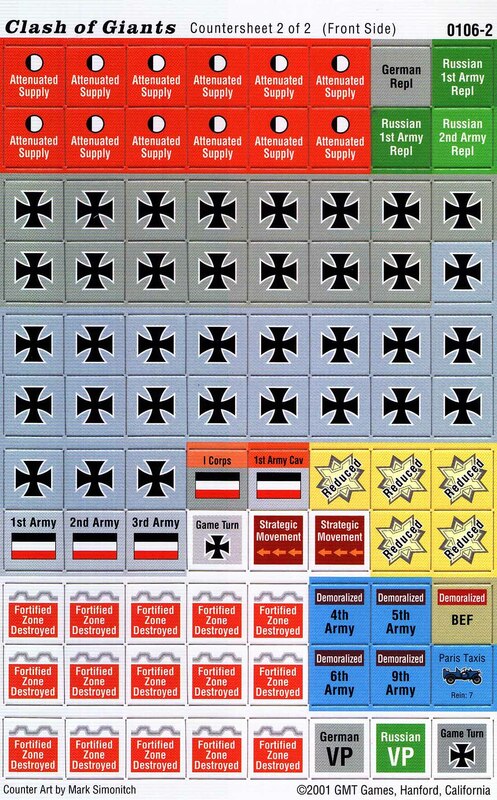 They are not intended to replace lost counters or for pirating new copies of the counters. 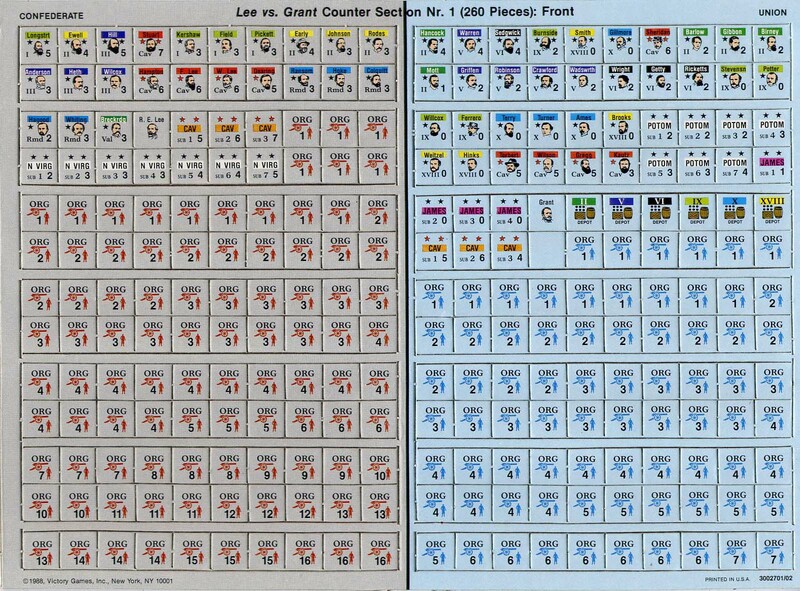 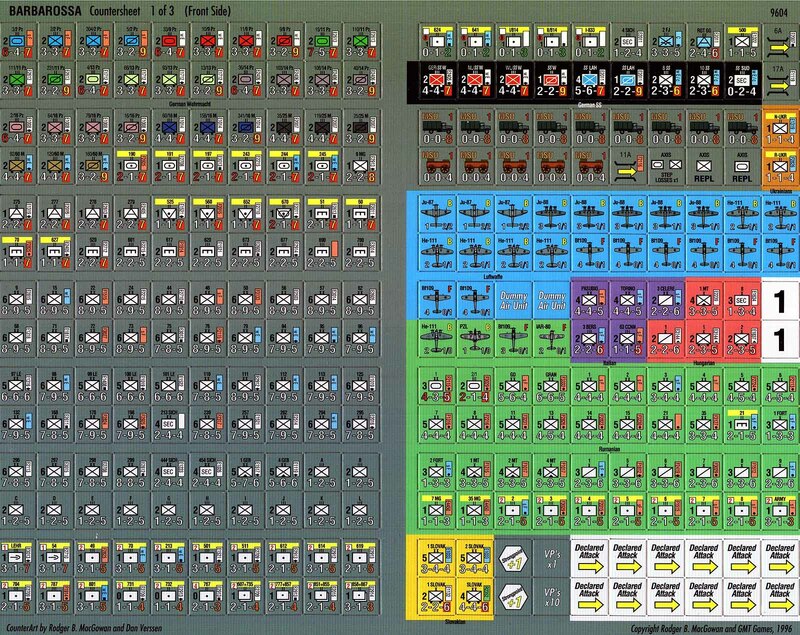 The quality isn't that good, and I also don't do the reverse side - these are just the front sides of the counter sheets. 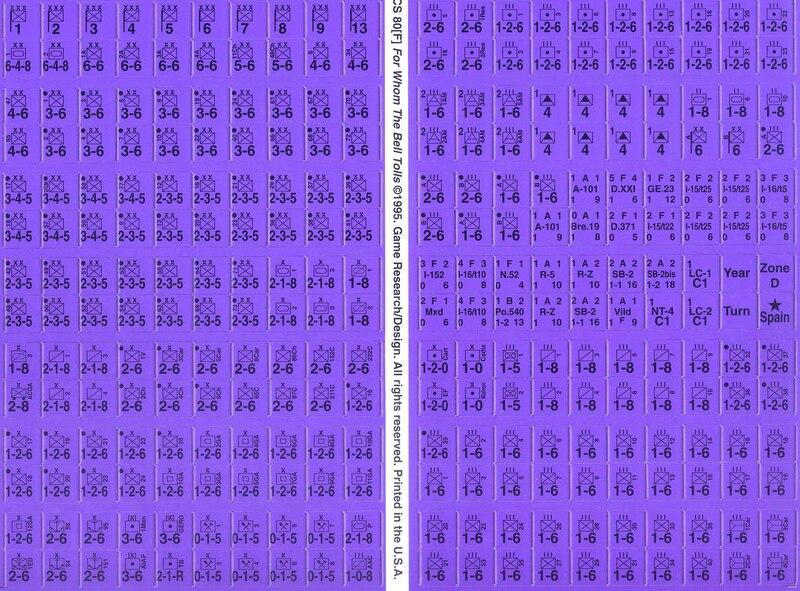 But if this still bothers the copyright holder (and I hope they can take the longer view of things), please drop me a line and I will pull them off. 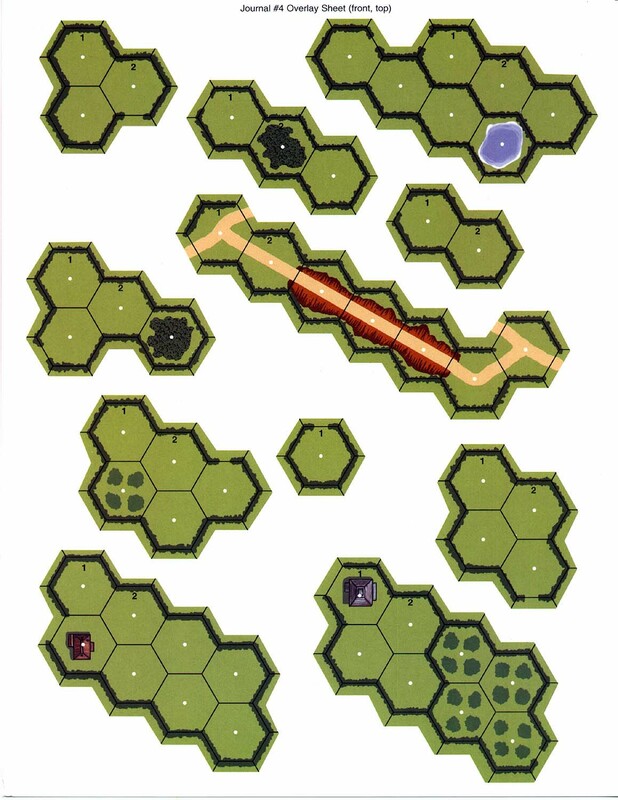 Also please drop me an email if you find a broken link, as it's probably just a typo somewhere. 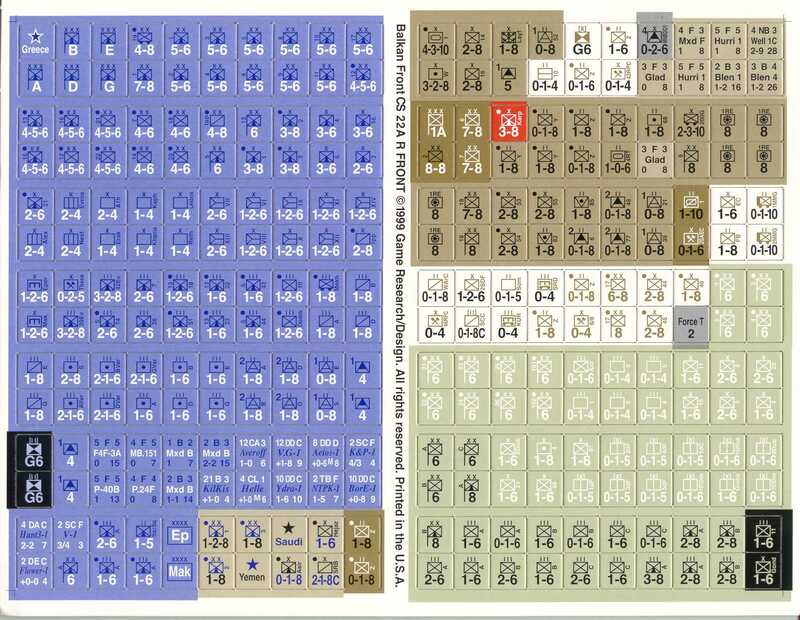 Also, drop me an email at jdarnold@buddydog.org if you'd like to contribute to my page here. 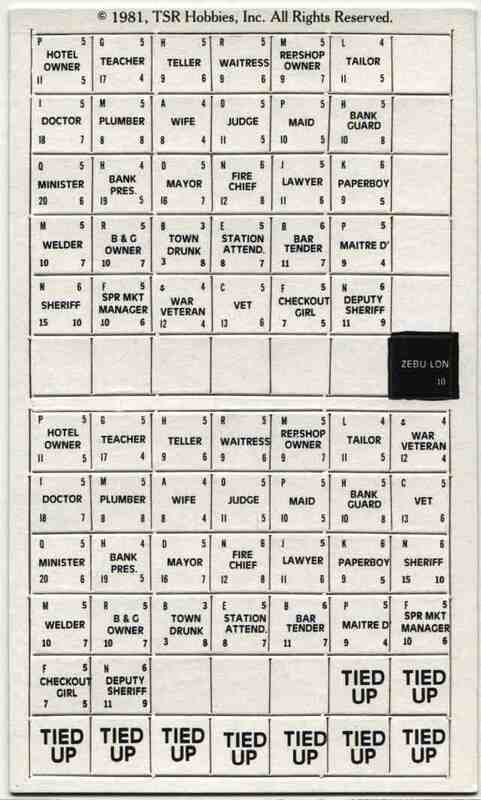 I can accept virtually any kind of scan. 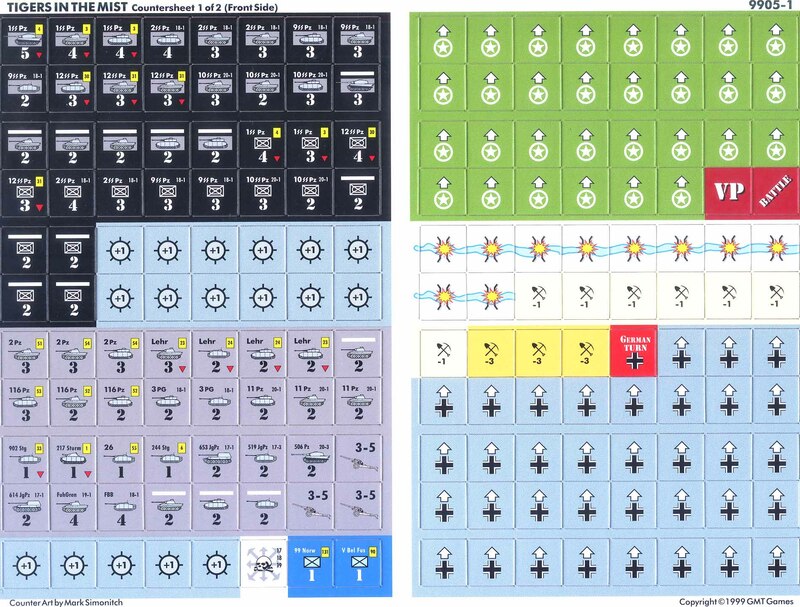 I will convert them to JPG and make them available here, with credit of course! 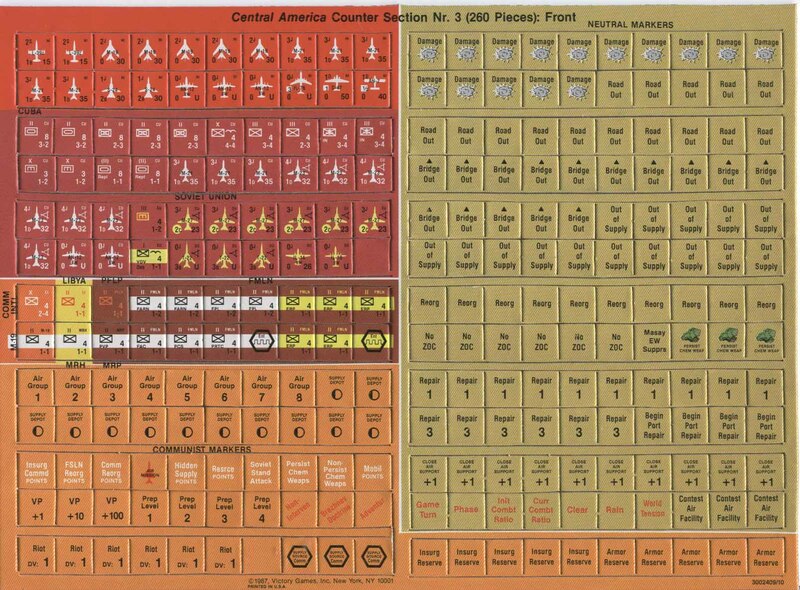 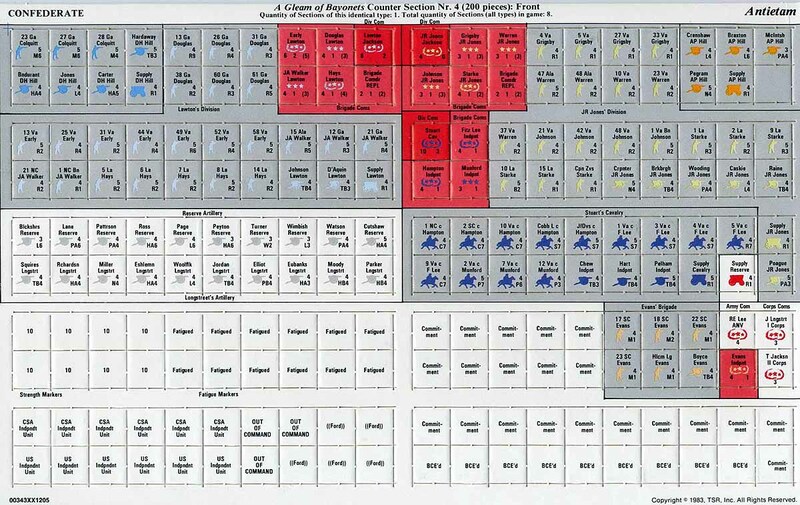 Please only send scans for the front of the counter sheet, as that is all I keep. 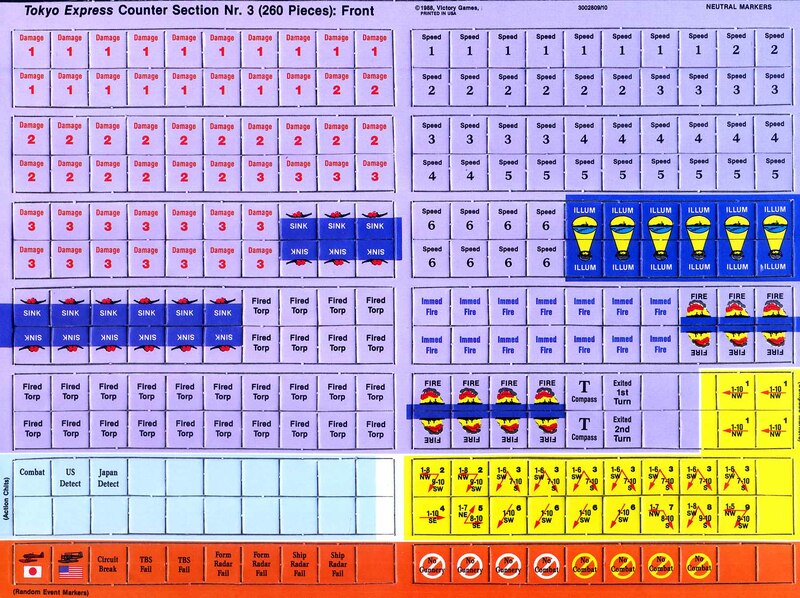 I don't run a counter replacement service, just an easy way to get a counter manifest. 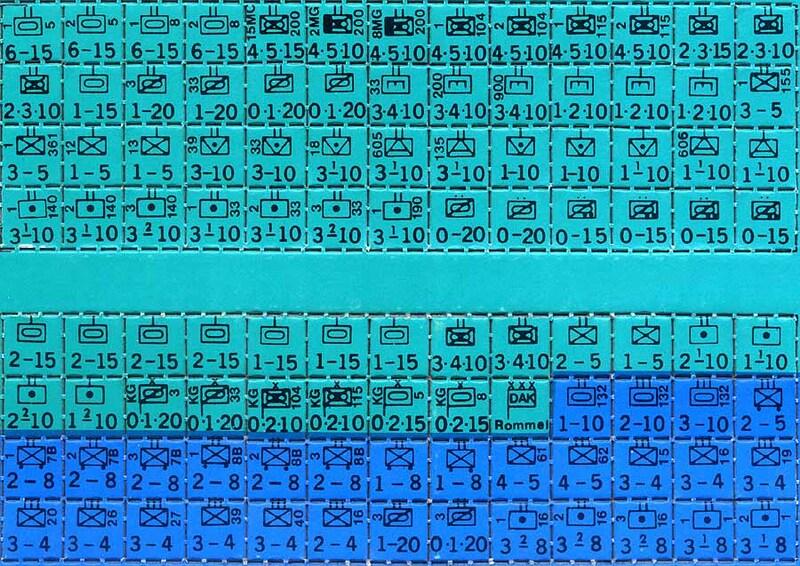 Be sure to drop me an email or upload a text file, describing the files you uploaded. 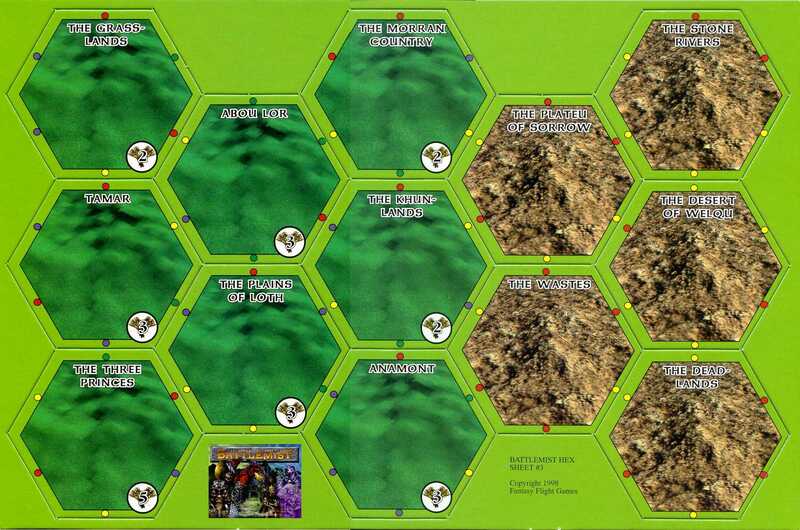 Last updated: Sunday, May 4 2003 - 283 games! 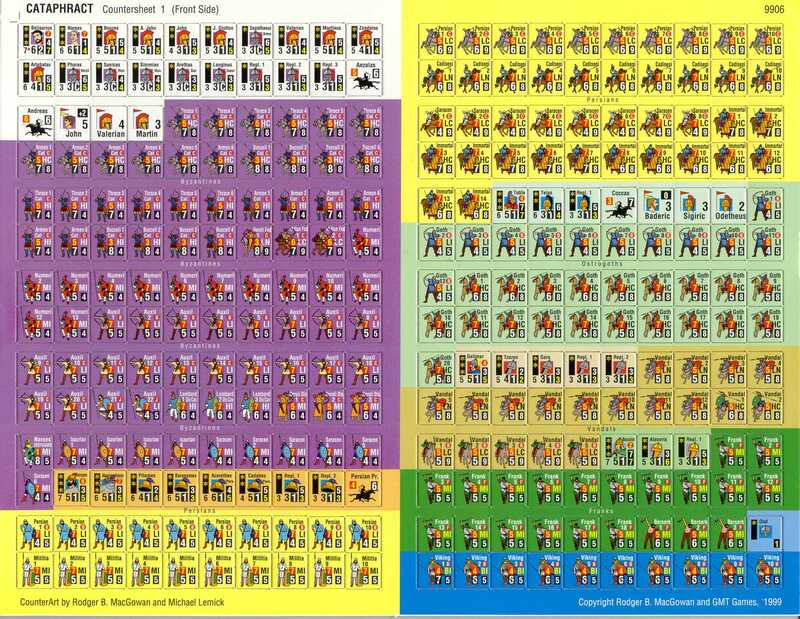 All images are copyrighted by their respective copyright holders. 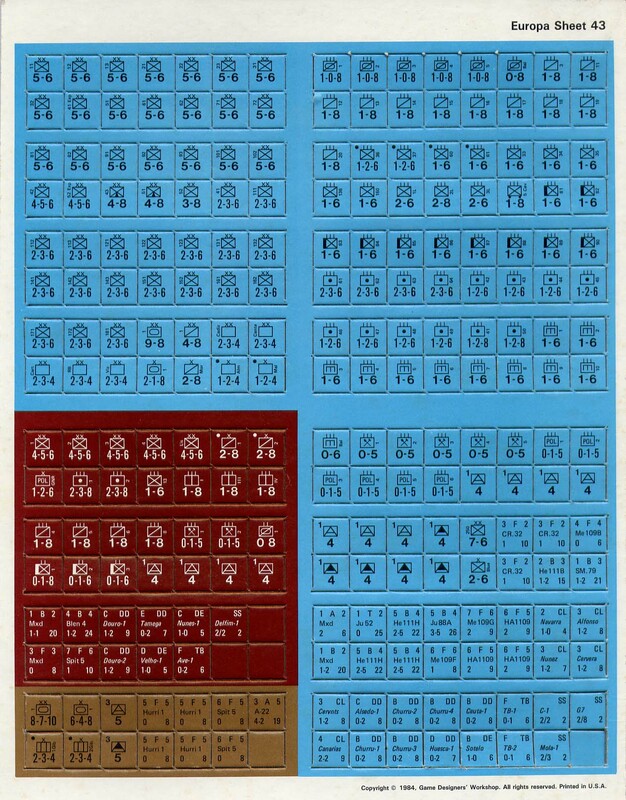 In particular, the SimCan and Avalanche Press (2002) copyrighted images are used with Permission. 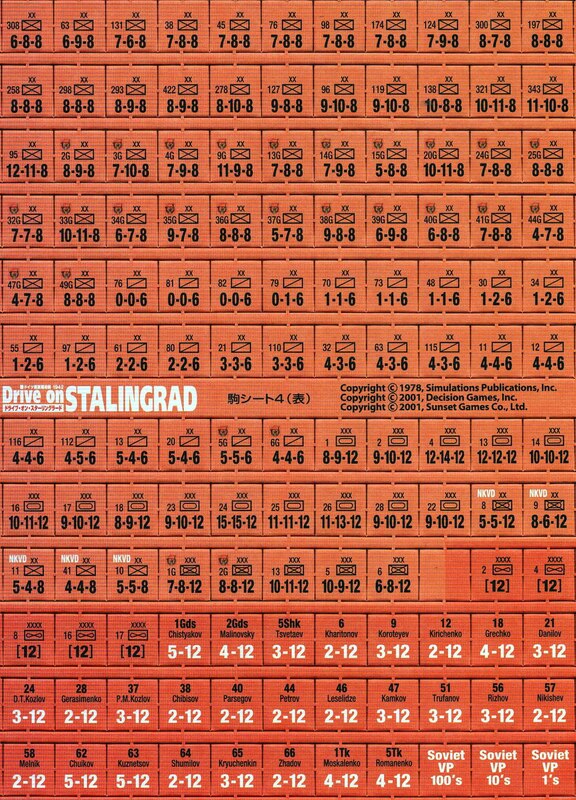 Please only download one file at a time. 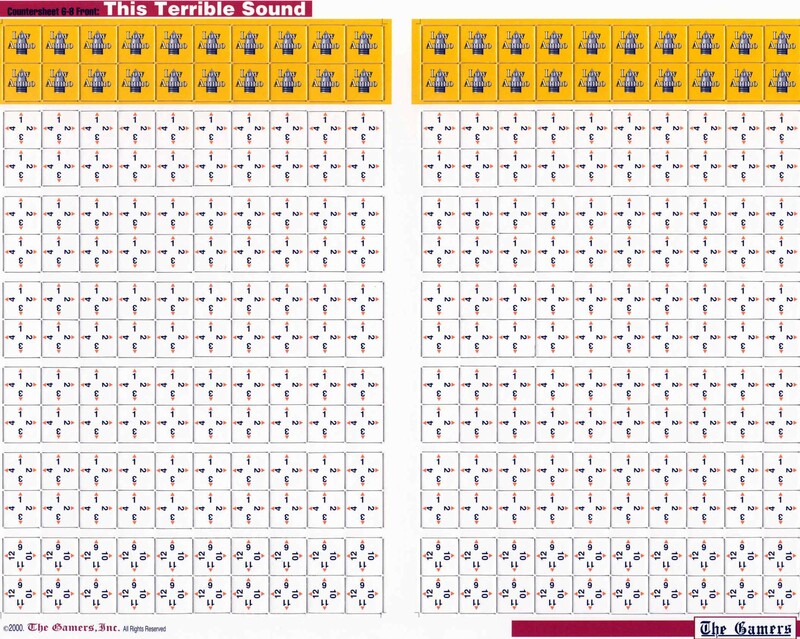 My bandwidth is limited and paid for by my company, so I really can't be hogging it up with my little web server. 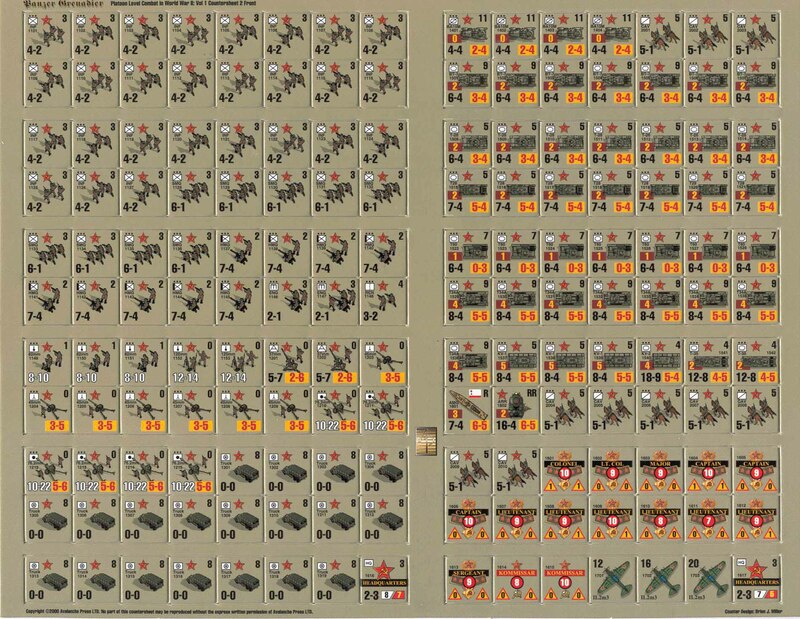 Don't worry about uploading stuff though - bring it on! 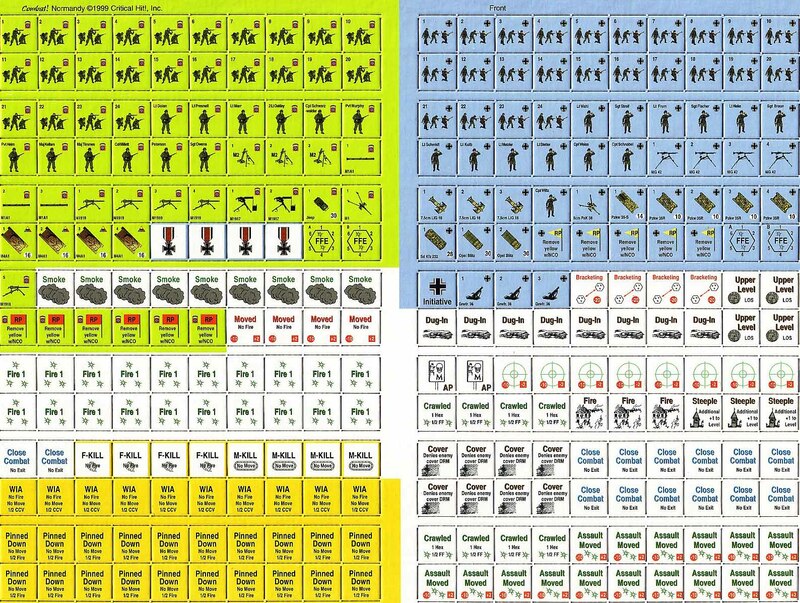 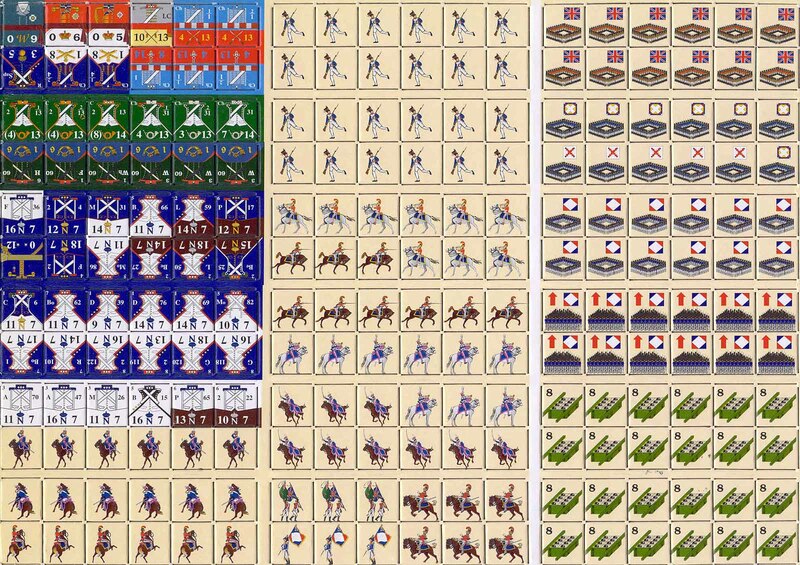 These scans are slowly being migrated into the iSimulacrum.com Games database. 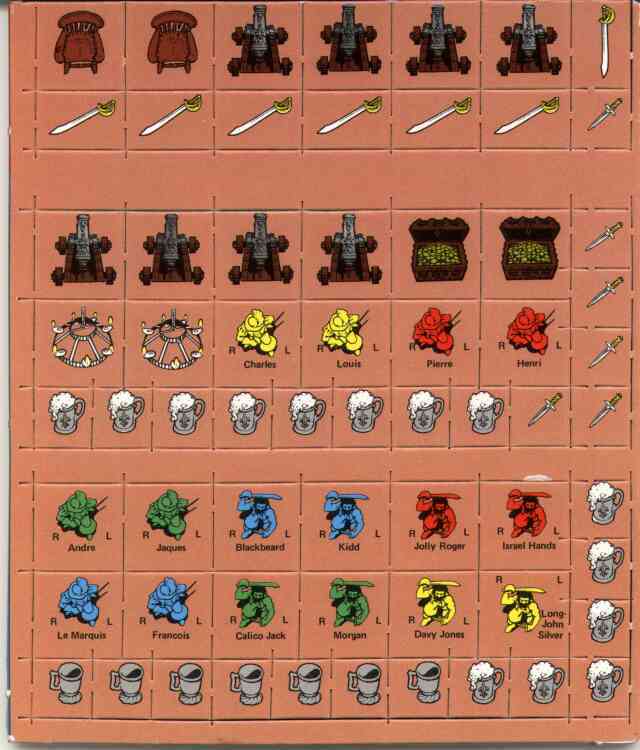 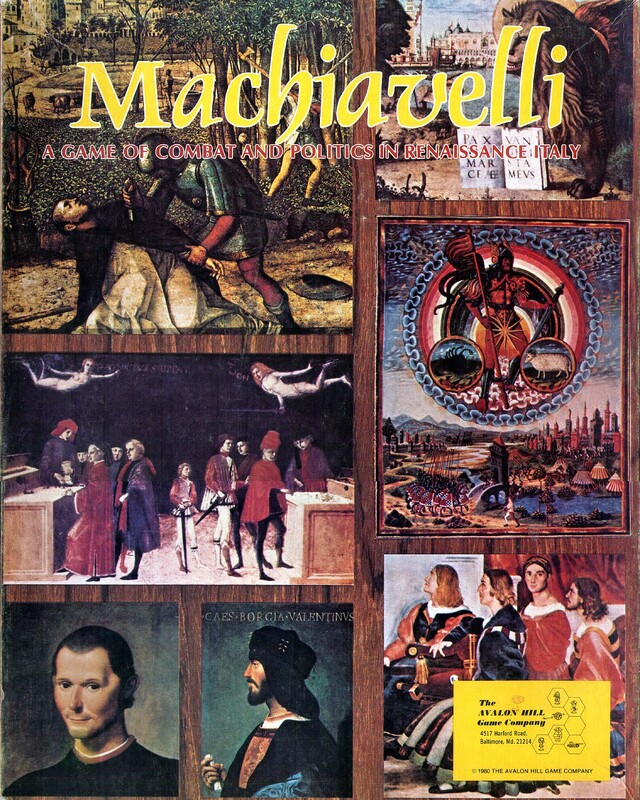 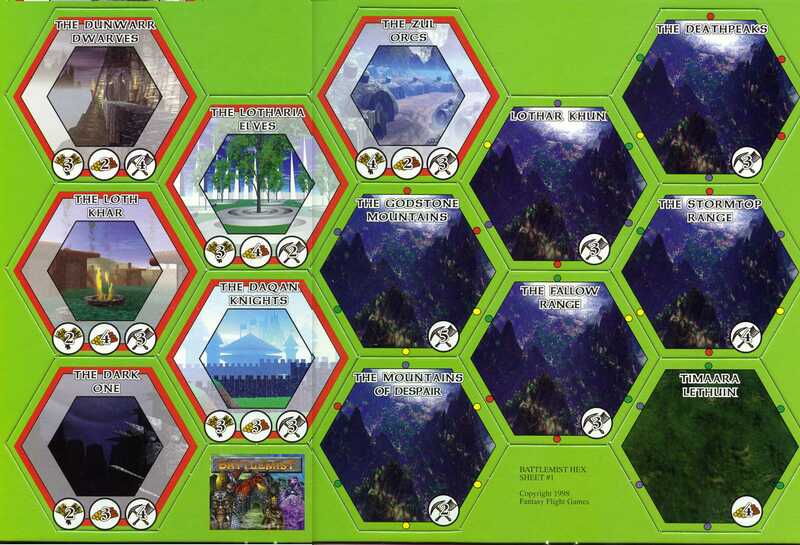 Look up the game in the database and any available scans will show up on its page. 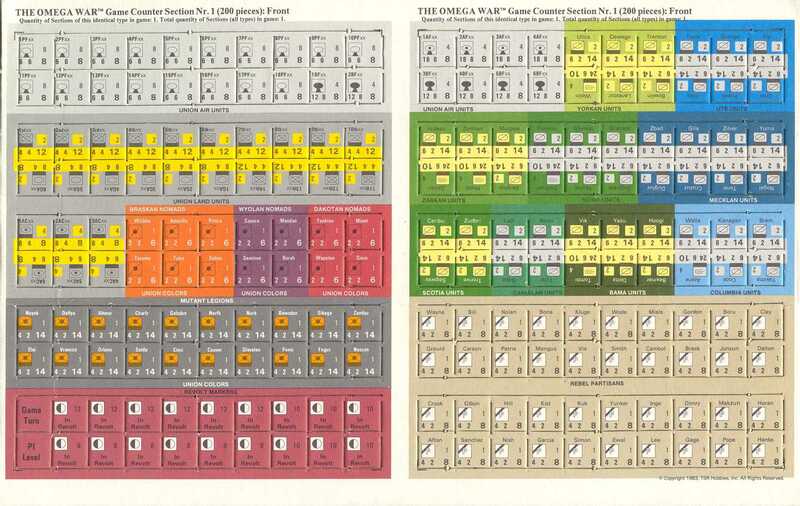 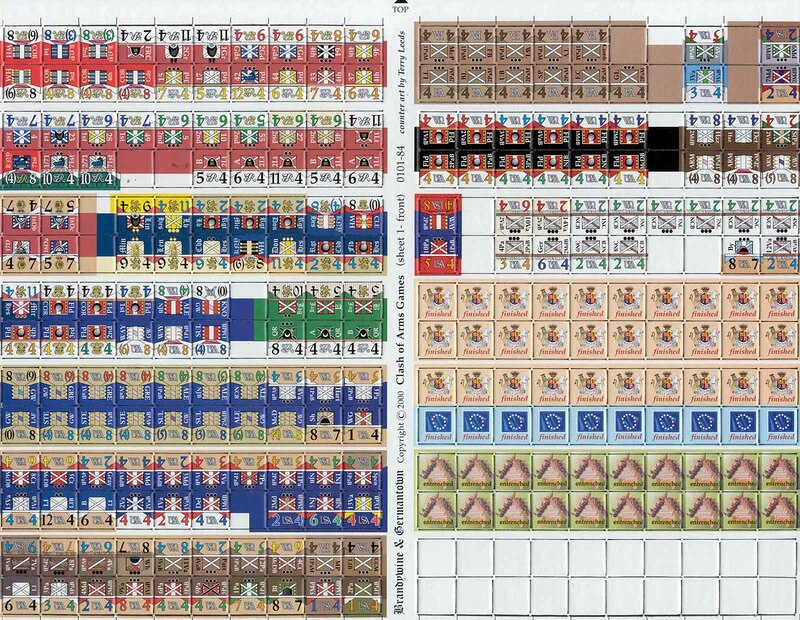 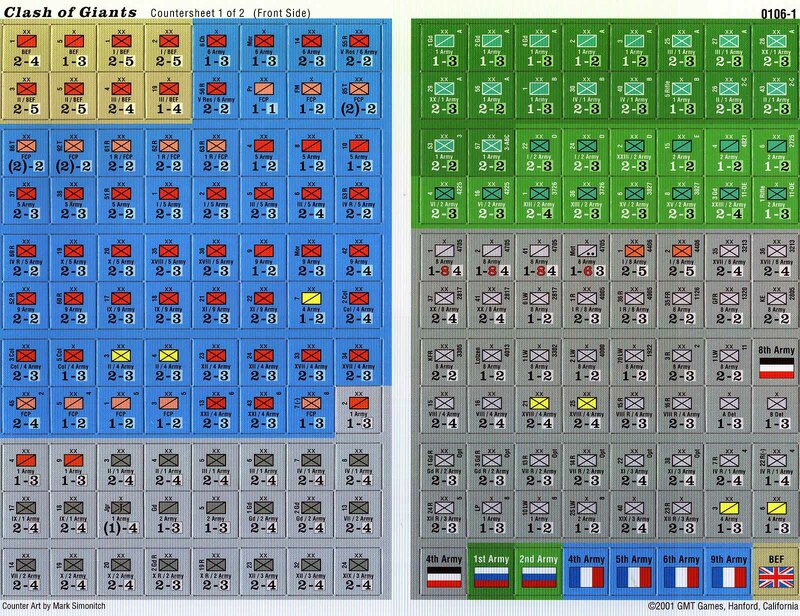 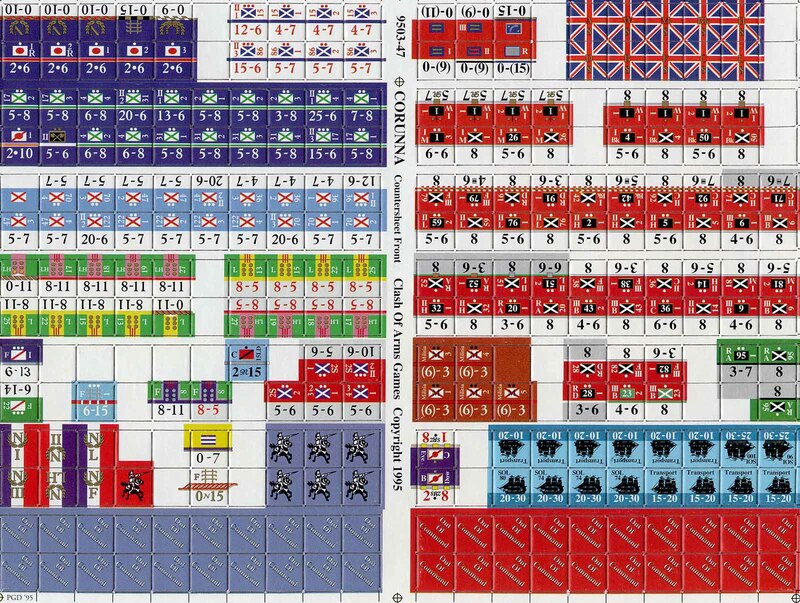 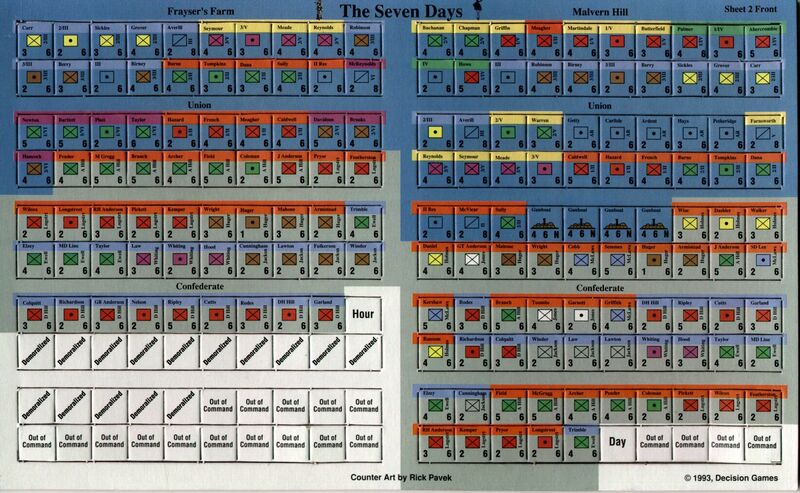 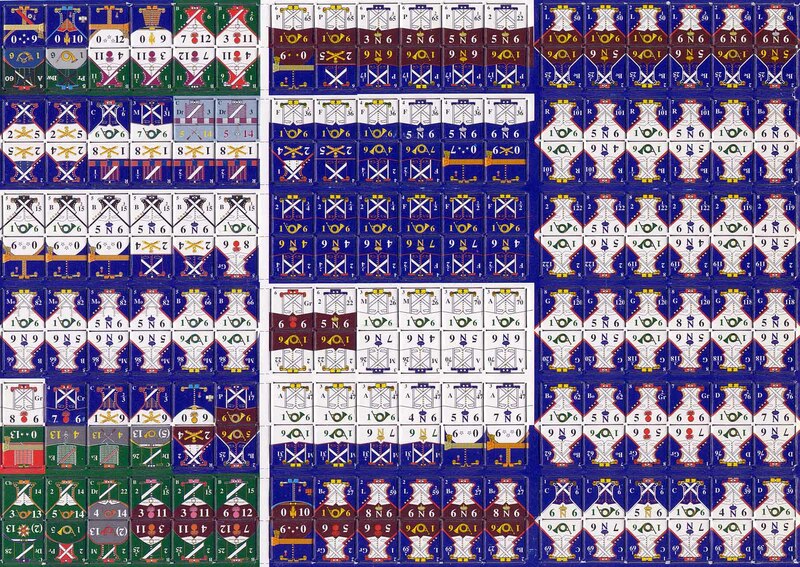 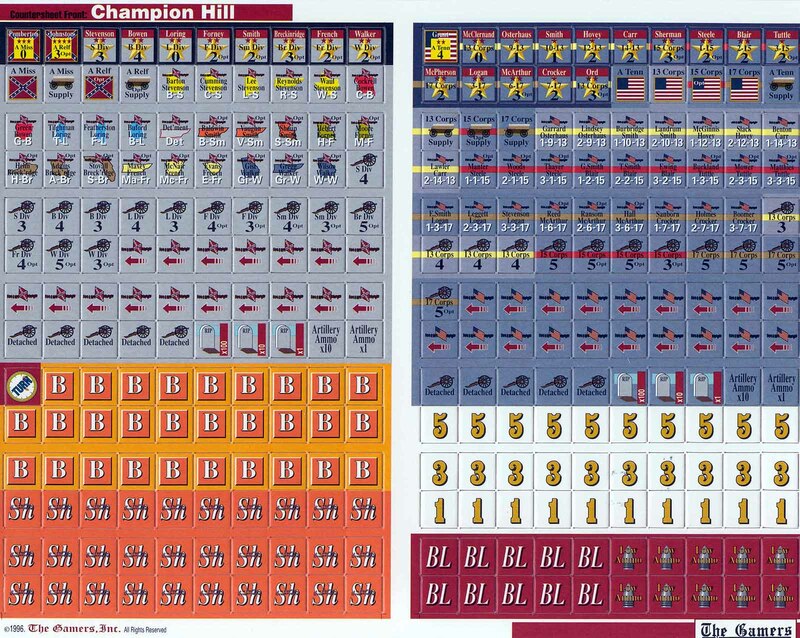 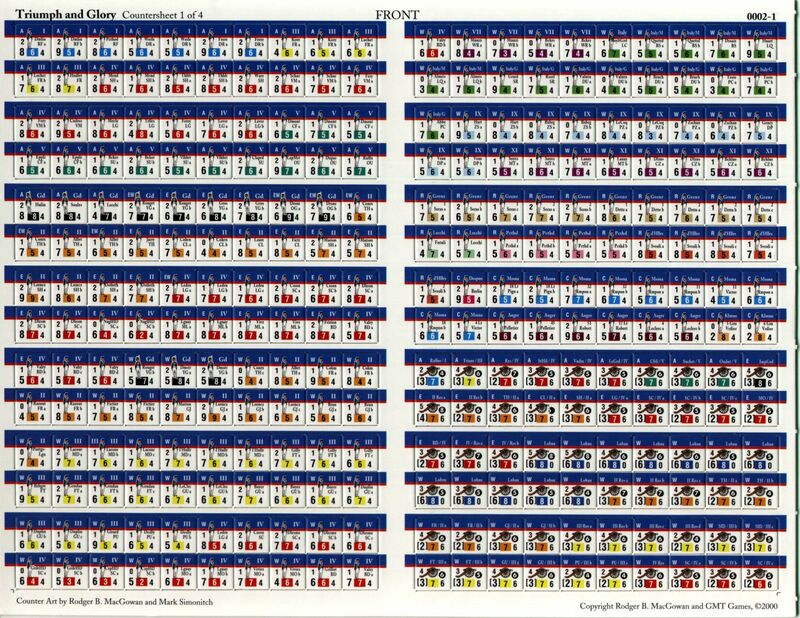 The links below either haven't been migrated or are scans of countersheets not associated with a single game, like errata countersheets or The Gamer's "Chrismas" counter sheets. 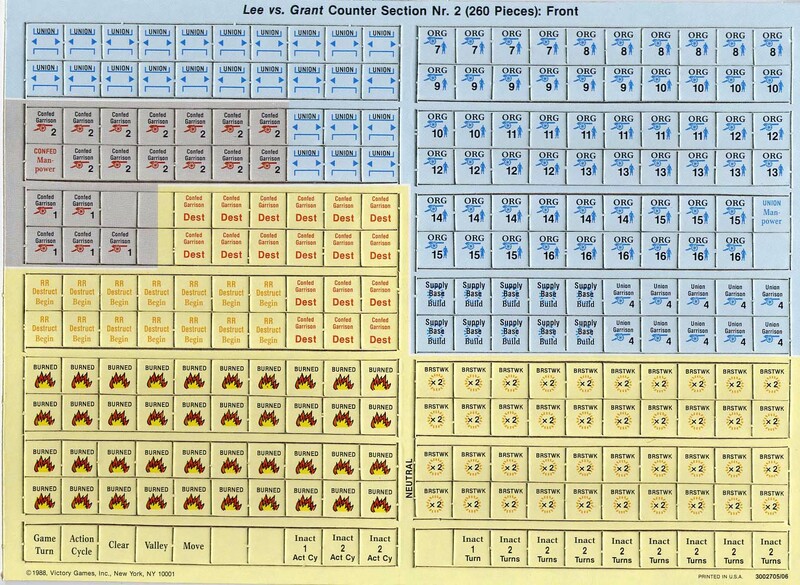 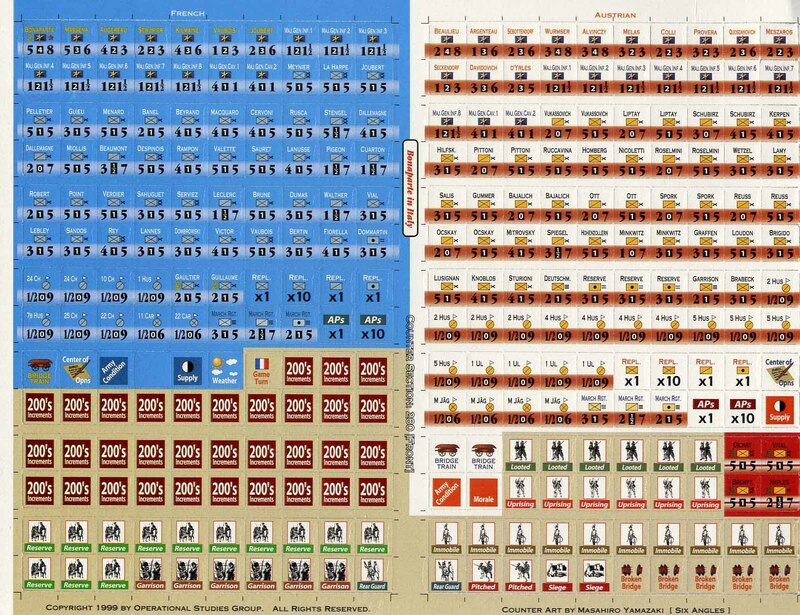 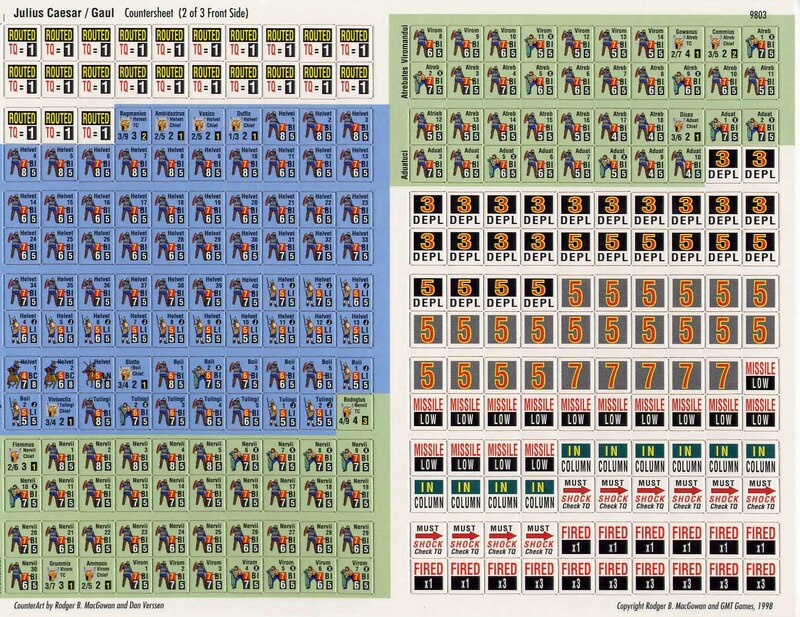 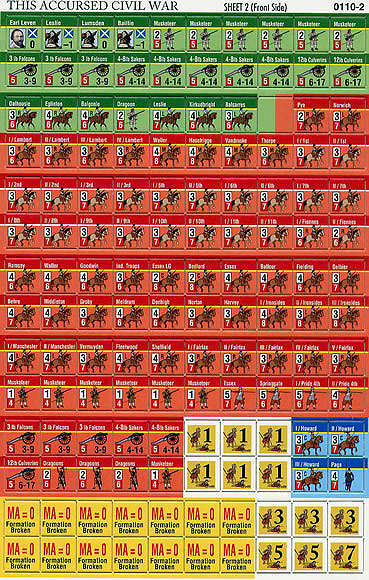 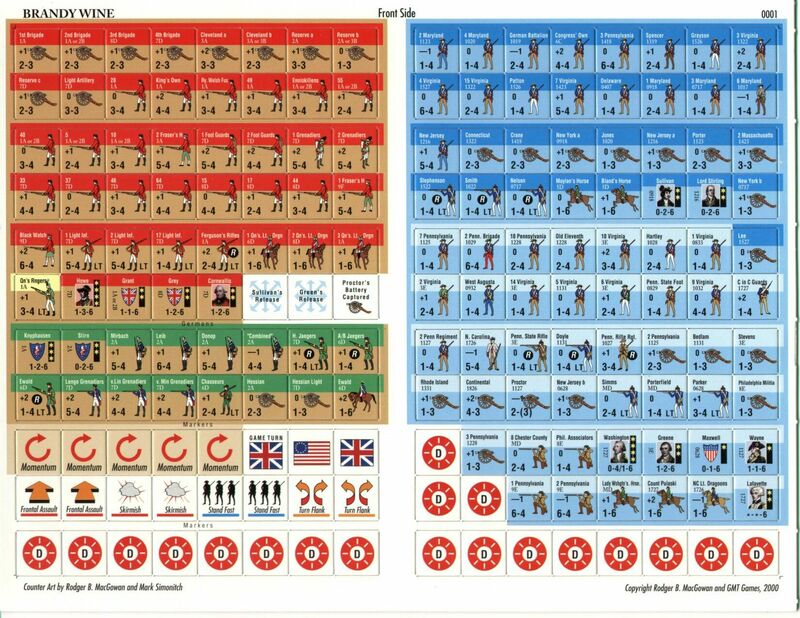 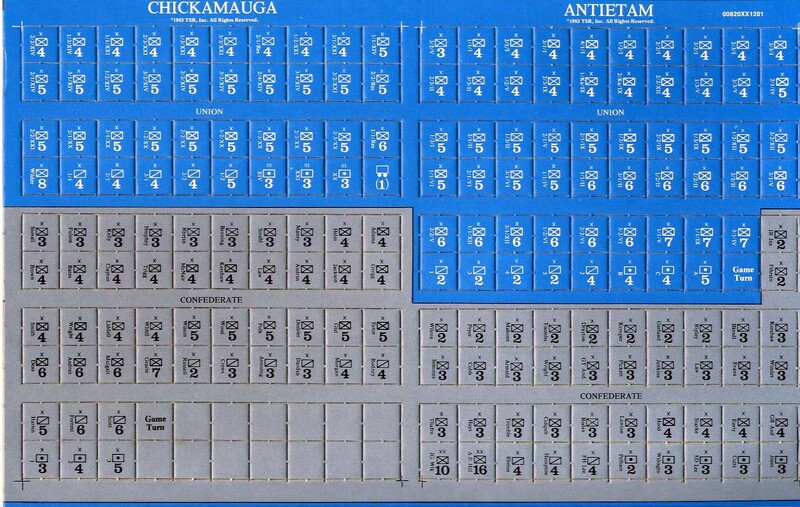 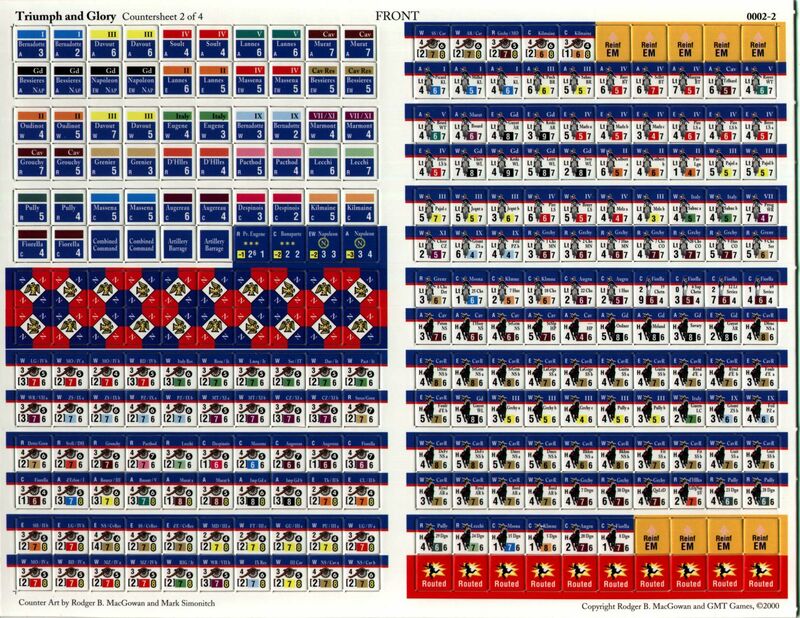 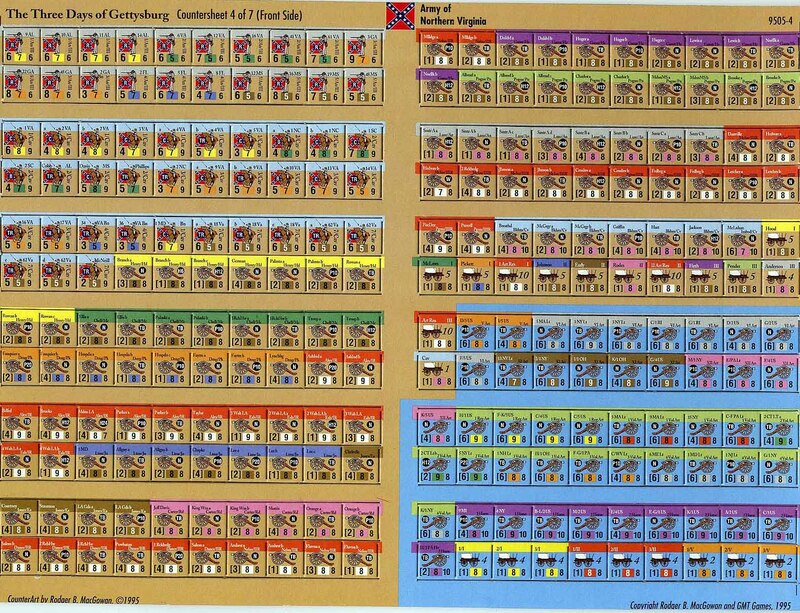 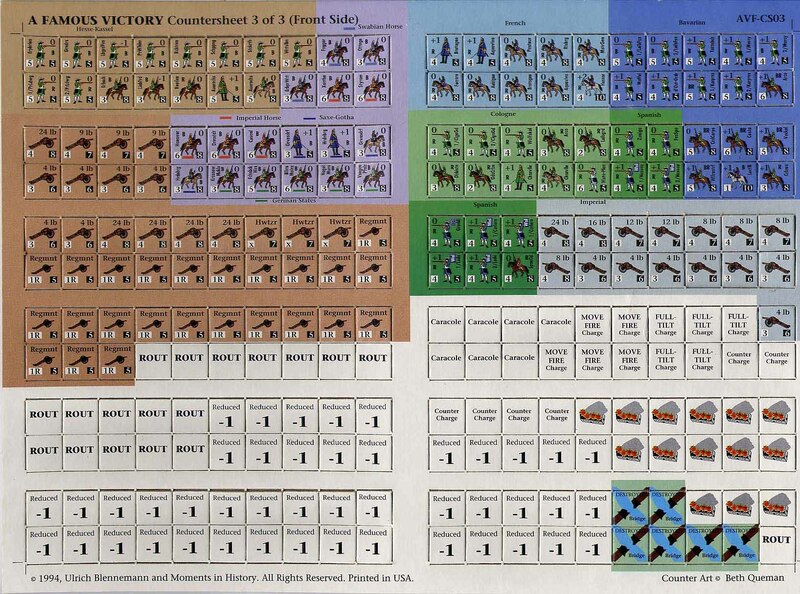 Pickett's Charge [Yaquinto 1980] Note: the first sheet was too big to scan in one shot!